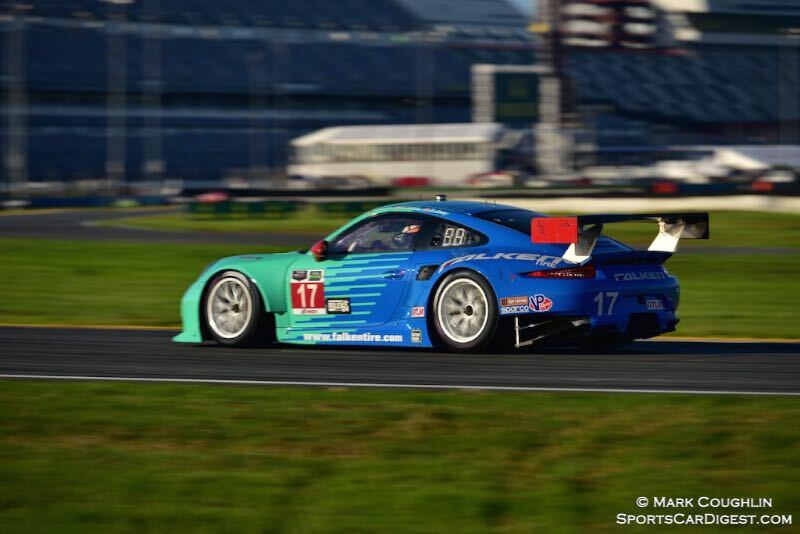 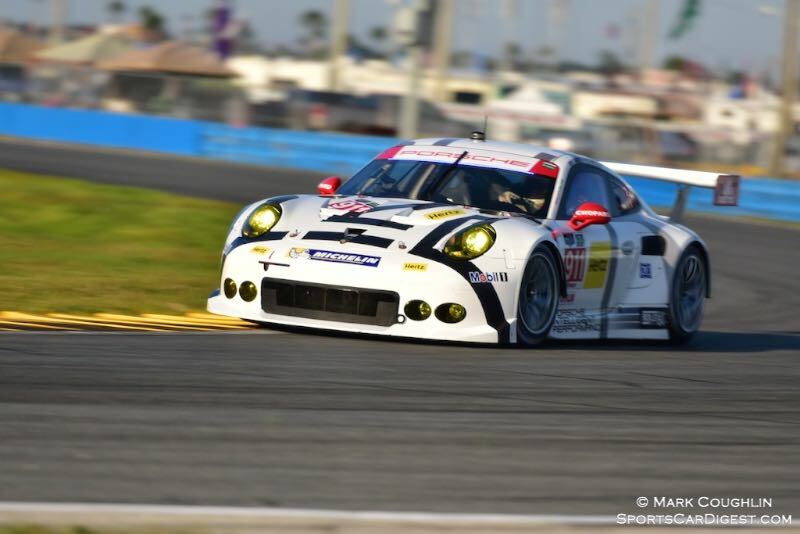 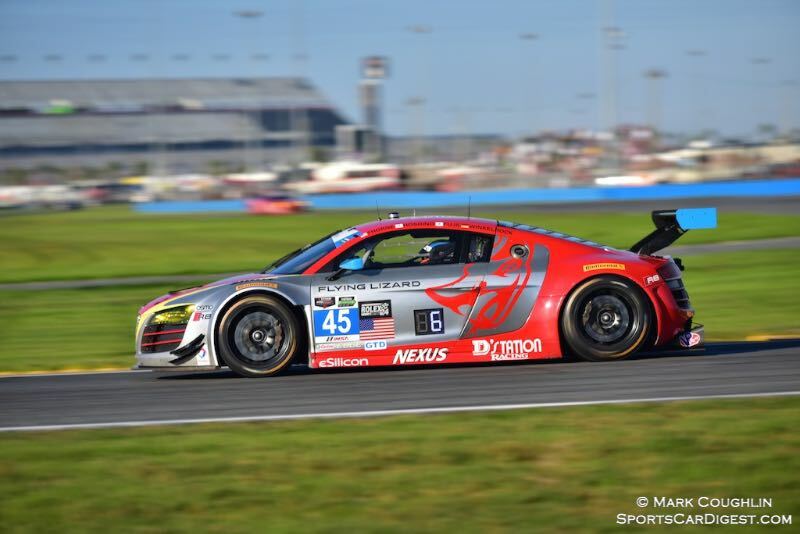 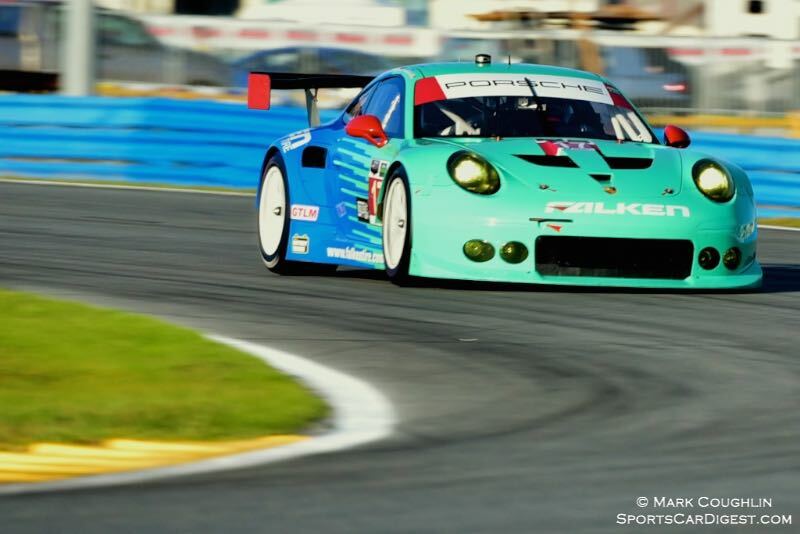 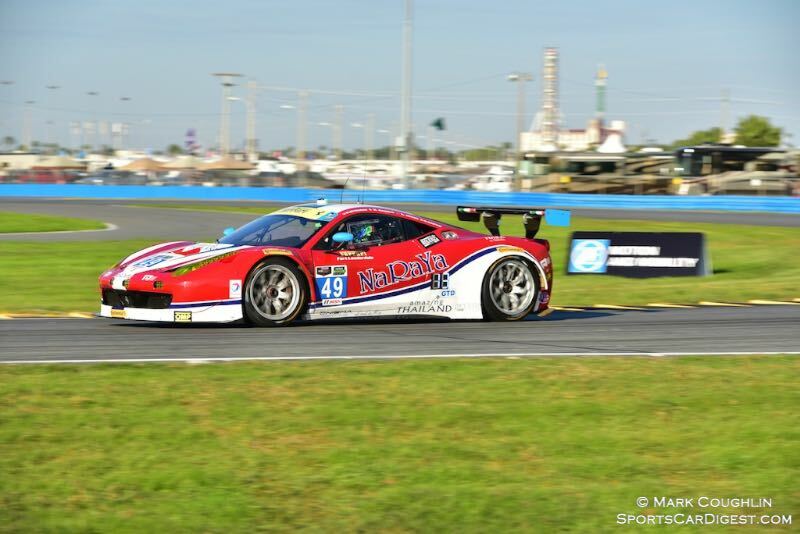 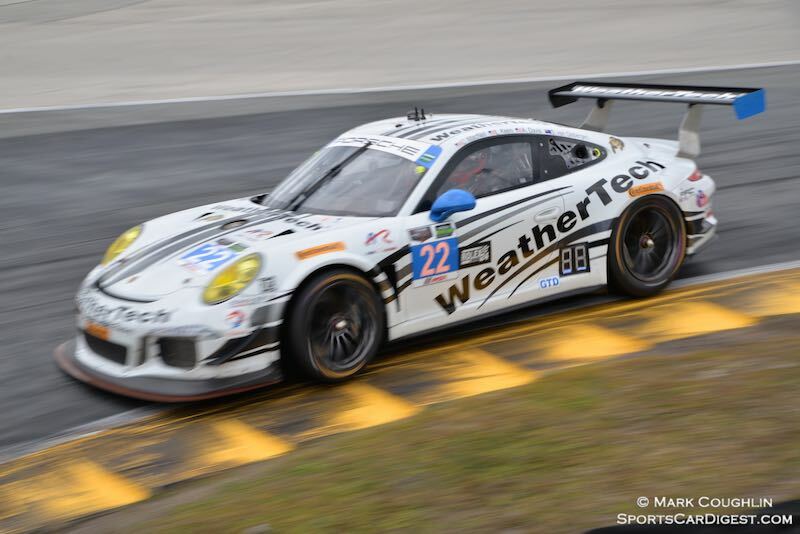 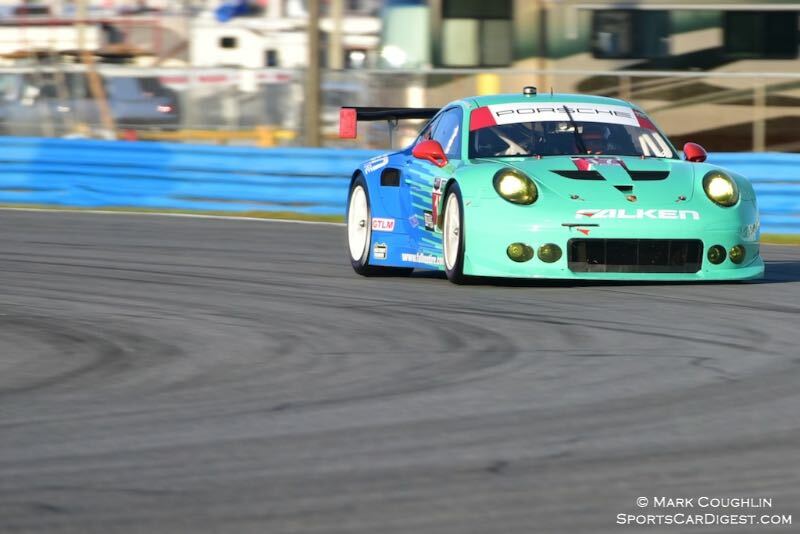 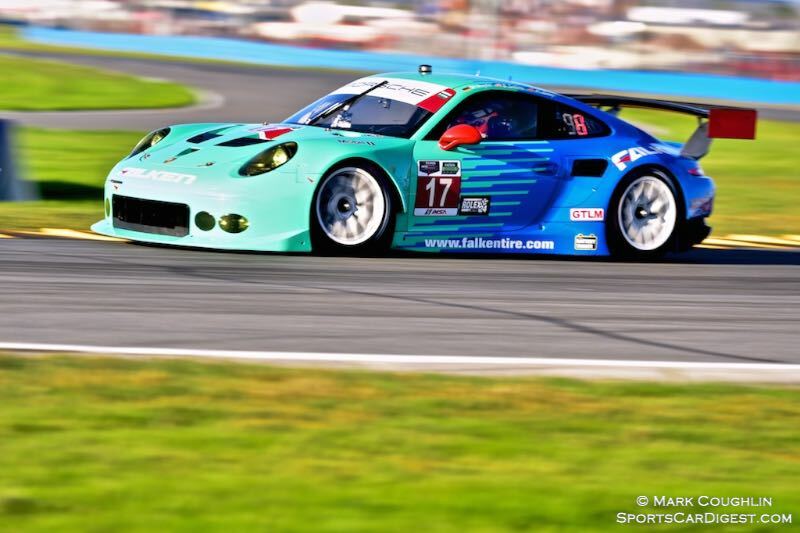 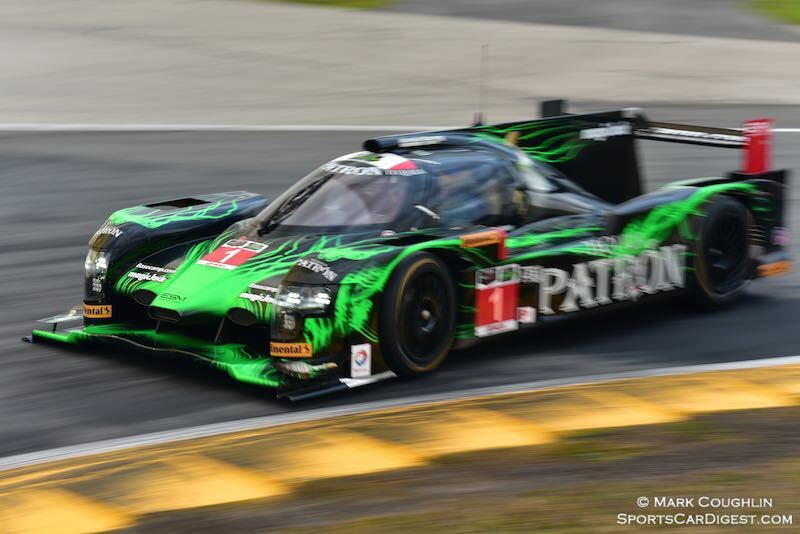 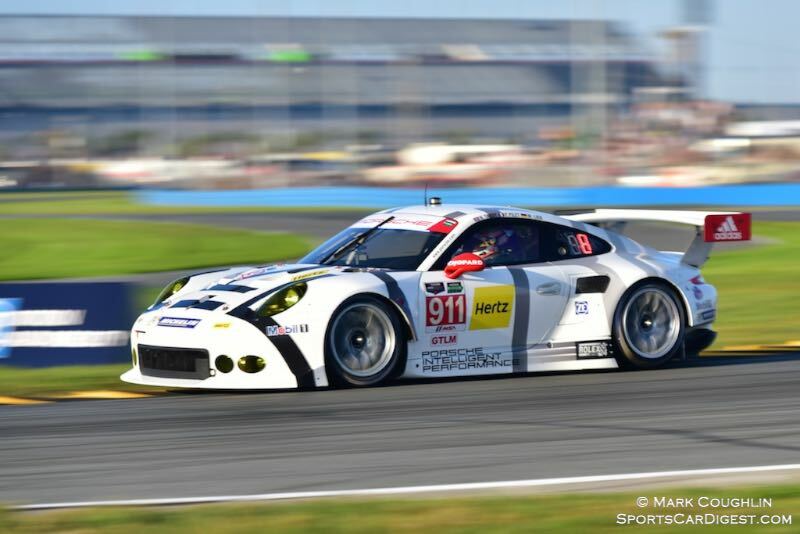 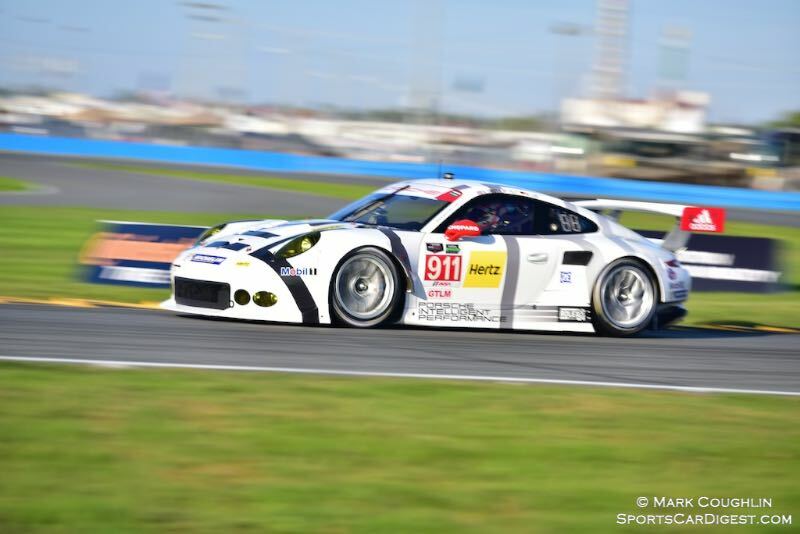 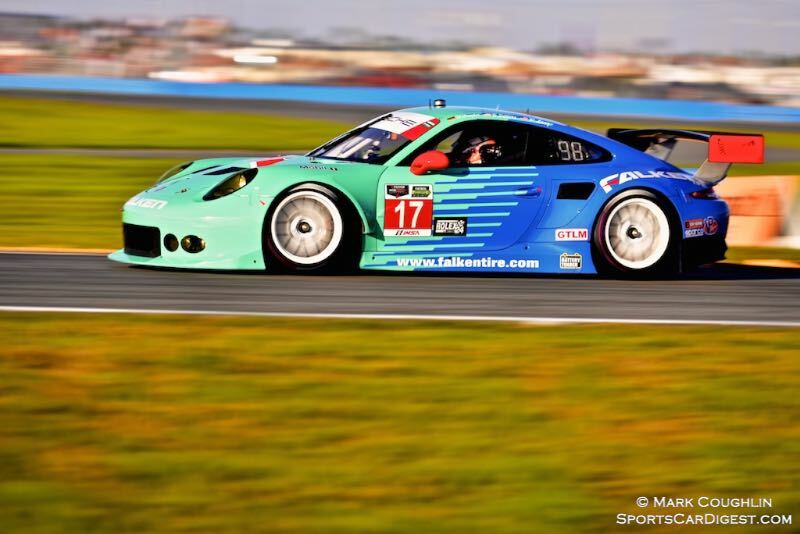 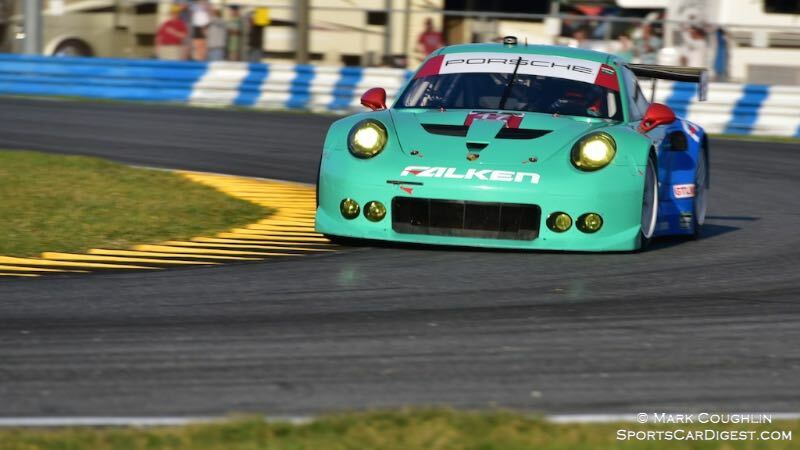 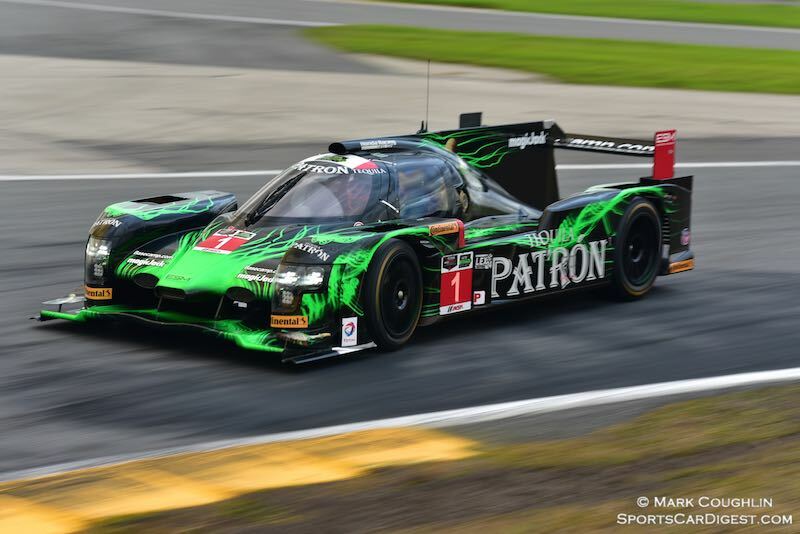 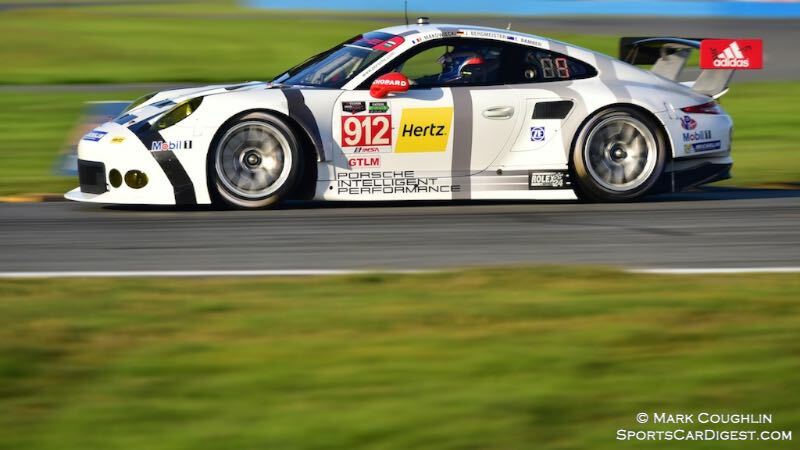 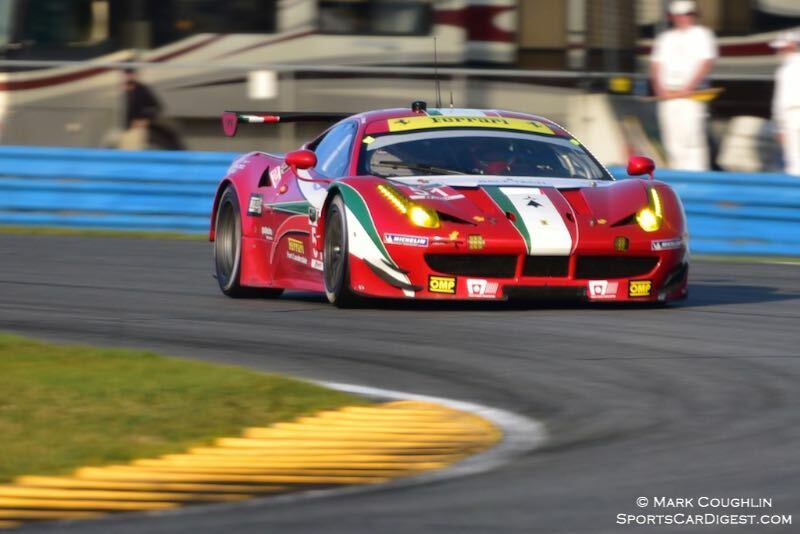 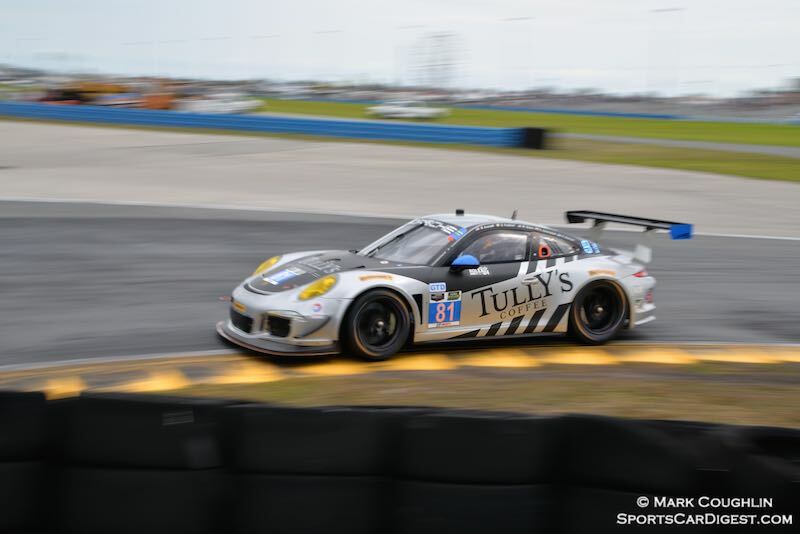 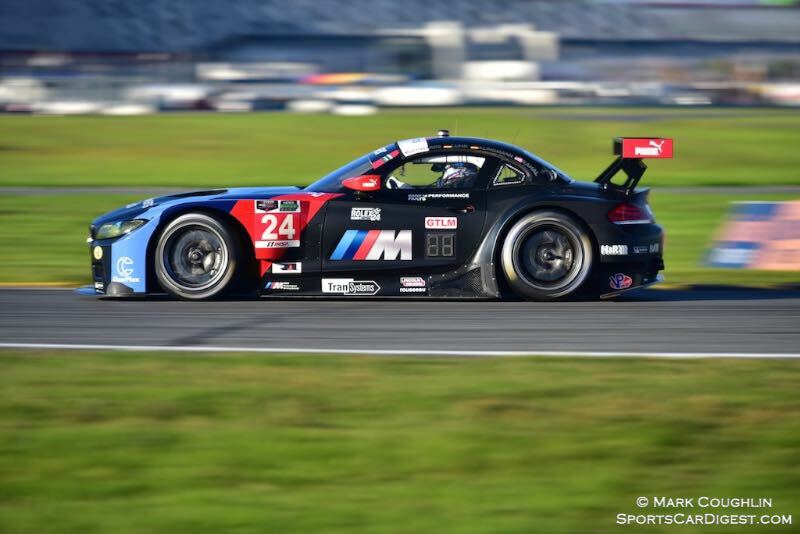 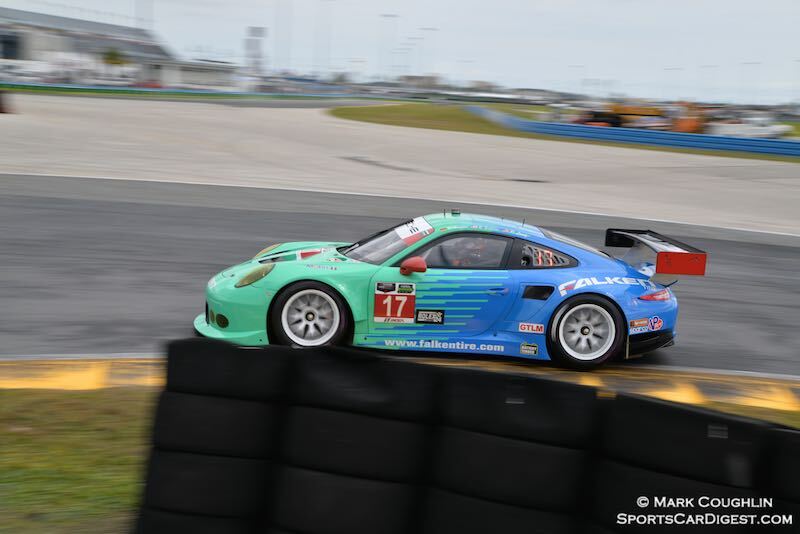 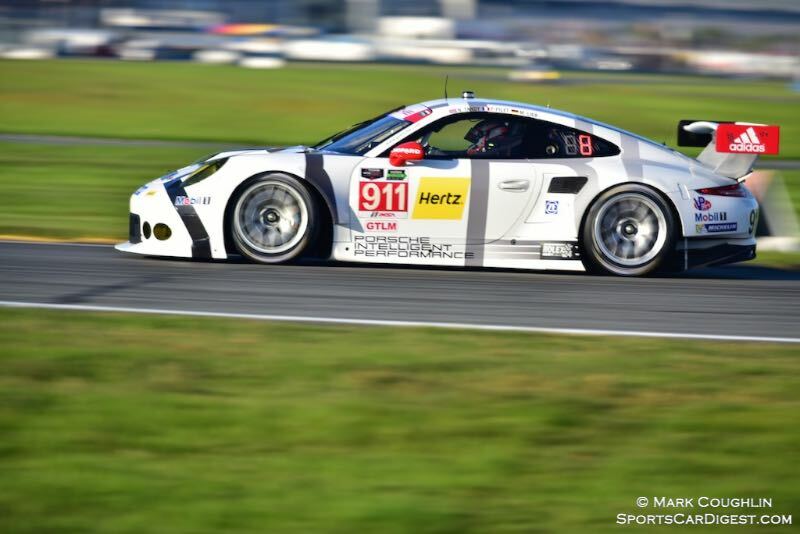 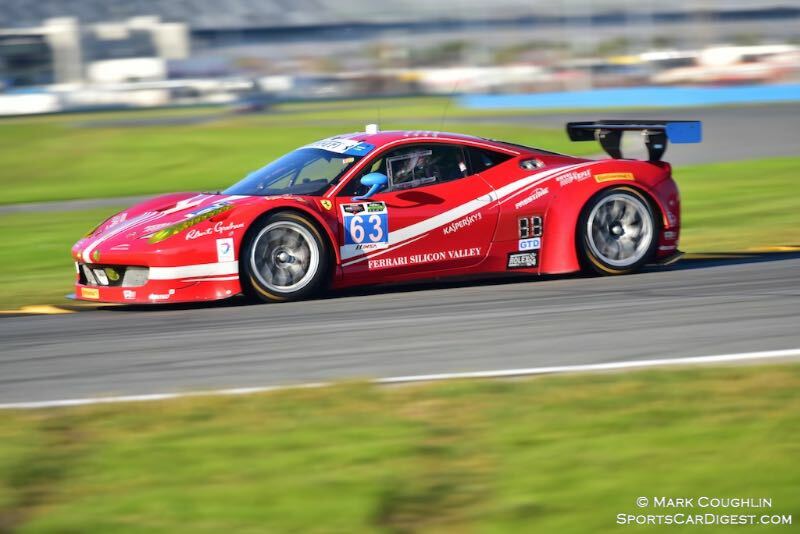 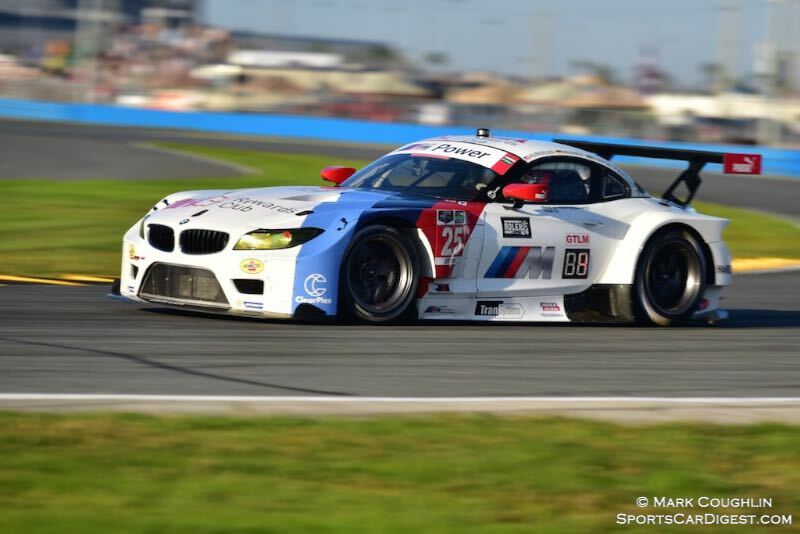 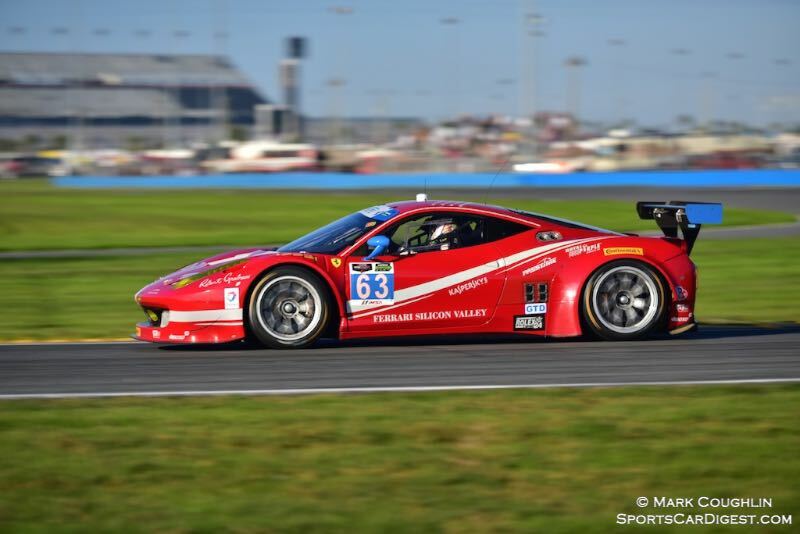 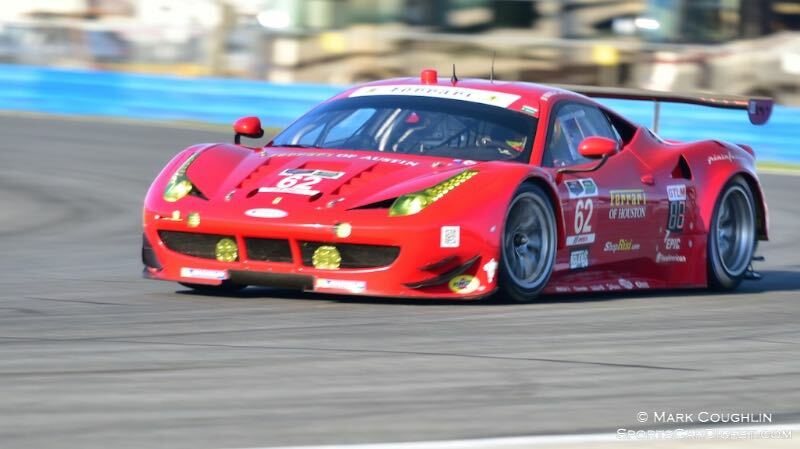 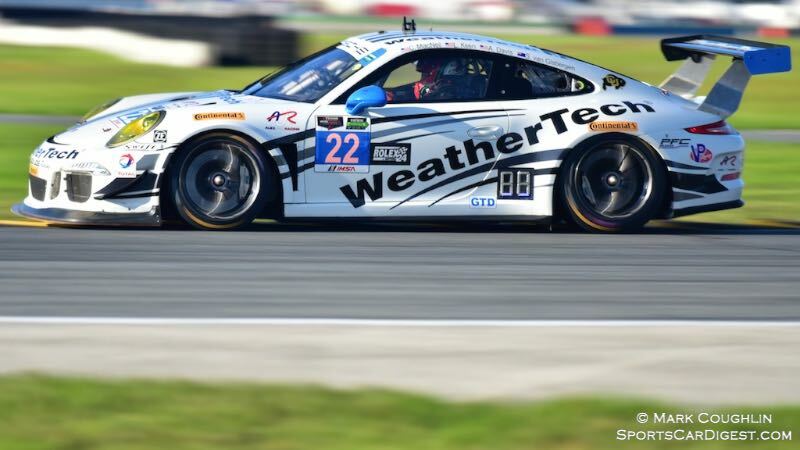 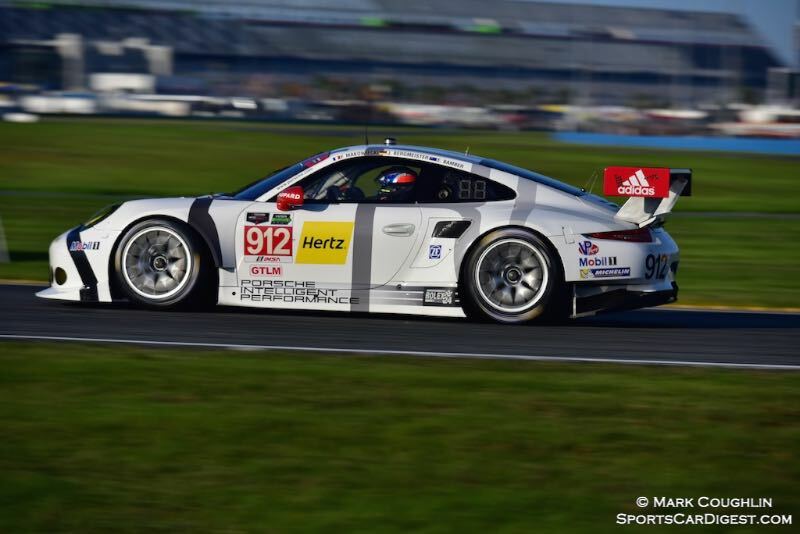 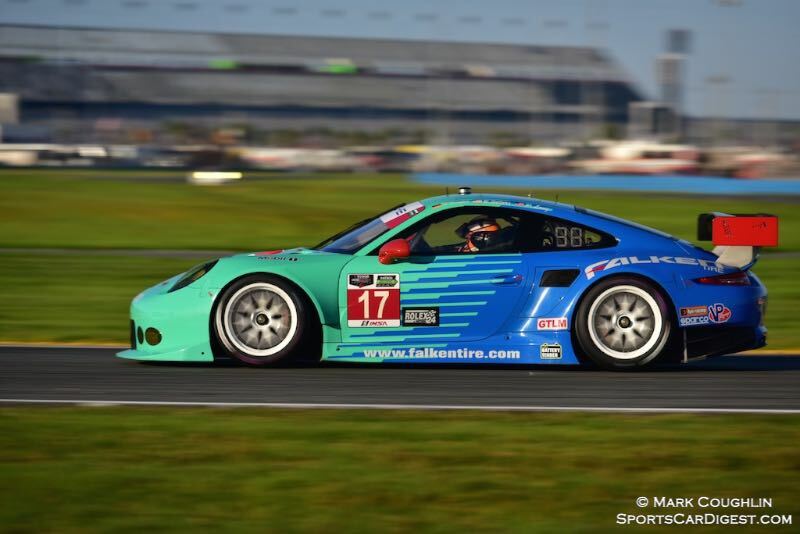 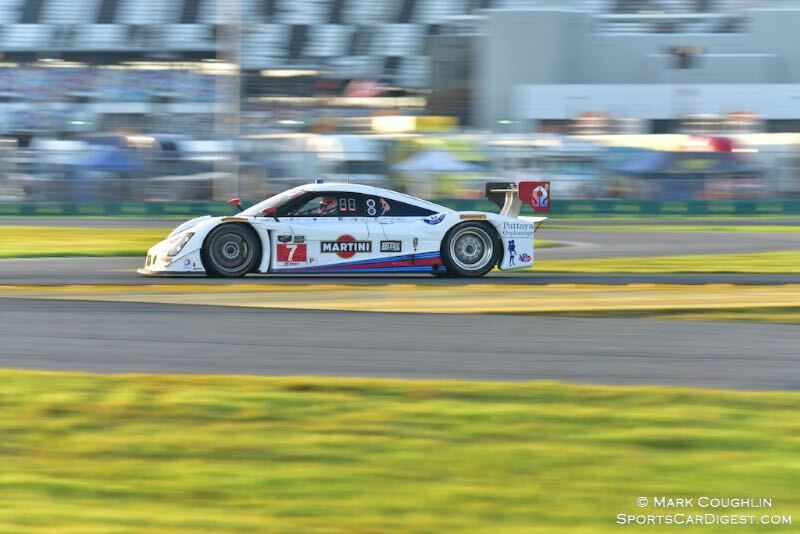 The Rolex 24 Hours of Daytona 2015 was held January 24-25 at the Daytona International Speedway in Daytona Beach, Florida. 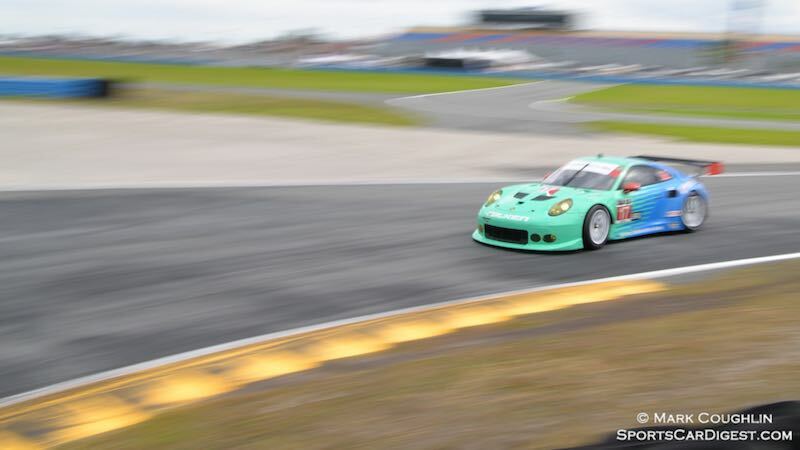 The 12-turn, 3.56-mile track is made up of portions of the NASCAR tri-oval and an infield road course. 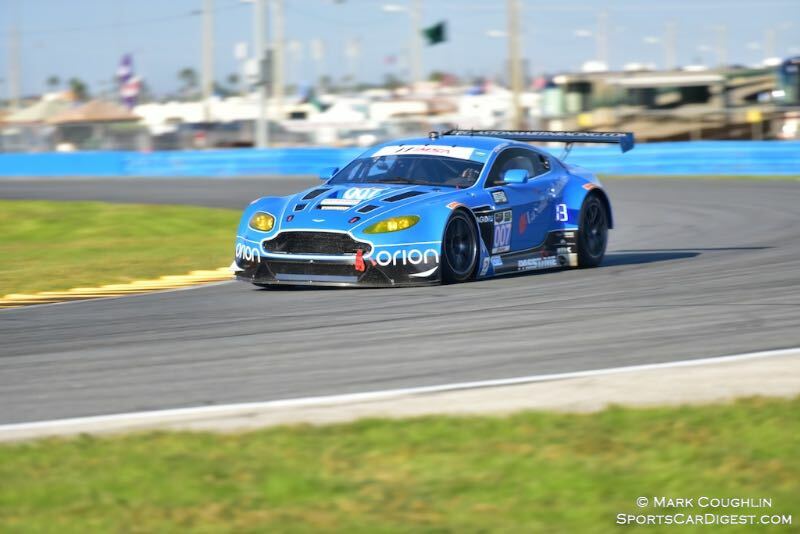 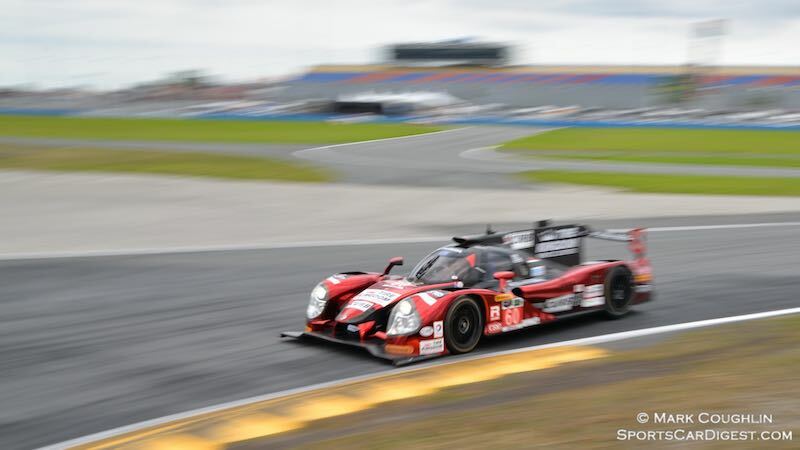 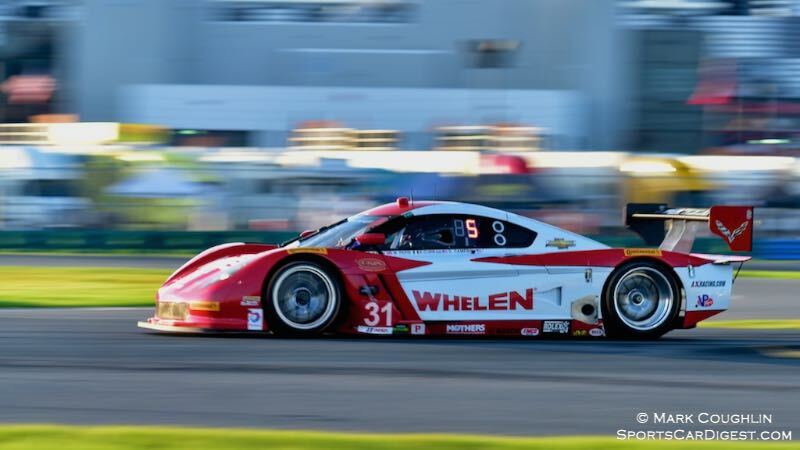 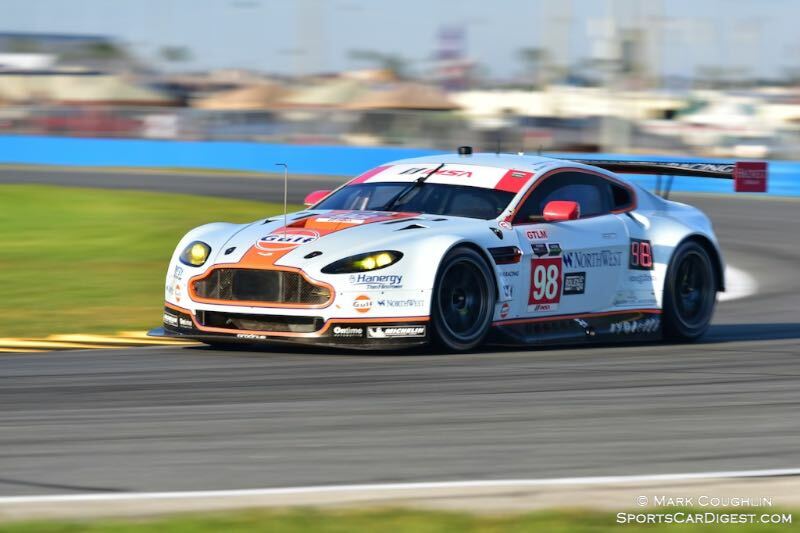 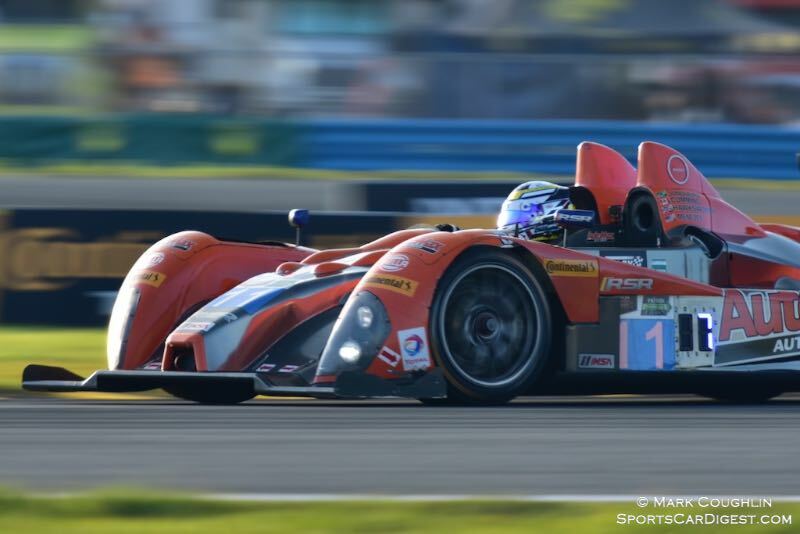 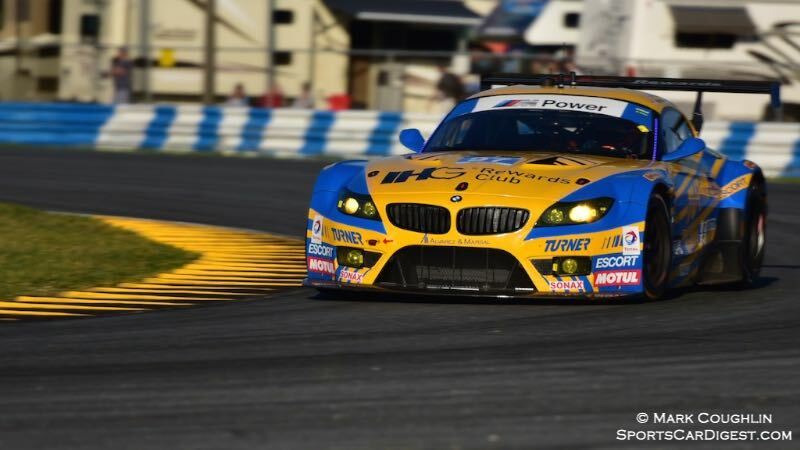 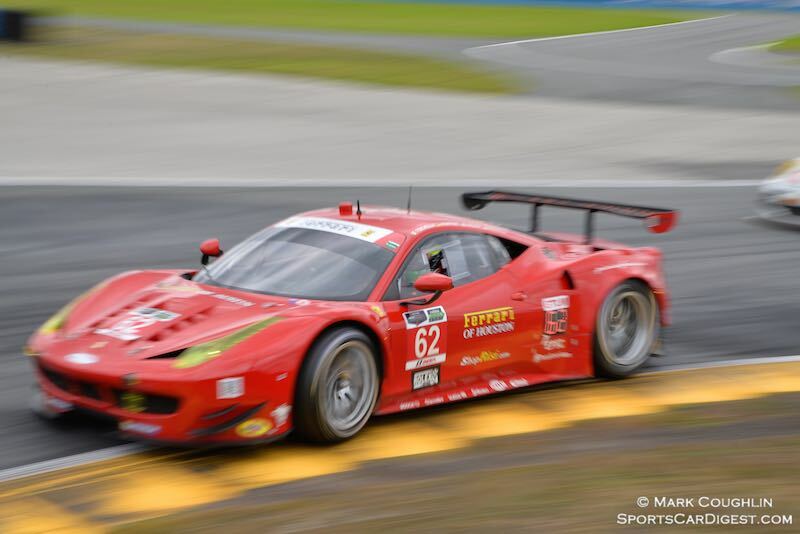 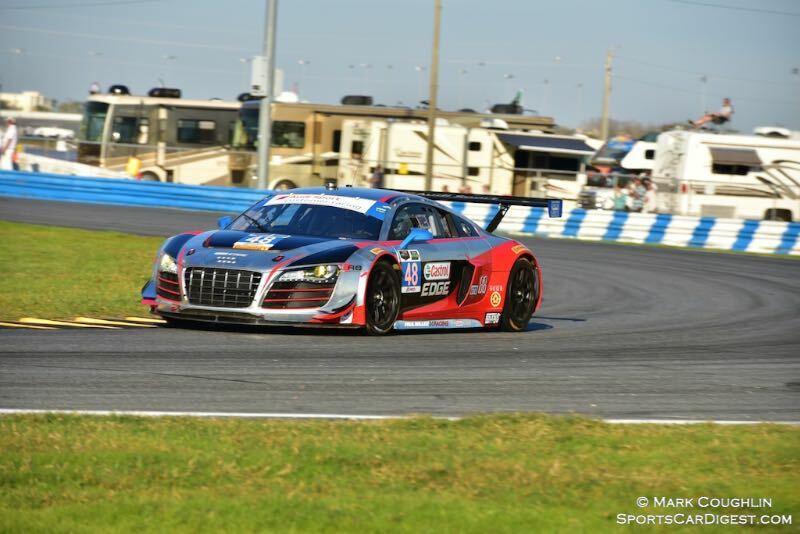 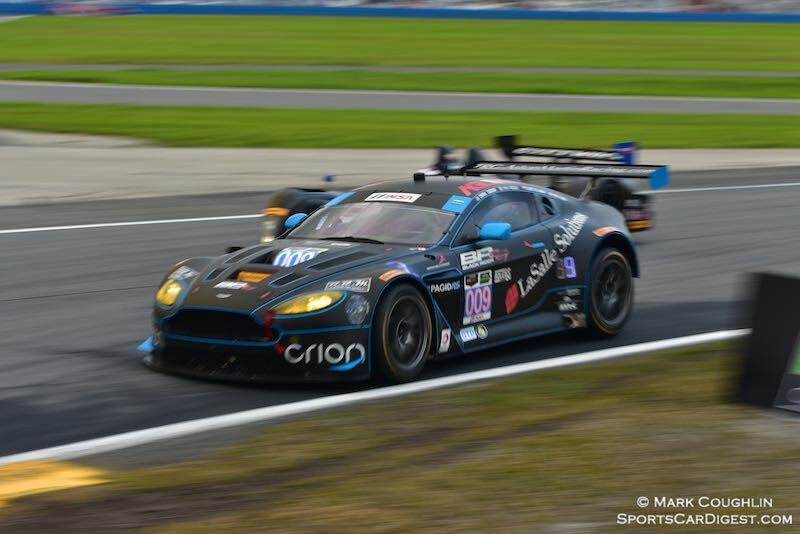 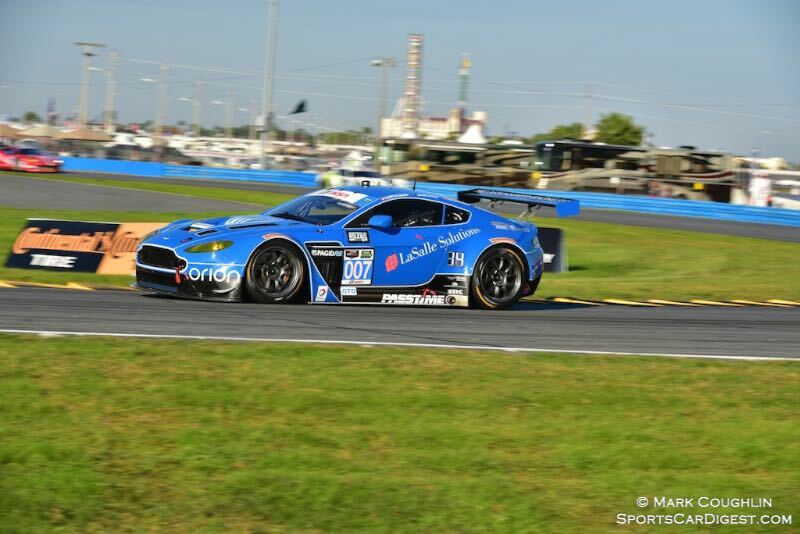 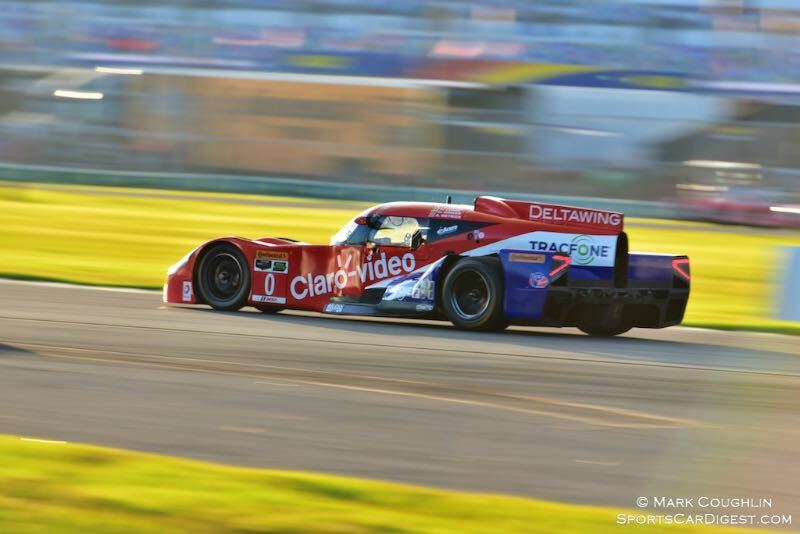 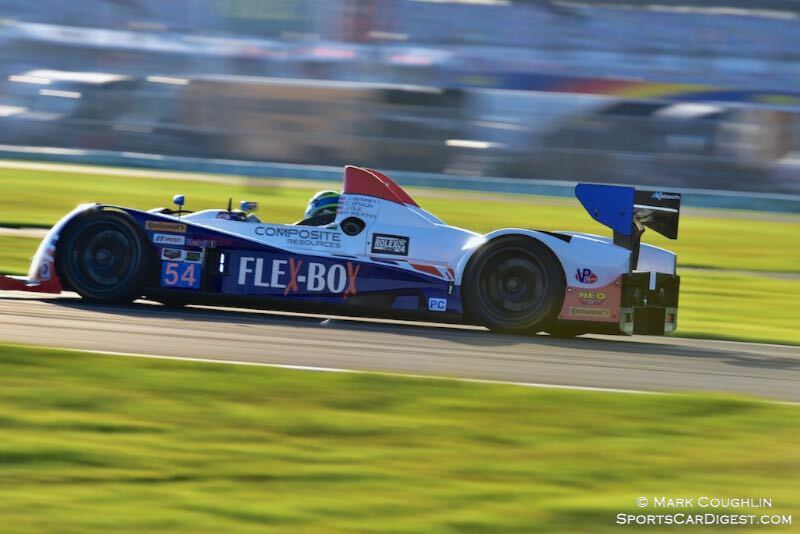 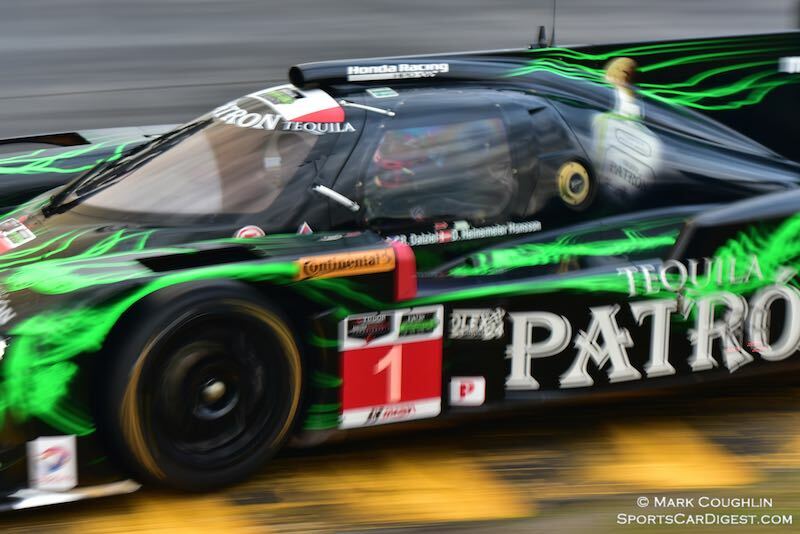 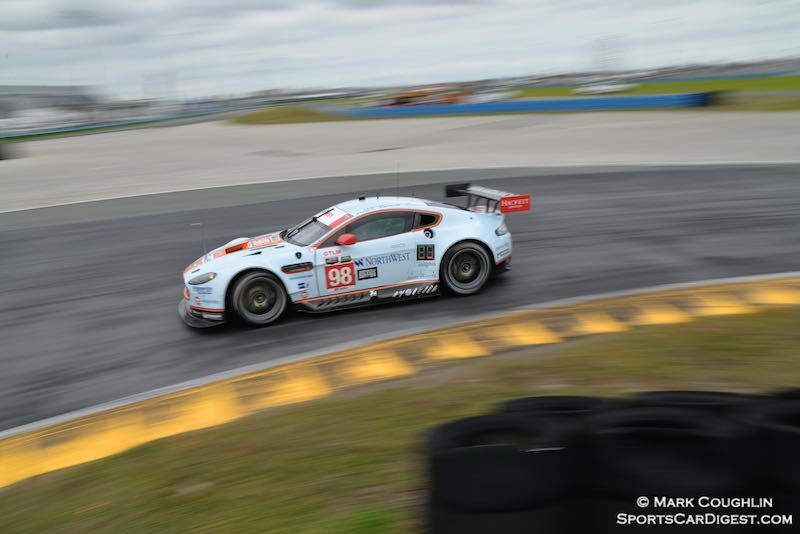 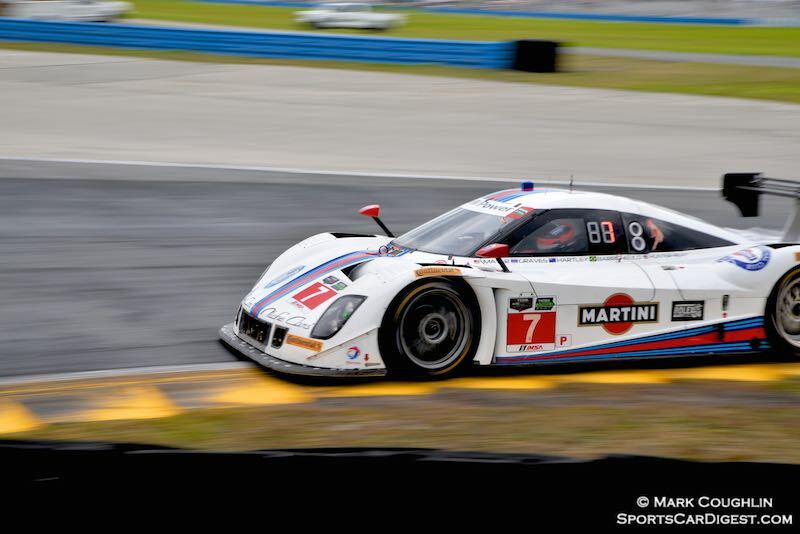 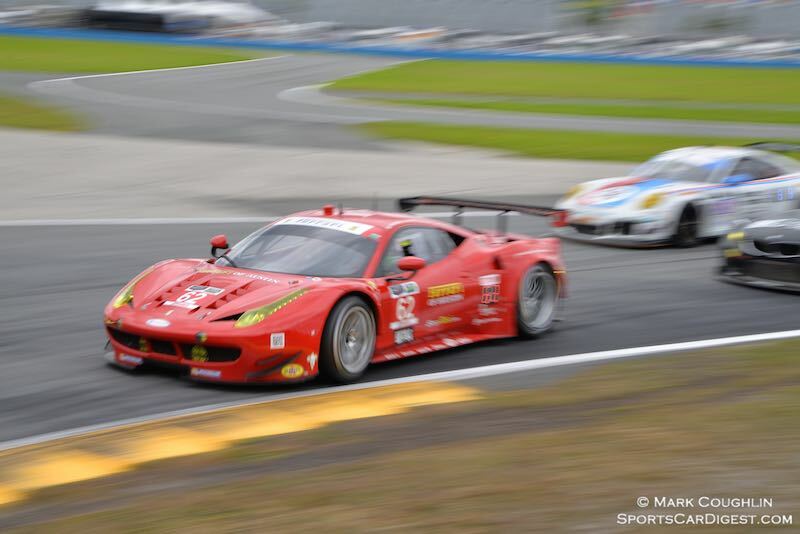 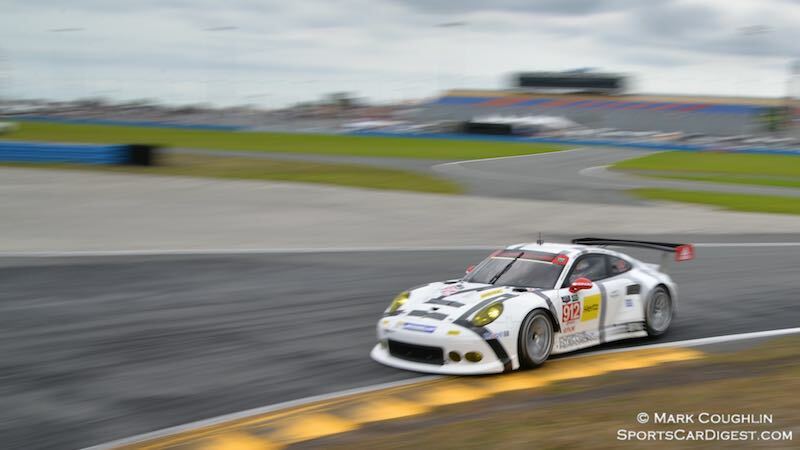 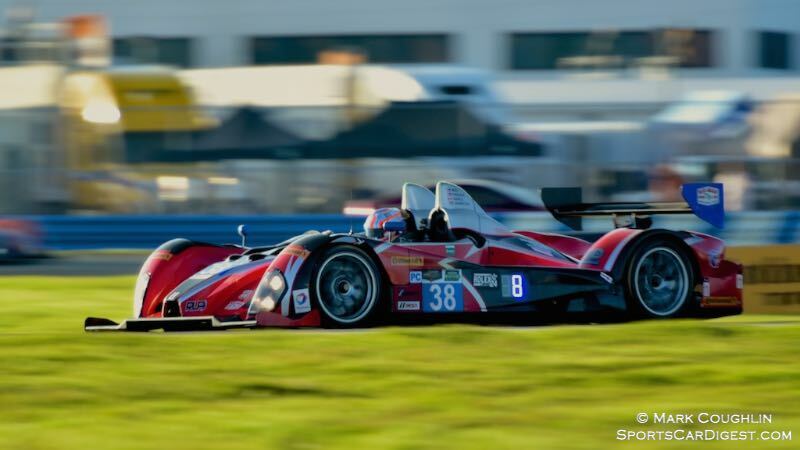 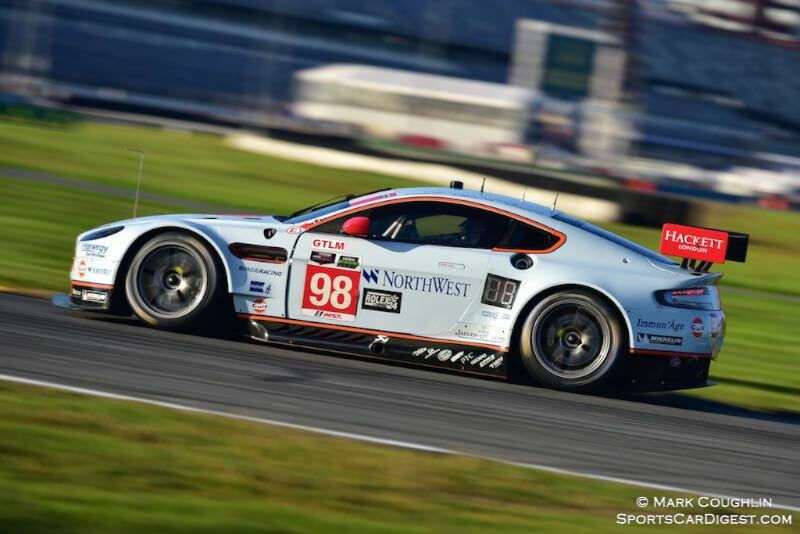 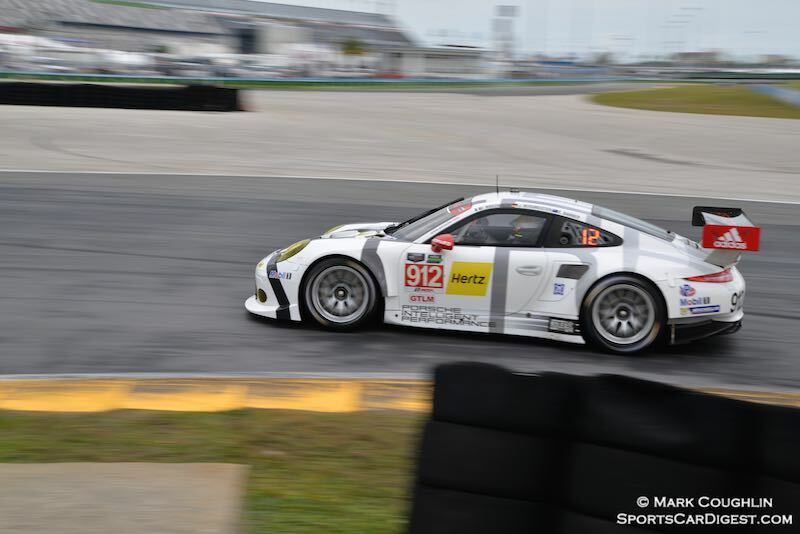 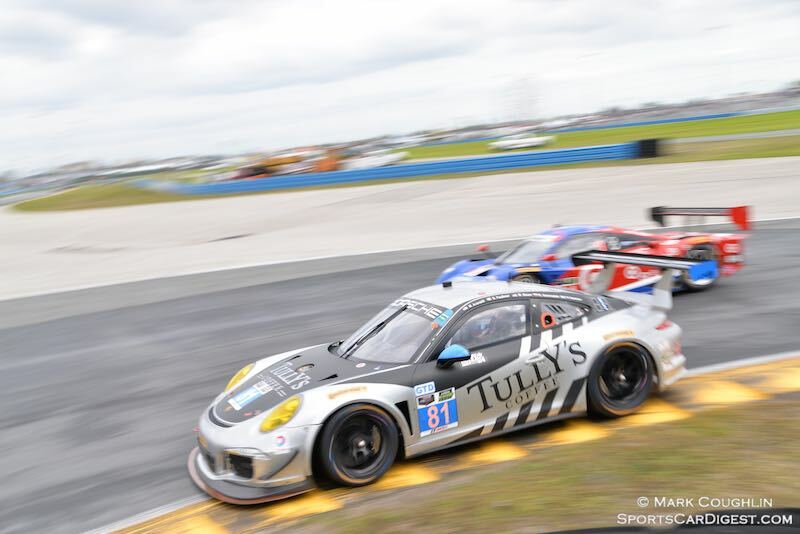 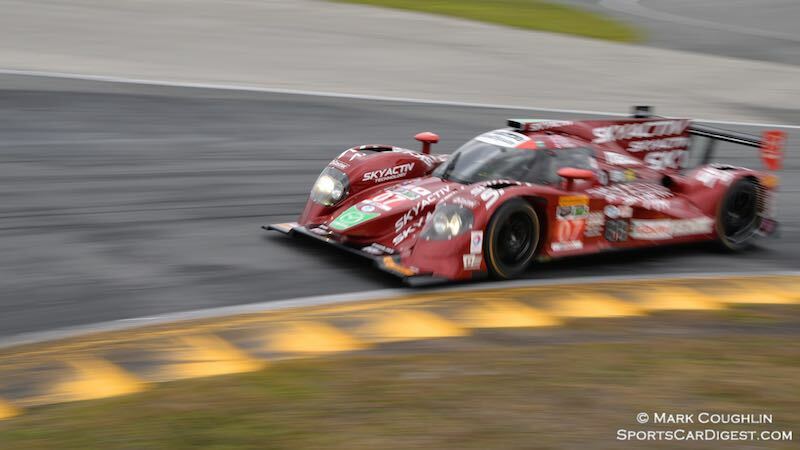 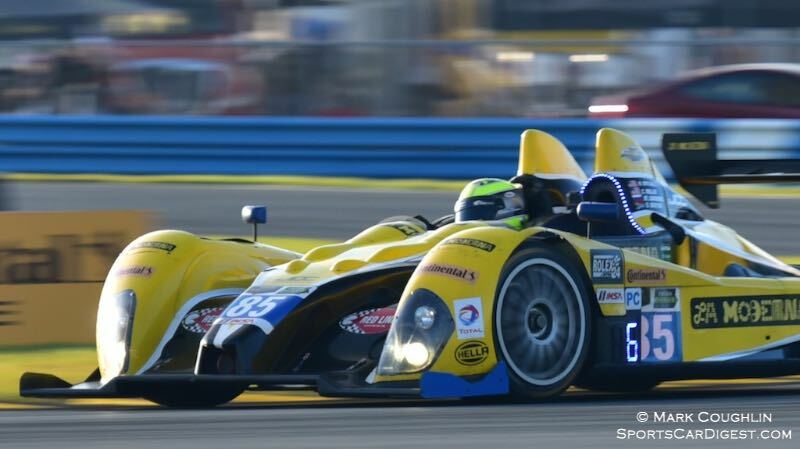 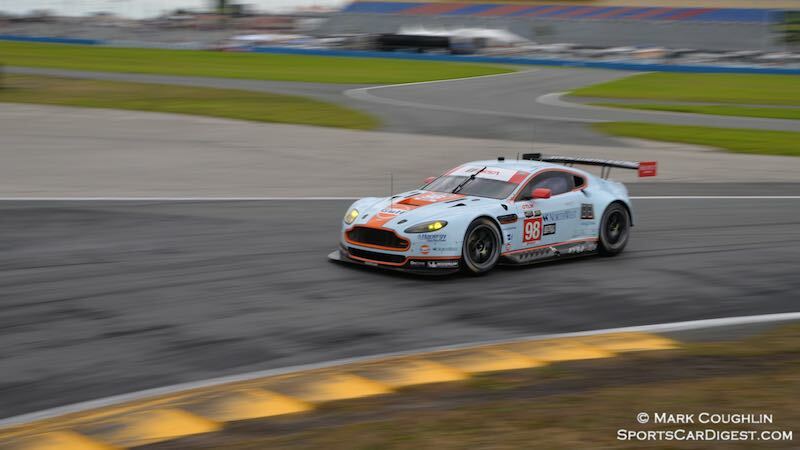 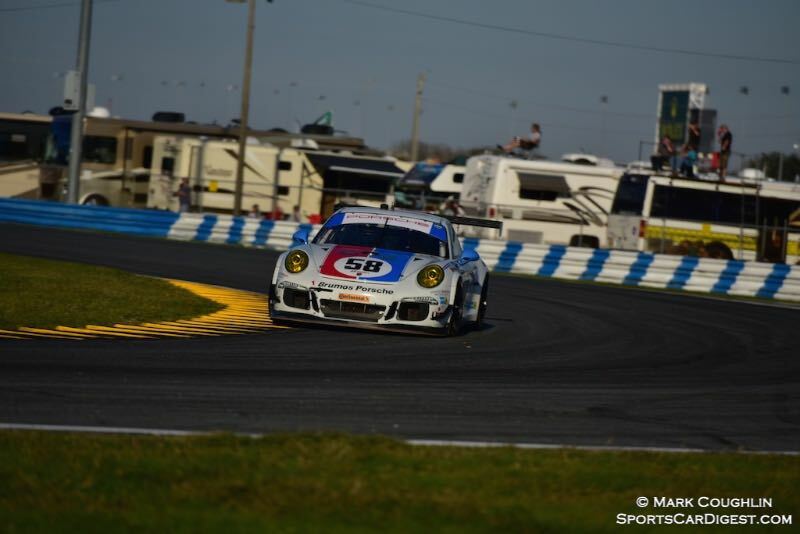 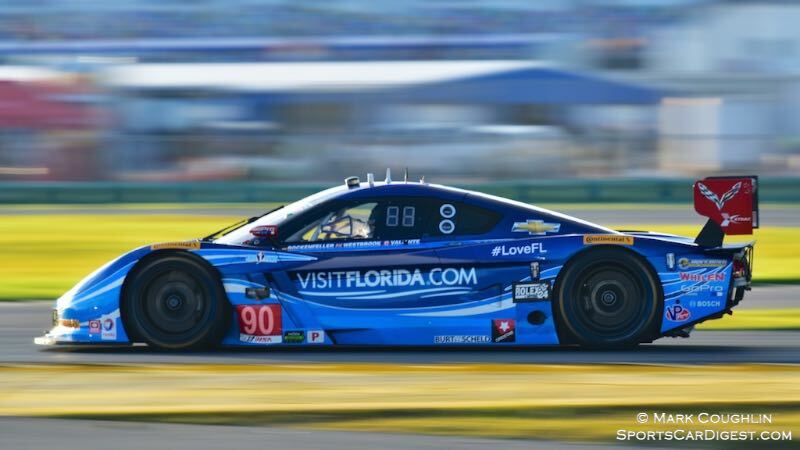 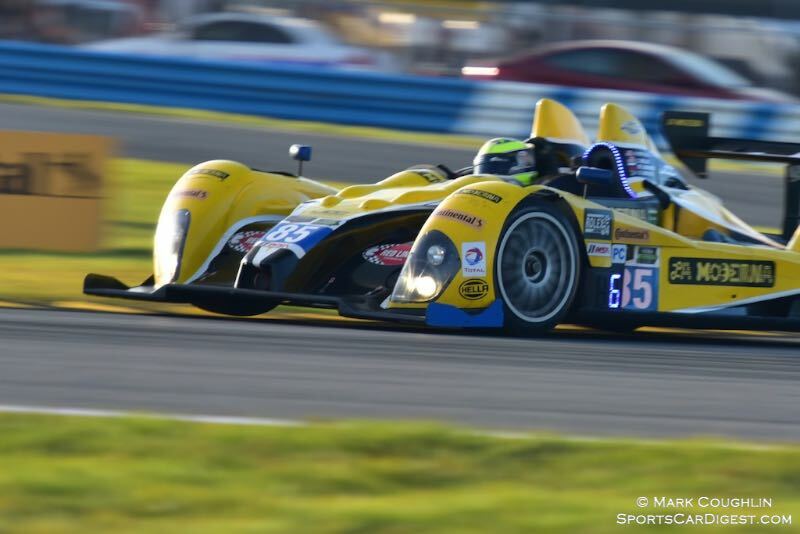 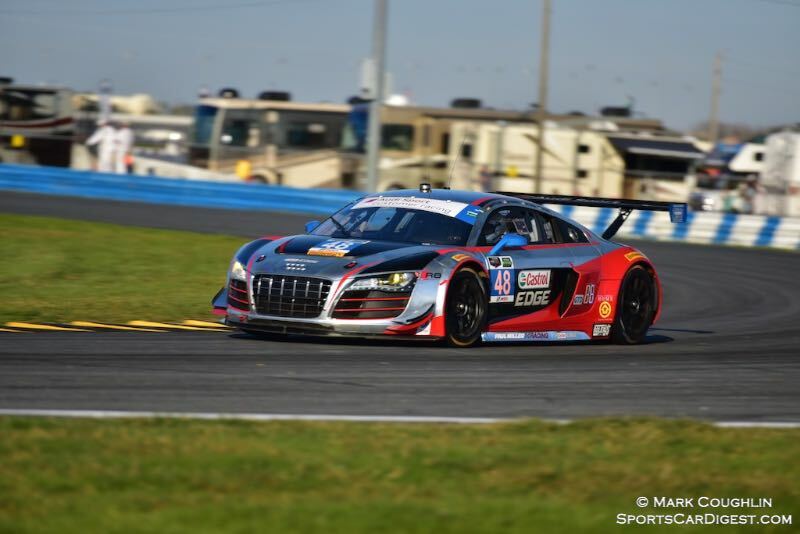 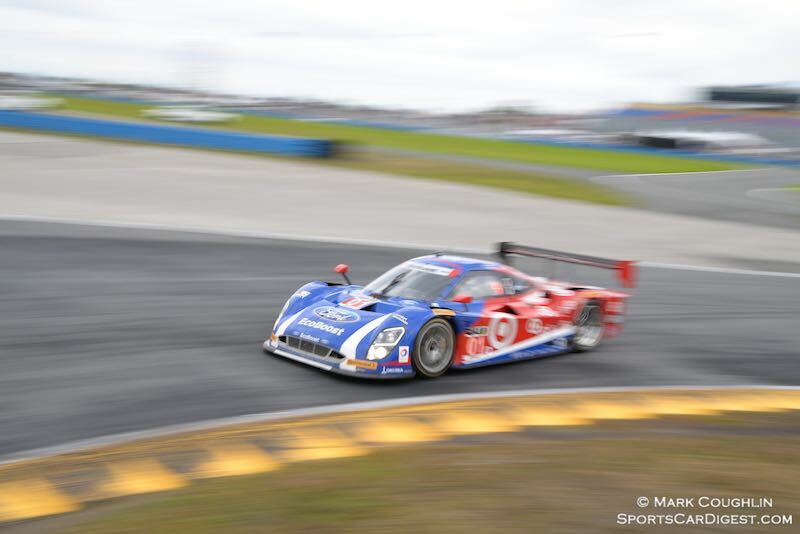 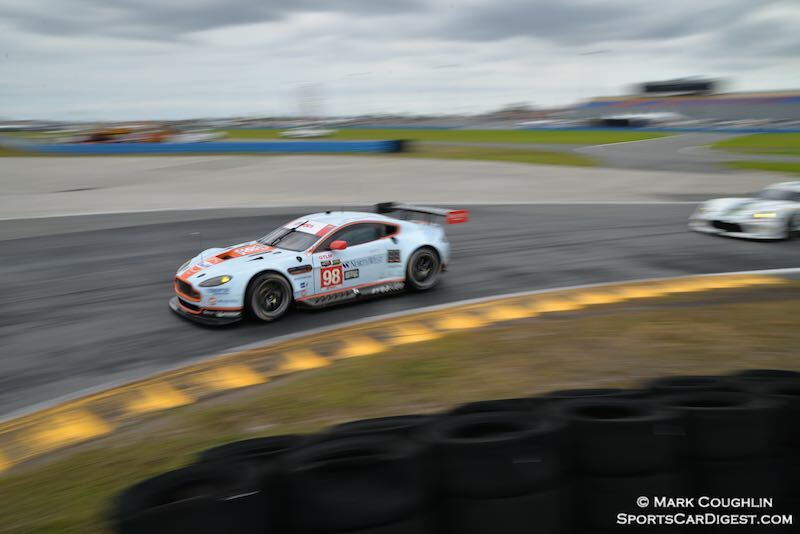 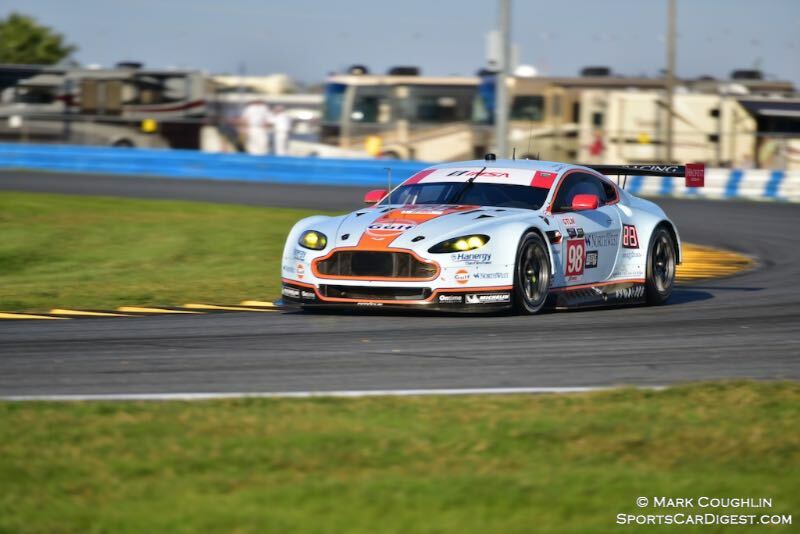 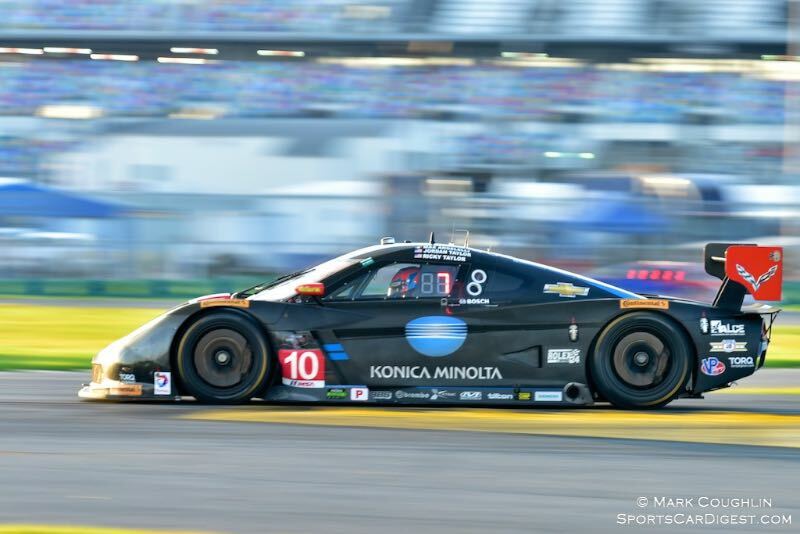 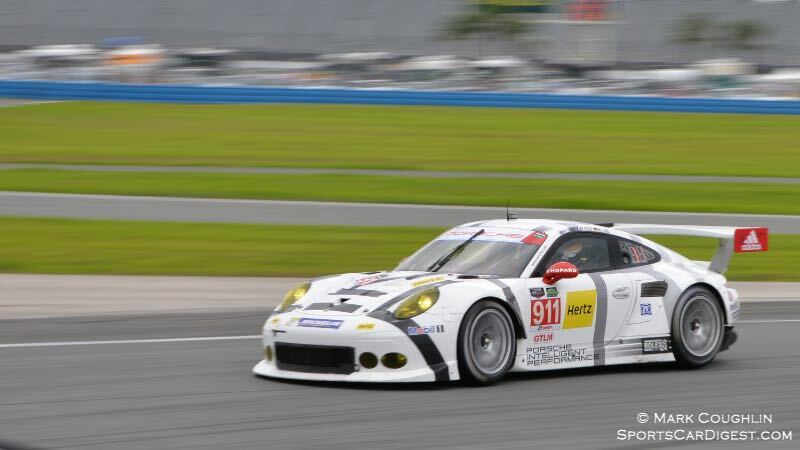 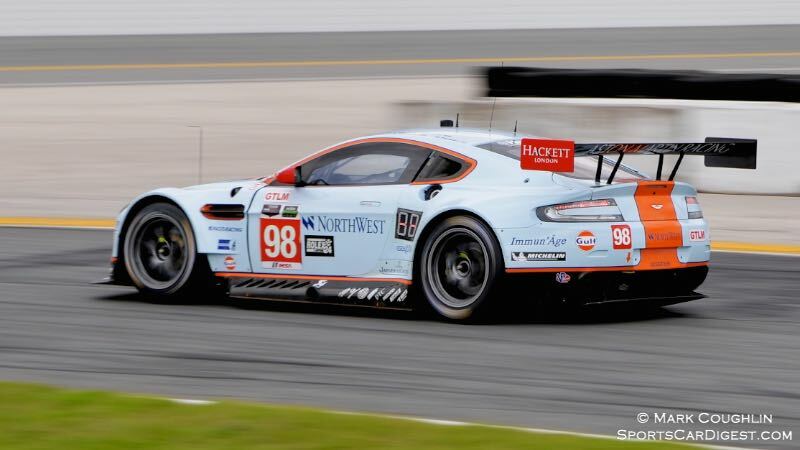 Excitement at the 53rd Rolex 24 At Daytona went down to the wire. 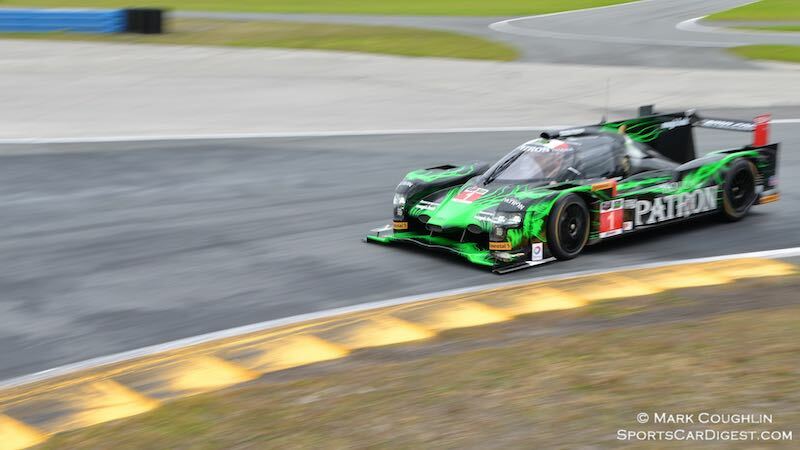 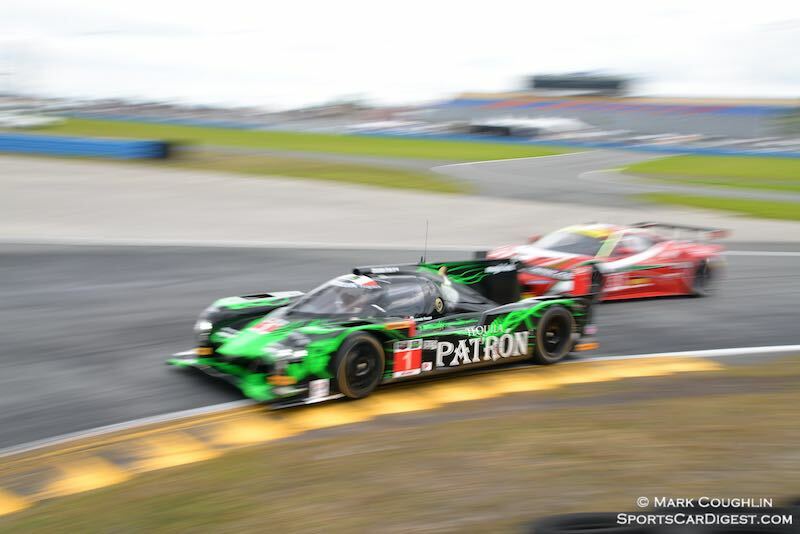 An engaging battle between the leading Prototypes was kept alive to the last by an incident bringing the safety car onto the track with 15 minutes to go. 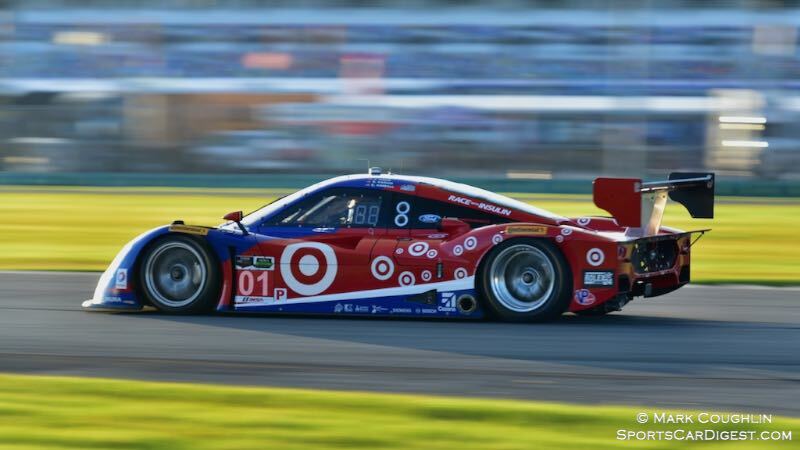 Scott Dixon held off the challenge of last year’s winner, #5 Action Express Racing to win; #02 Chip Ganassi racing eventually winning out by 1.333 seconds. 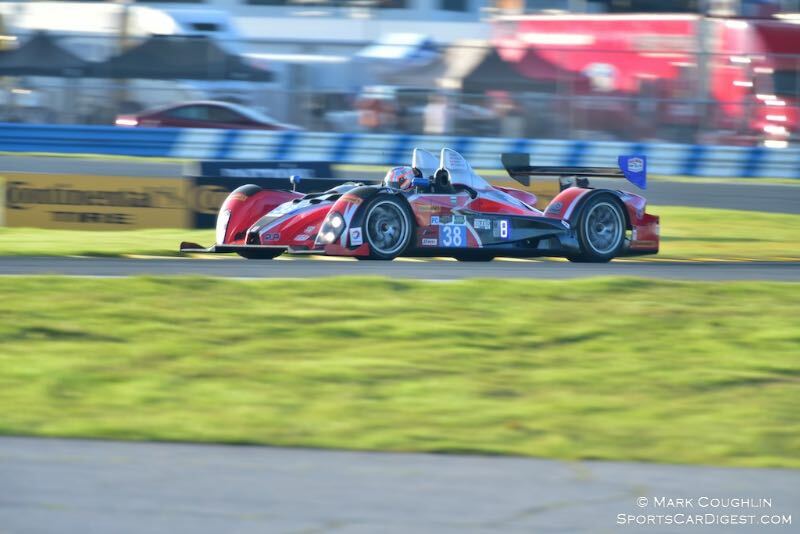 In PC class, #52 PR1/Mathiasen Motorsport was all but handed victory when longtime leader #54 crashed out with less than 20 minutes to go. 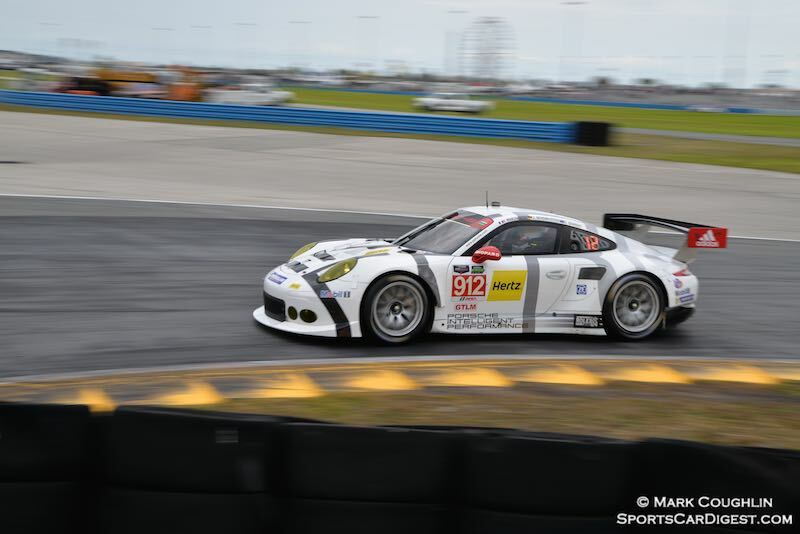 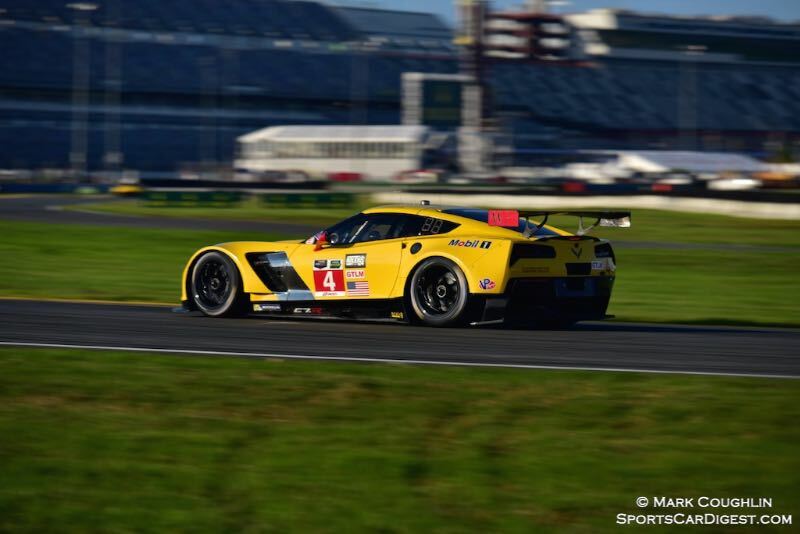 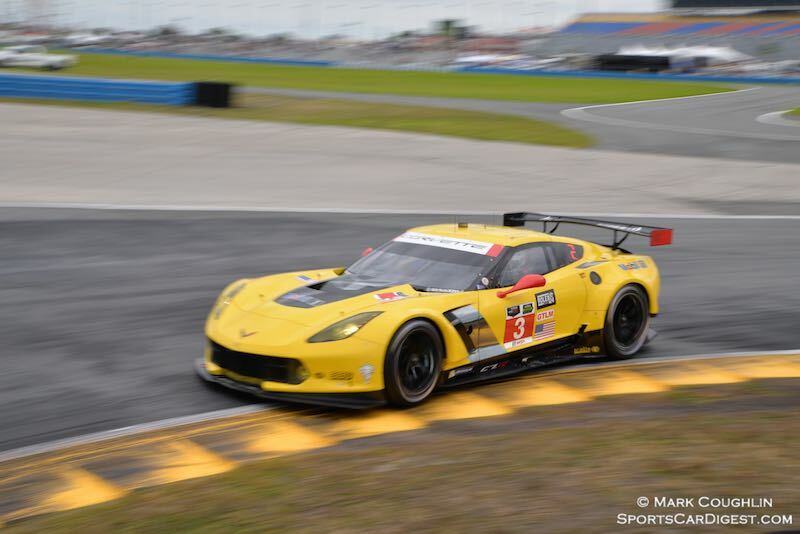 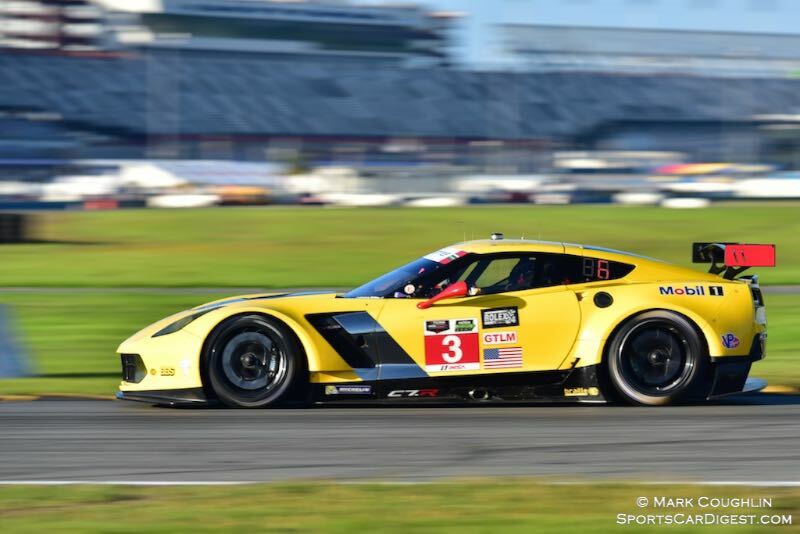 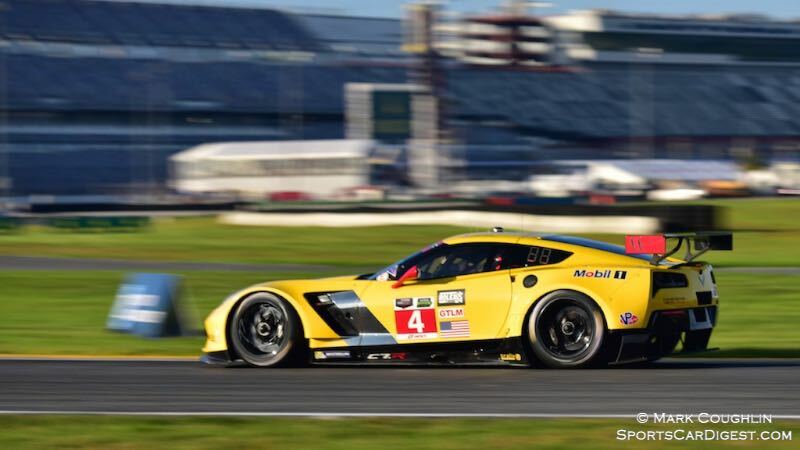 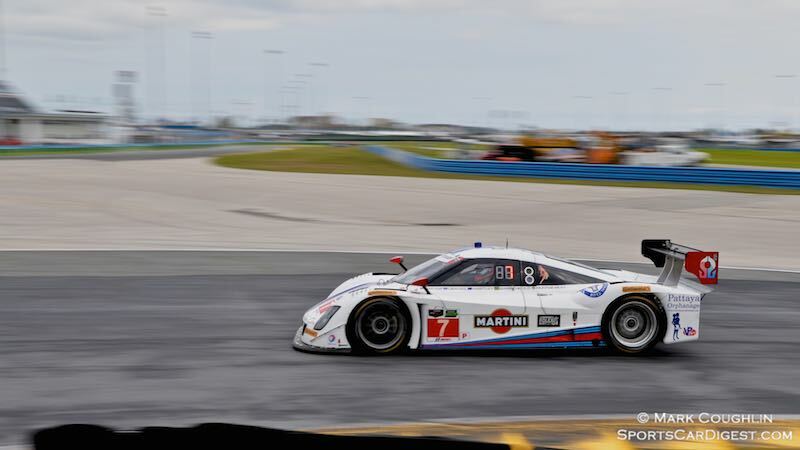 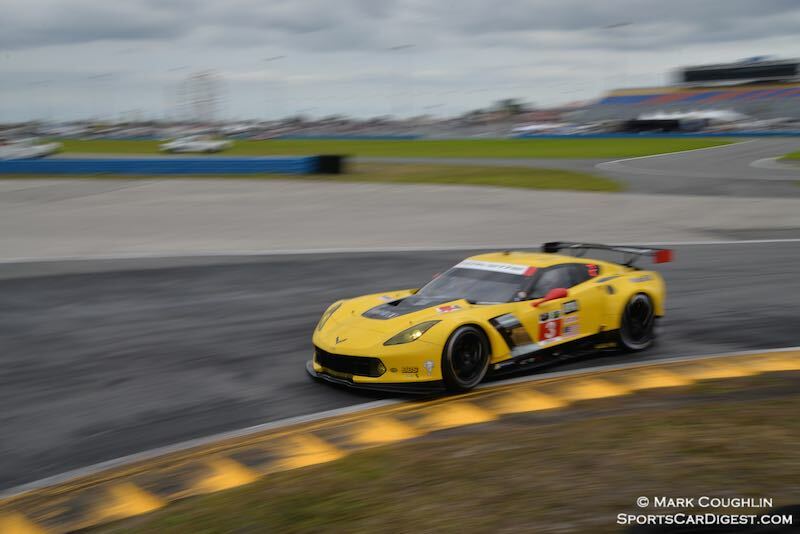 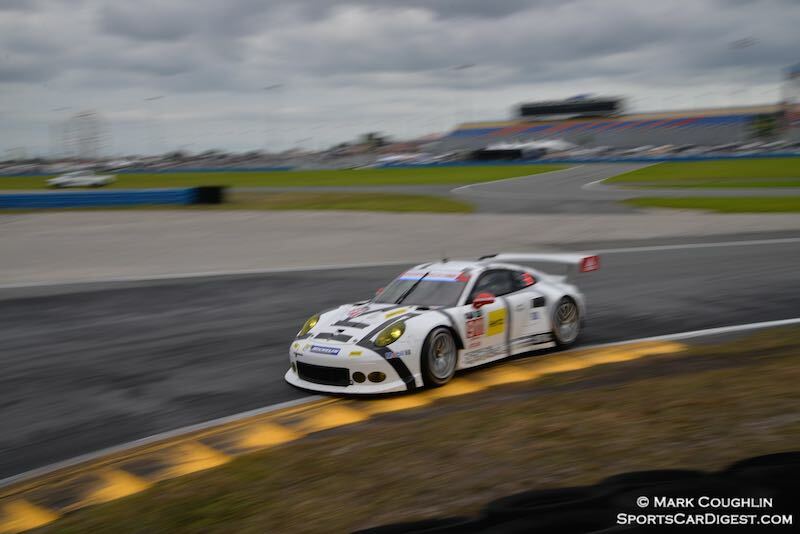 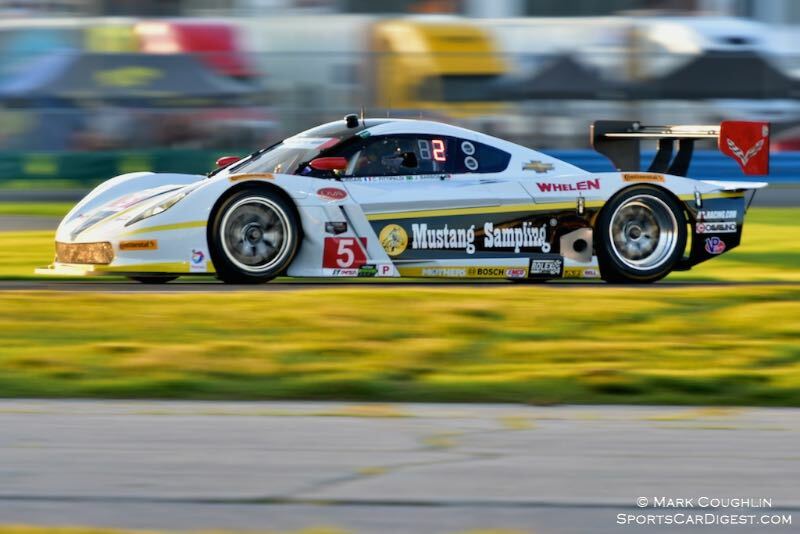 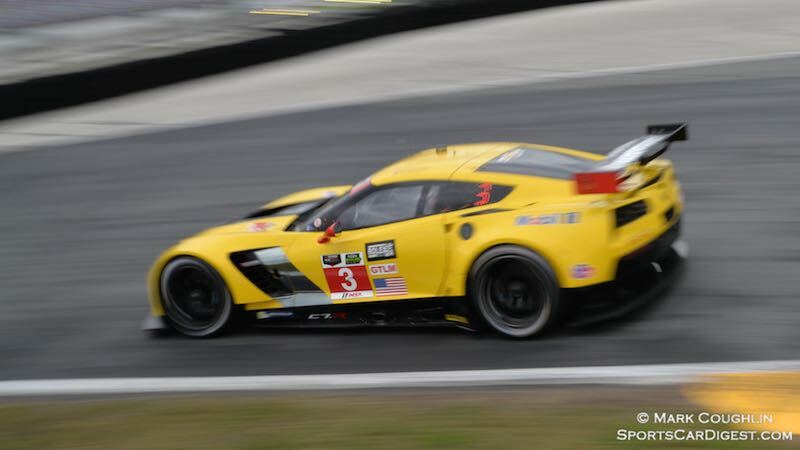 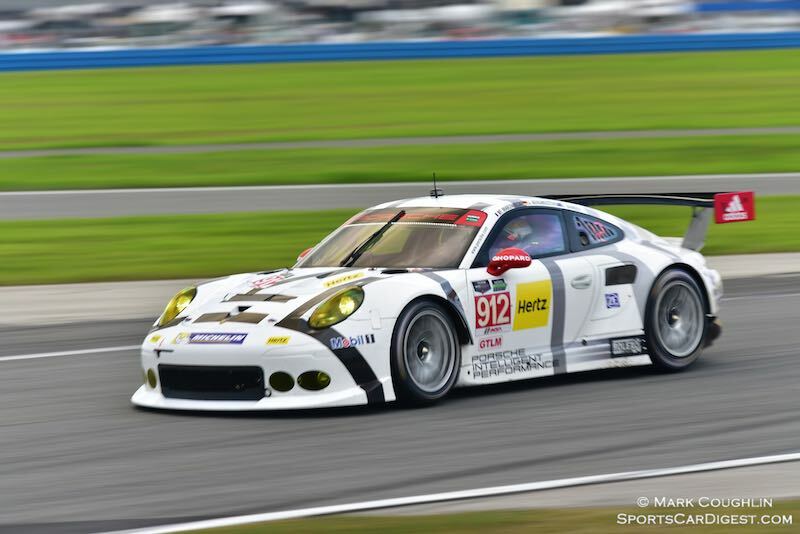 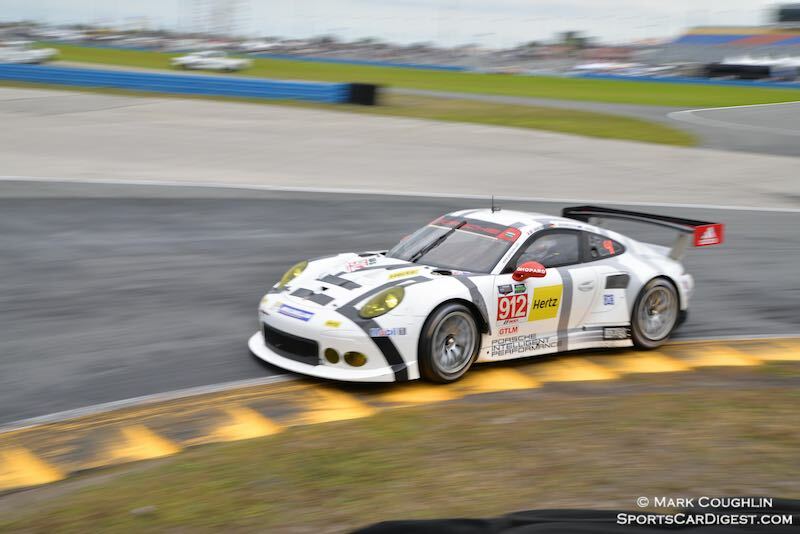 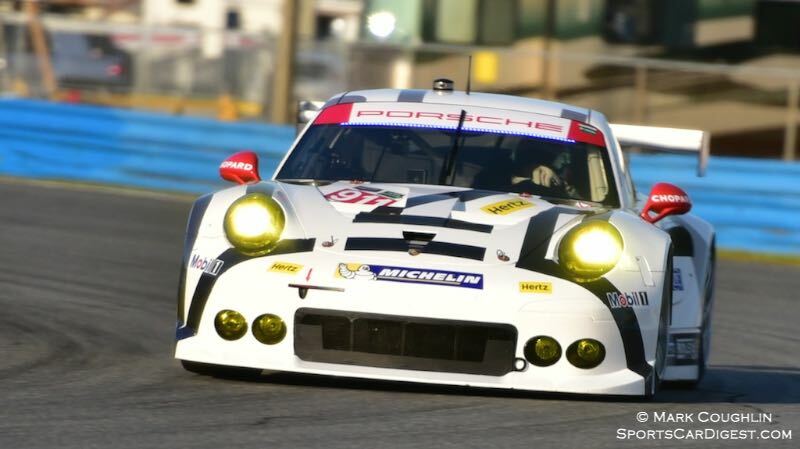 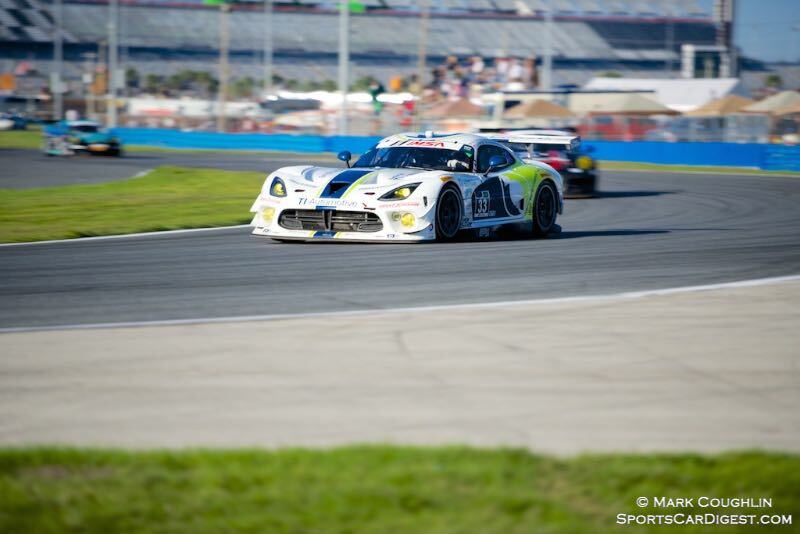 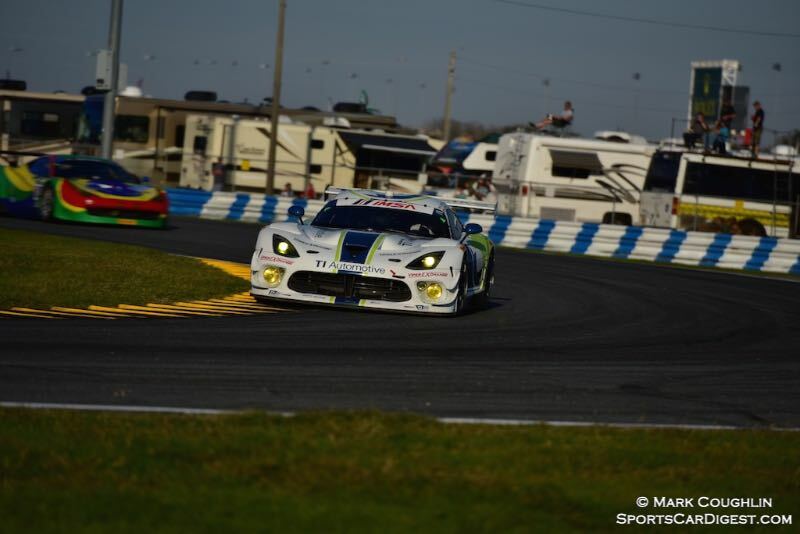 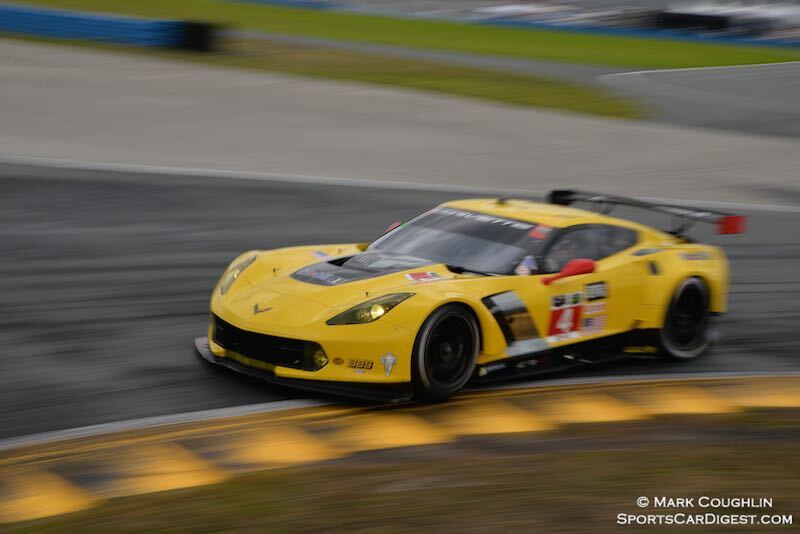 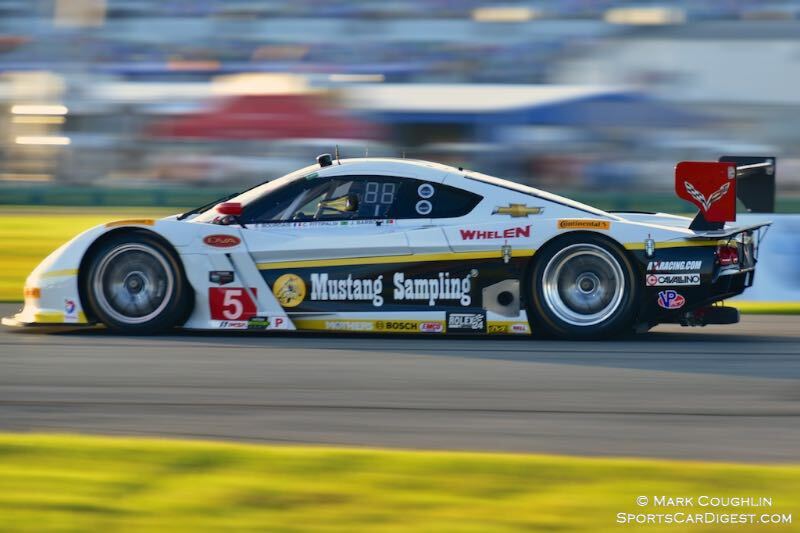 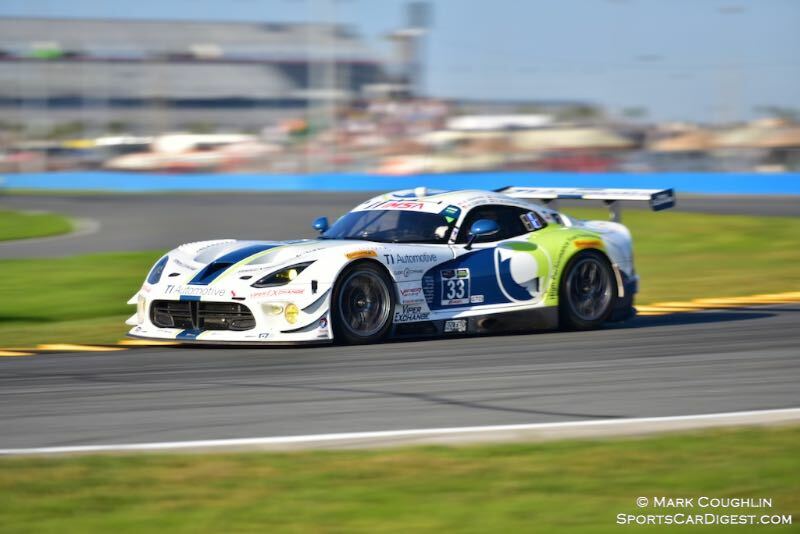 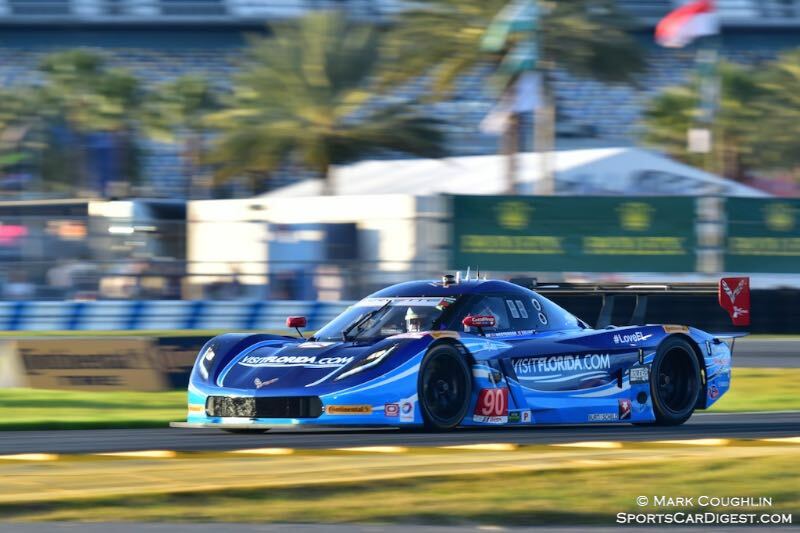 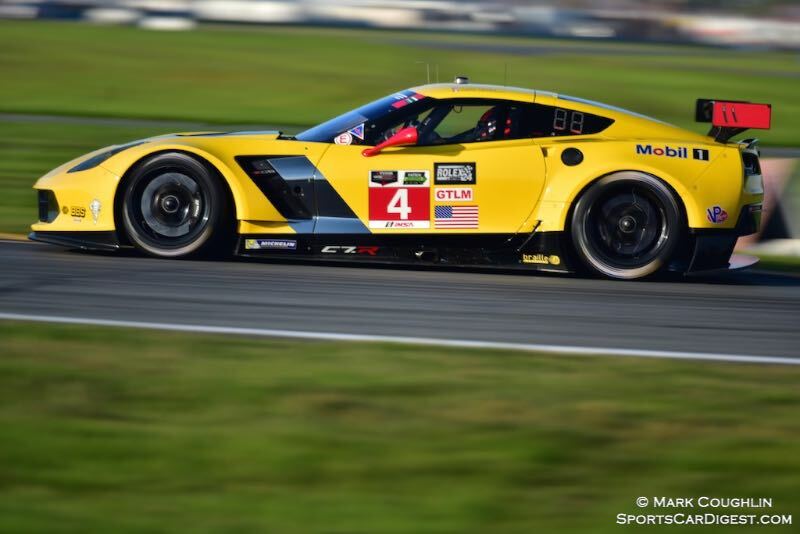 The #3 Corvette Racing held on to win GTLM, and in GTD it was #93 Riley Motorsport. 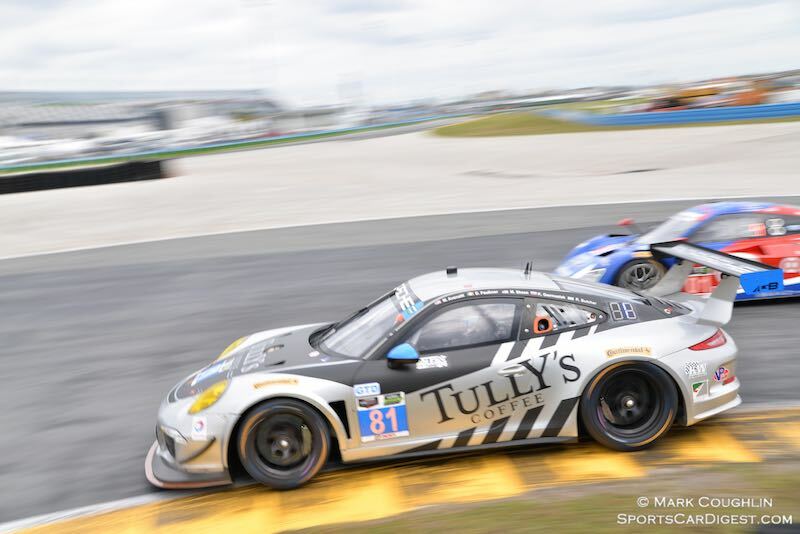 Along with their respective trophies, all winning drivers were rewarded for their herculean efforts with the ultimate in motor sport prizes, a Rolex Cosmograph Daytona. 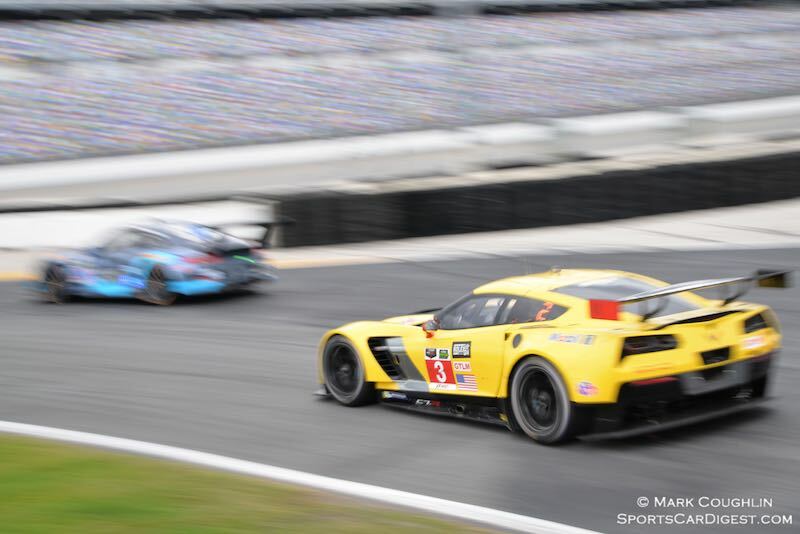 It was race of tremendous attrition as some 19 cars failed to finish including cars that seemed in contention until the final moments. 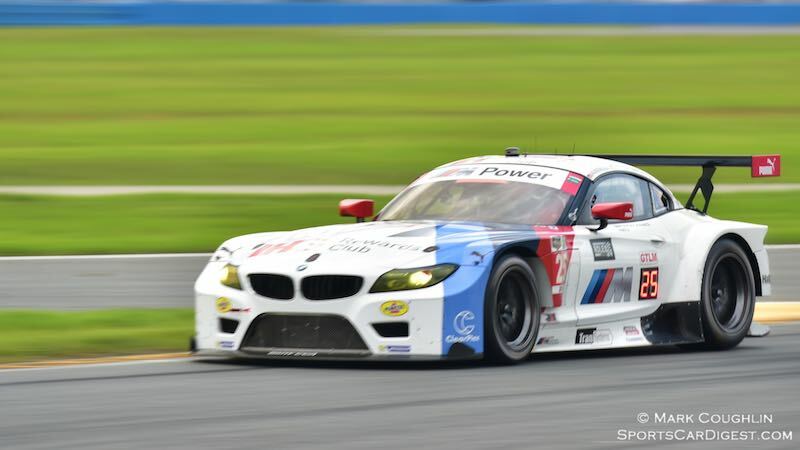 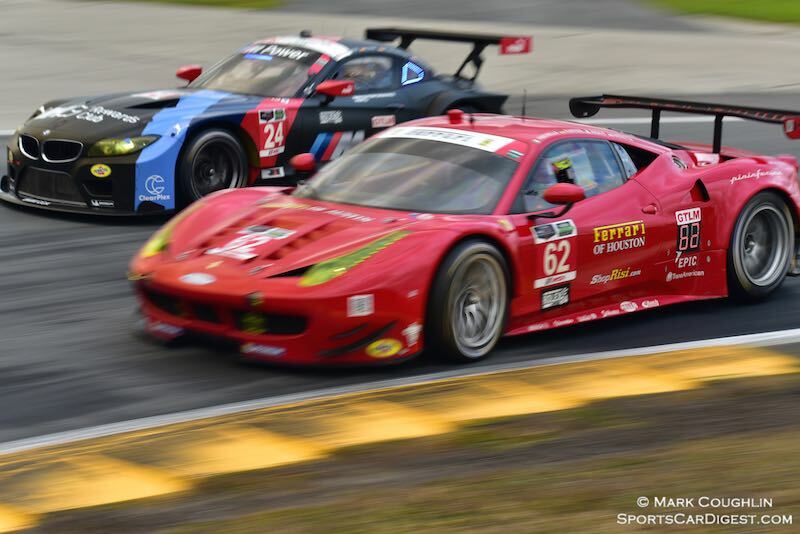 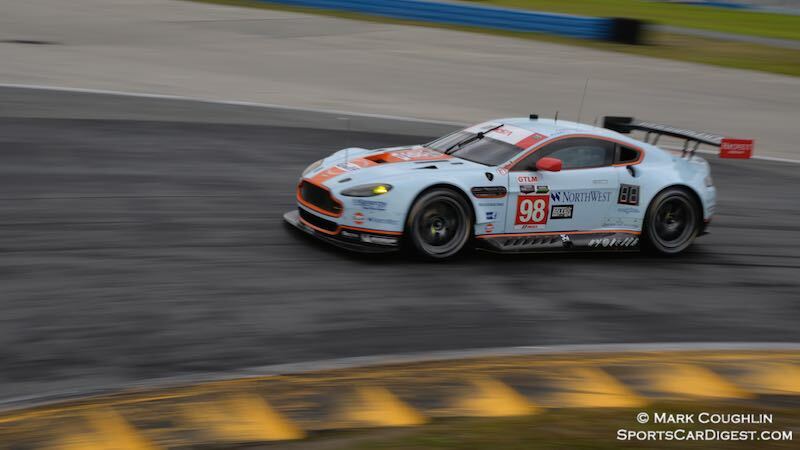 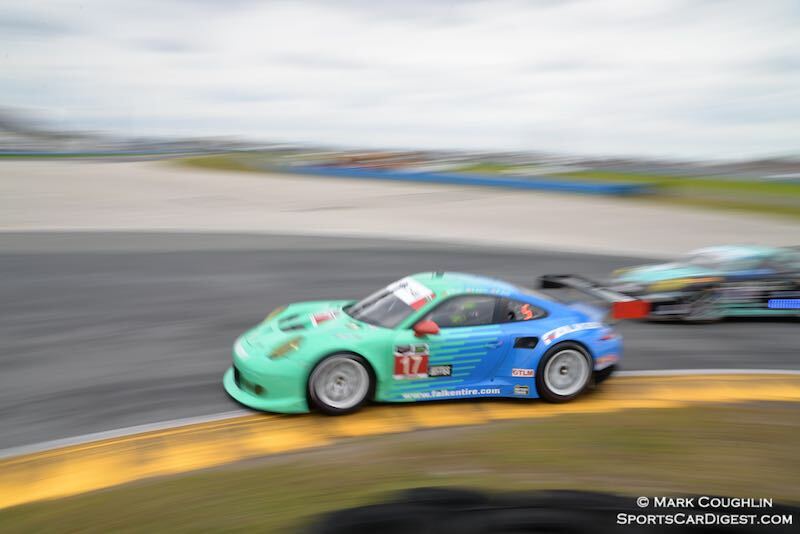 With four hours to go there was contested racing in all classes. 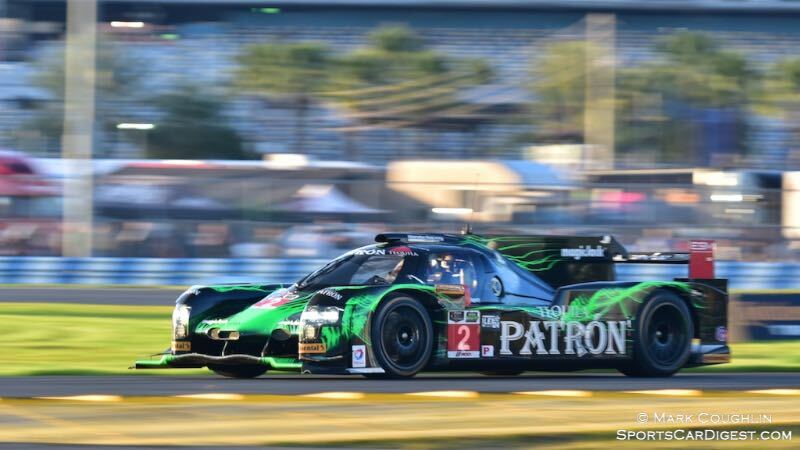 As the clock clicked inexorably towards the 24 hour mark, and the pace quickened, the cracks began to show in drivers, machinery and strategy. 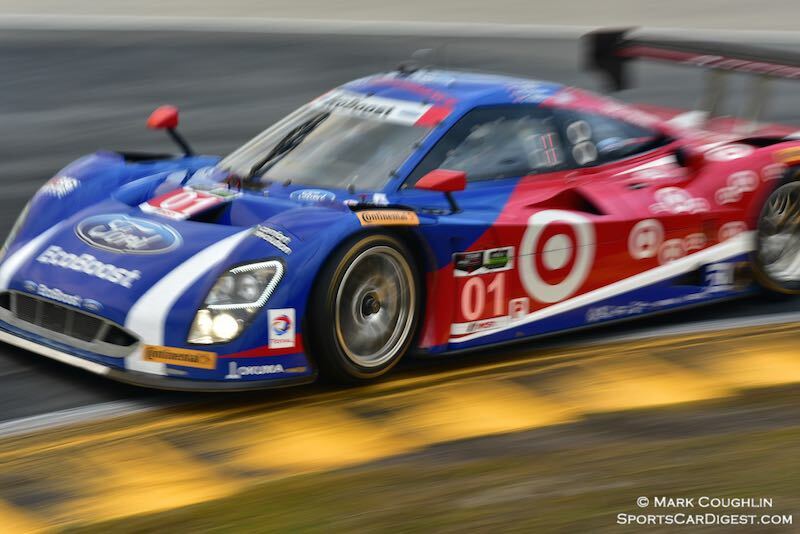 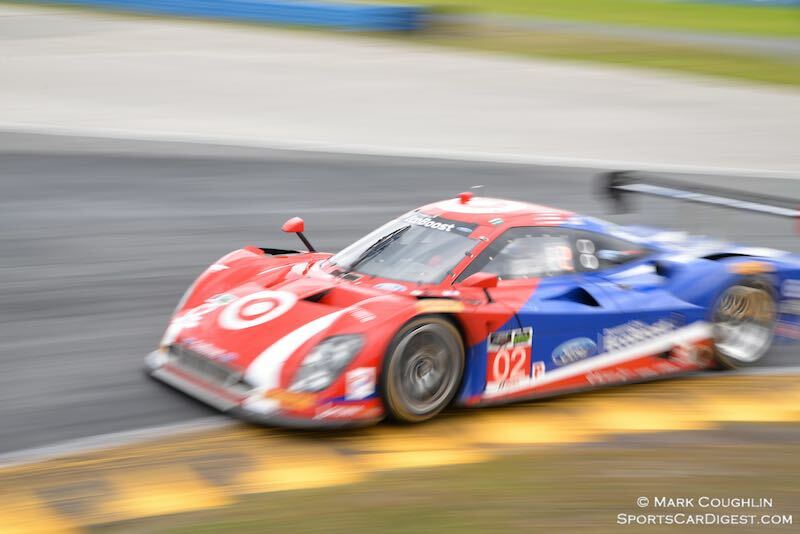 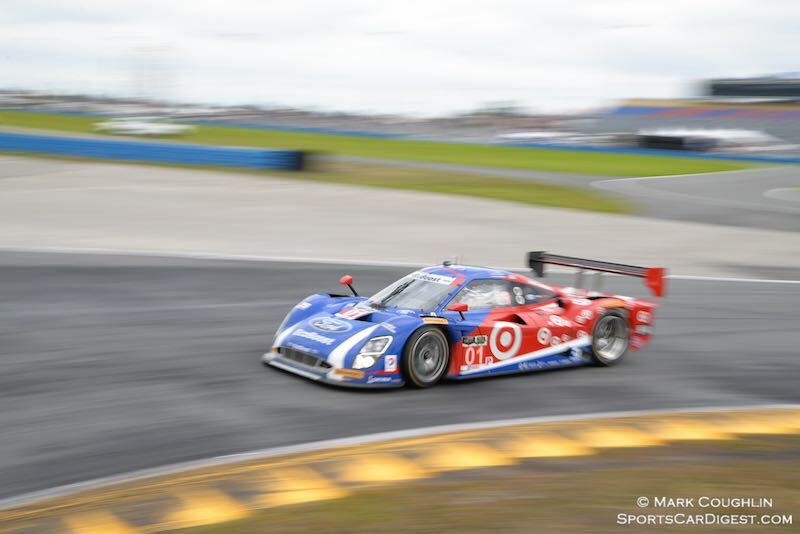 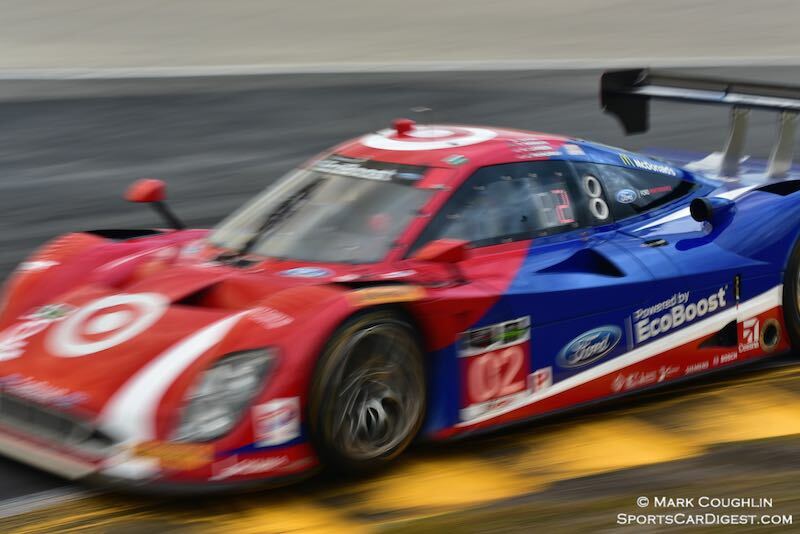 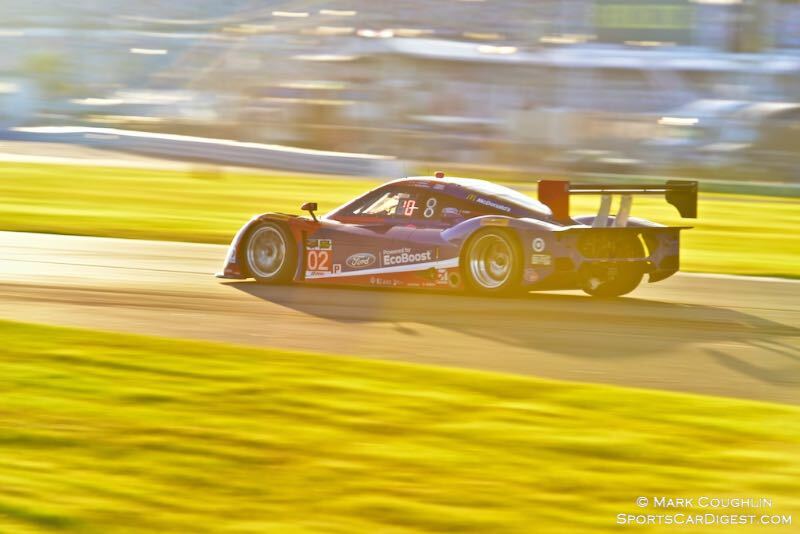 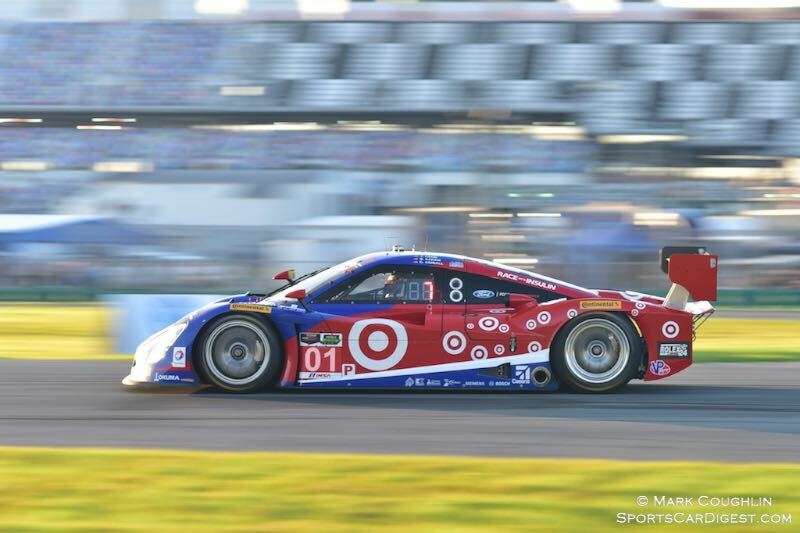 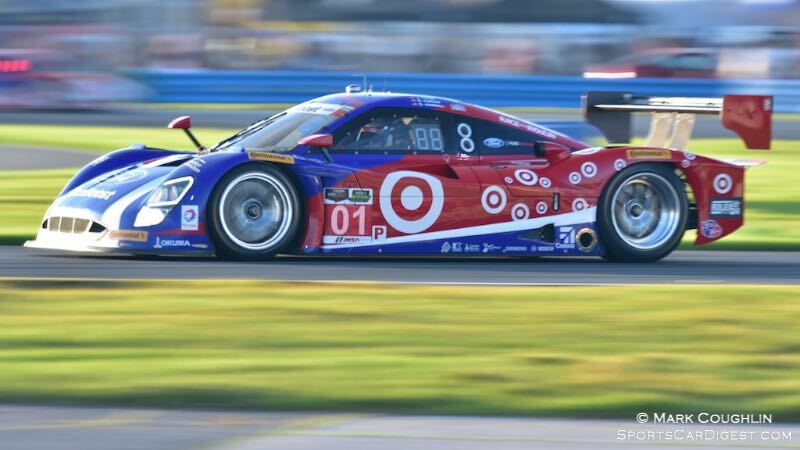 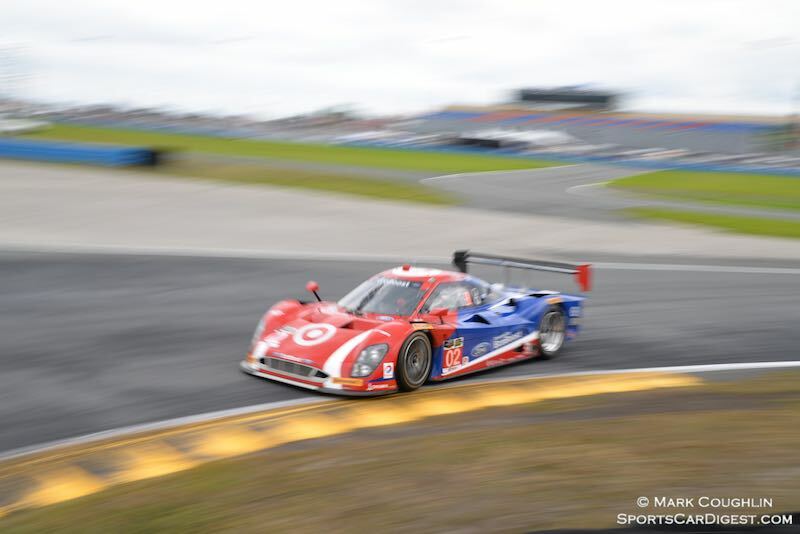 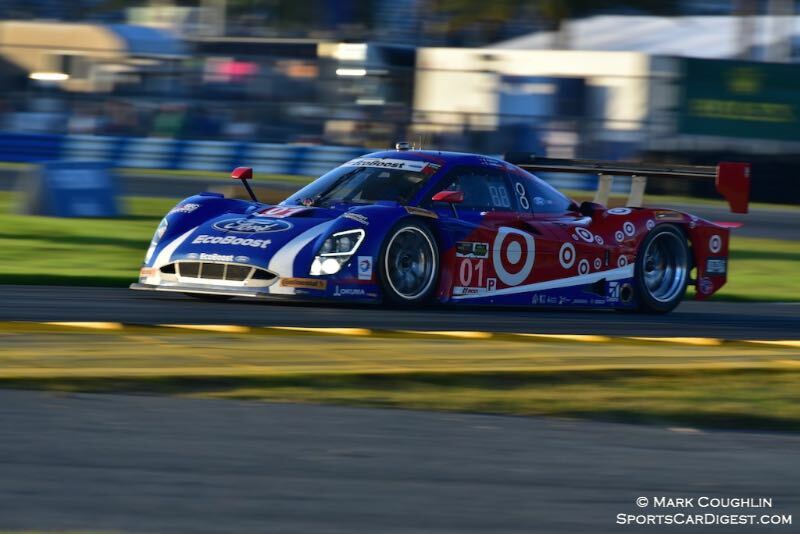 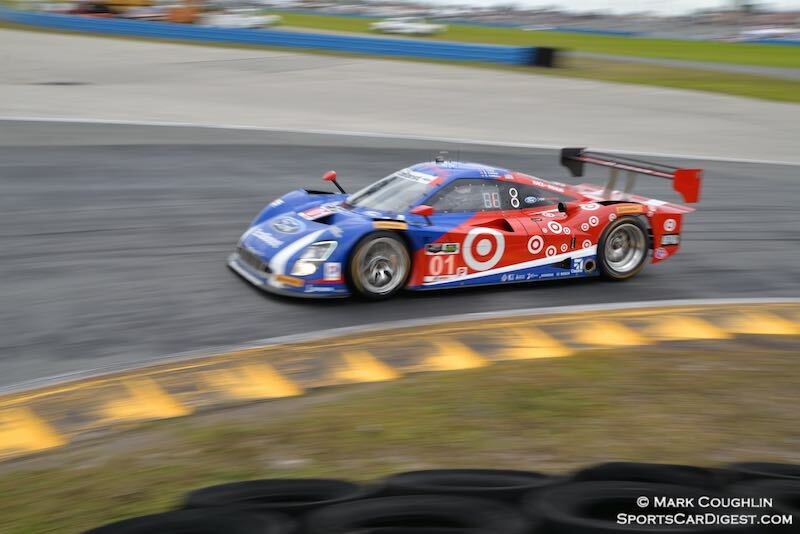 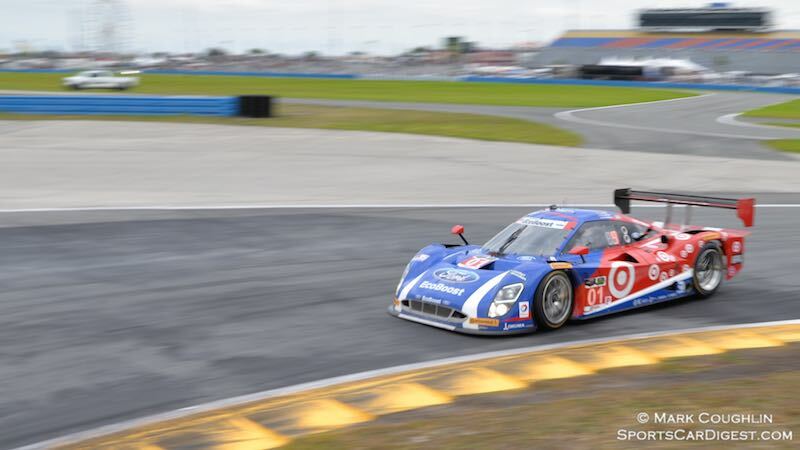 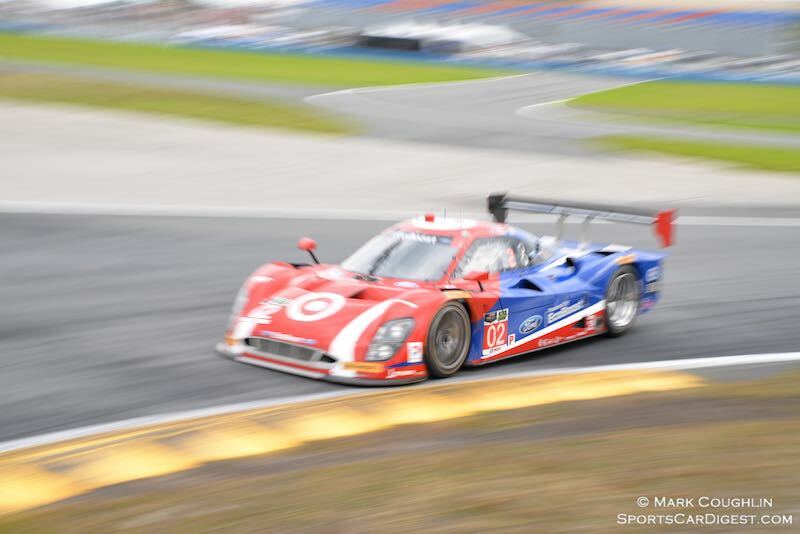 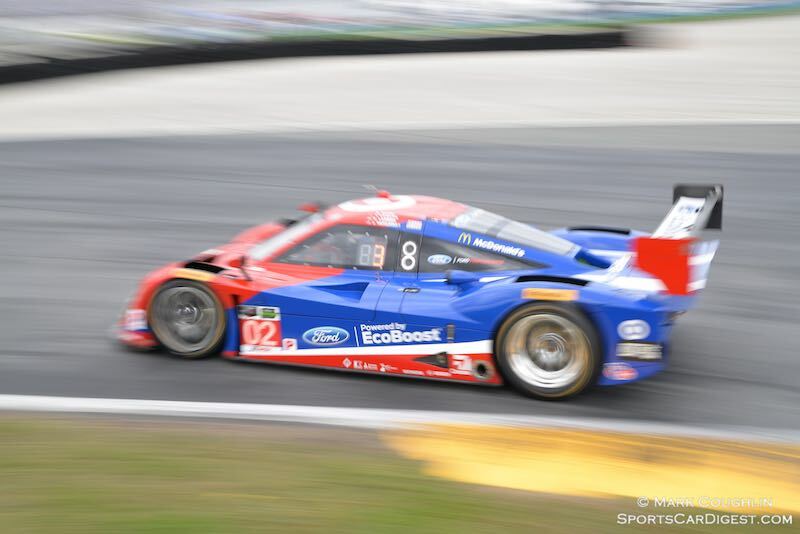 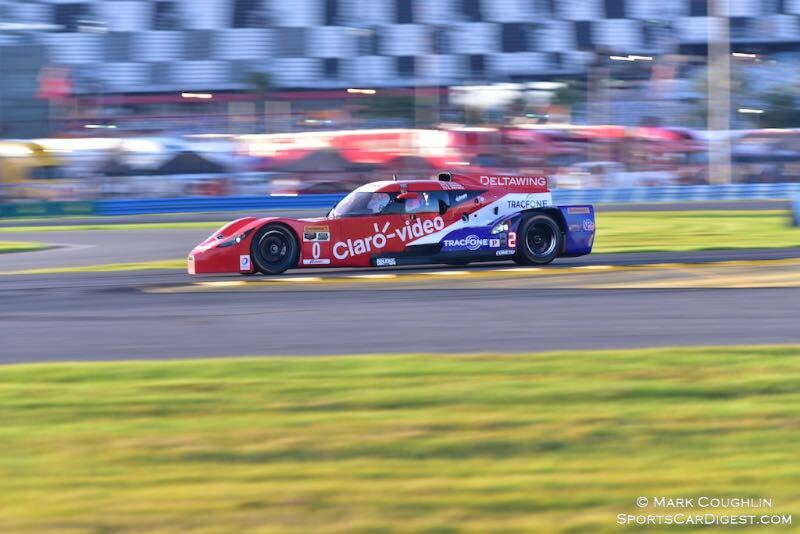 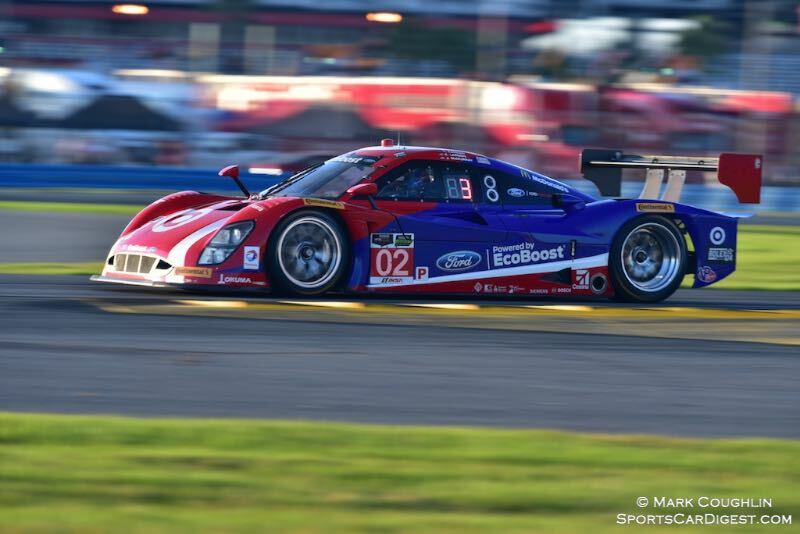 Chip Ganassi Racing’s win makes the team the most successful at the Rolex 24 At Daytona with six wins to their name. 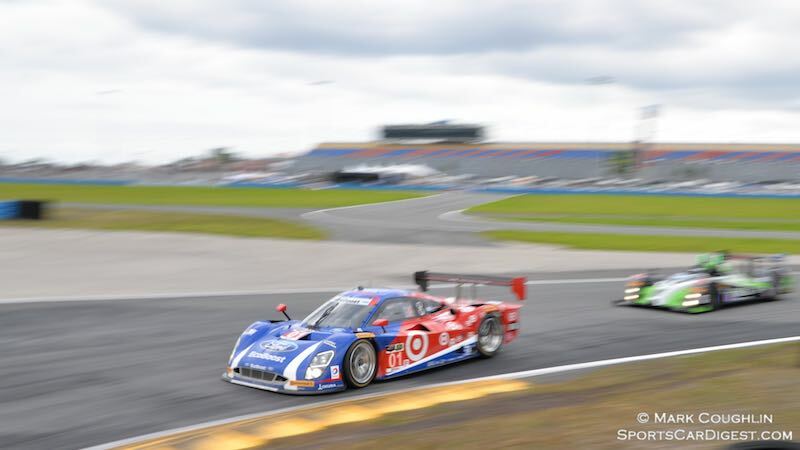 According to team owner Chip Ganassi: “The win is a tribute to the combination of complete concentration by every single person on the team.” Scott Dixon from New Zealand who brought the car home has now won the race two times, while his co-drivers Tony Kanaan (Brazil), Americans Kyle Larson and Jamie McMurray were first time winners. 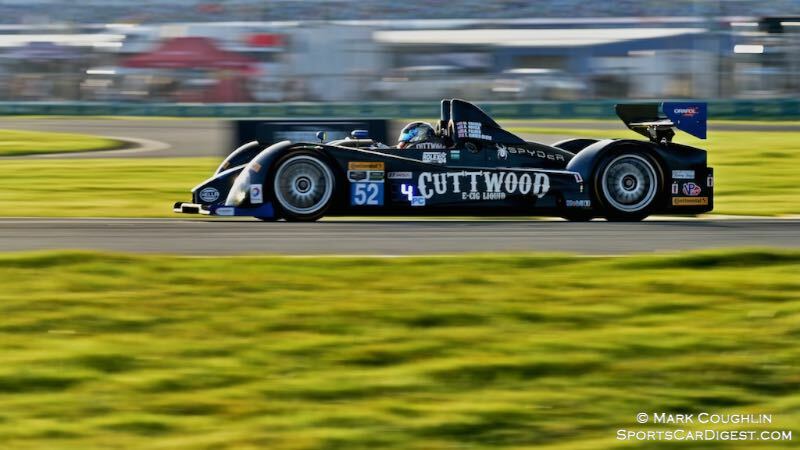 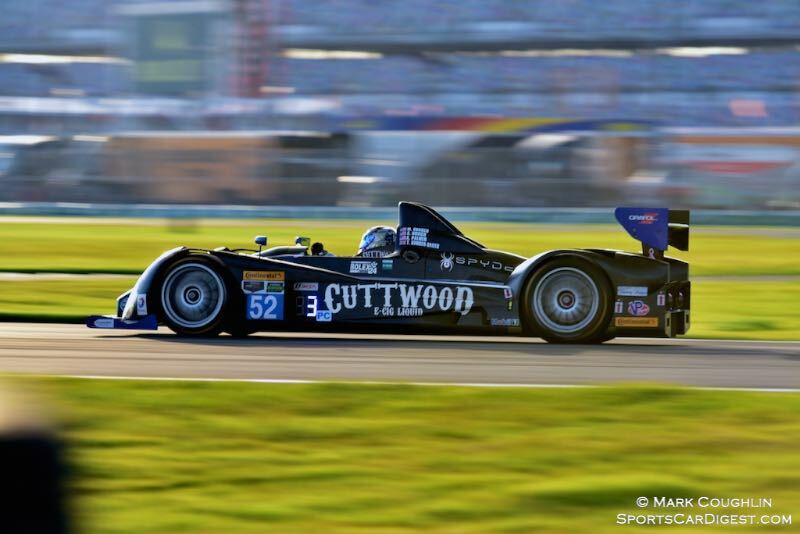 In the PC class the battle appeared to be over in the early hours as the #54 CORE autosport looked to be cruising to their second win in row. 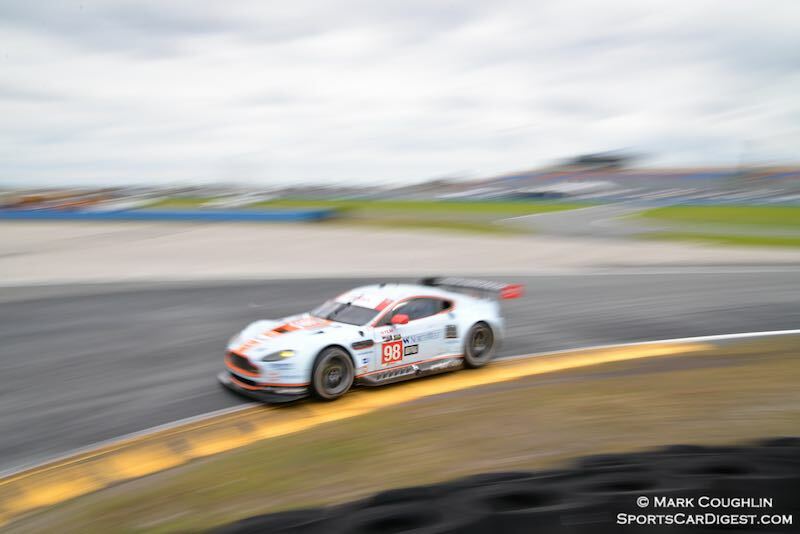 A couple of track incidents in the morning allowed #52 to catch up to the same lap, but it never looked likely to over haul the leader. 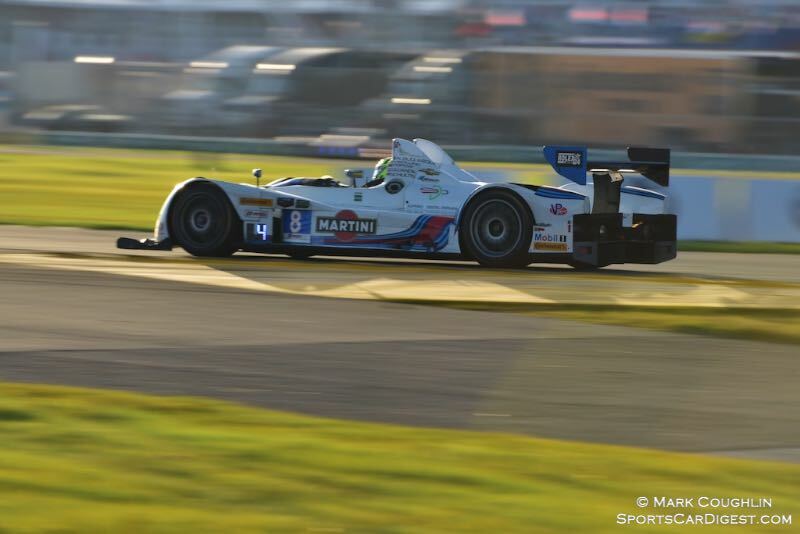 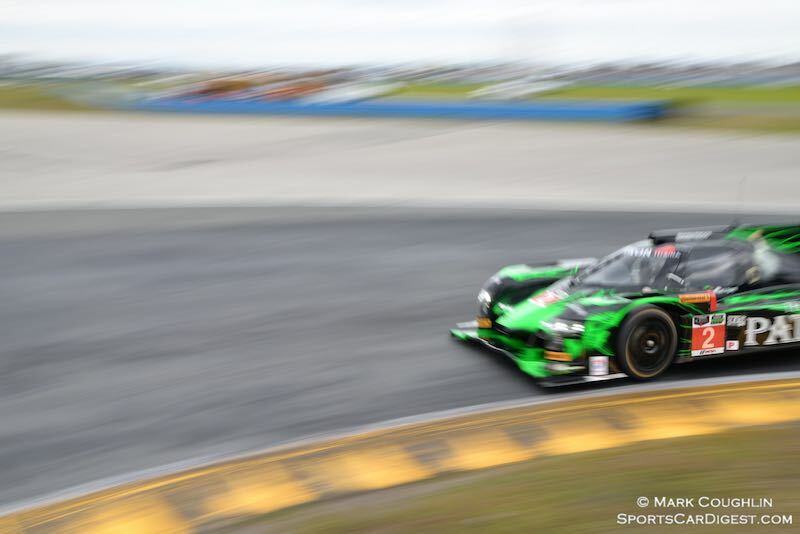 That was until it all went wrong for #54 as it slammed into the wall just after exiting the bus stop (chicane) and burst in flames (driver Colin Braun stepped away uninjured), leaving #52 PR1/Mathiasen Motorsport to slip home in their place. 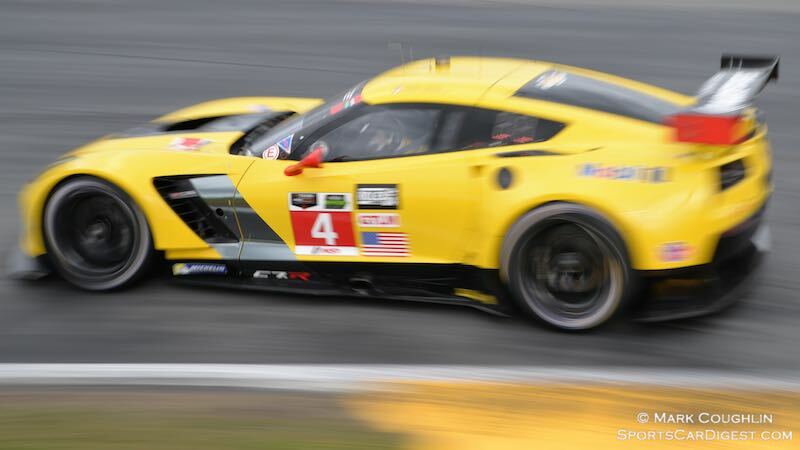 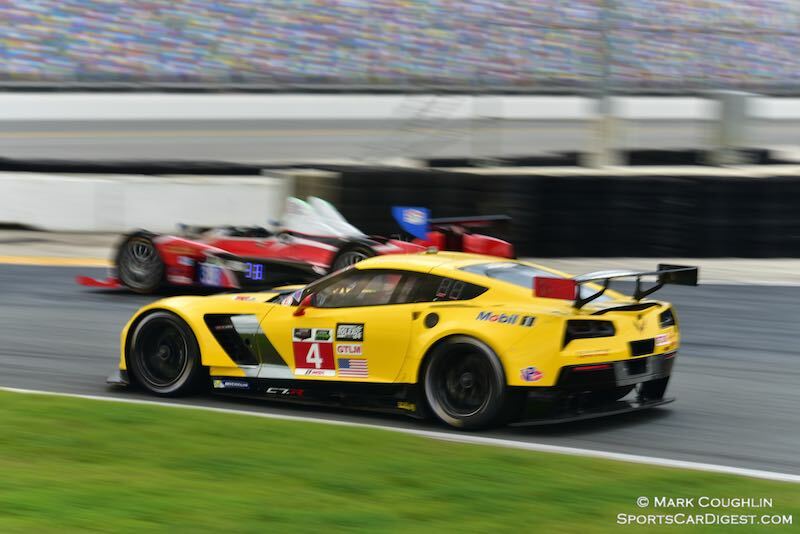 #3 Corvette Racing’s victory in GTLM was arguably a gift too, as first their team mate #4, the class pole sitter, kept running into trouble with other cars and finally gave up the challenge after a serious shunt with a prototype in the closing stages. 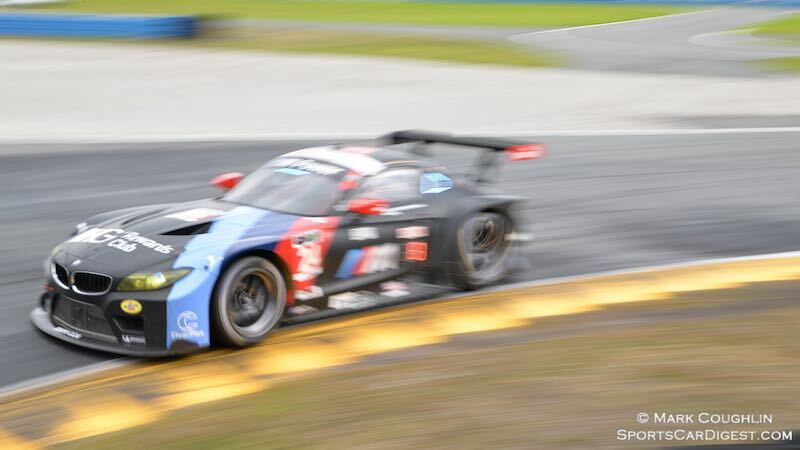 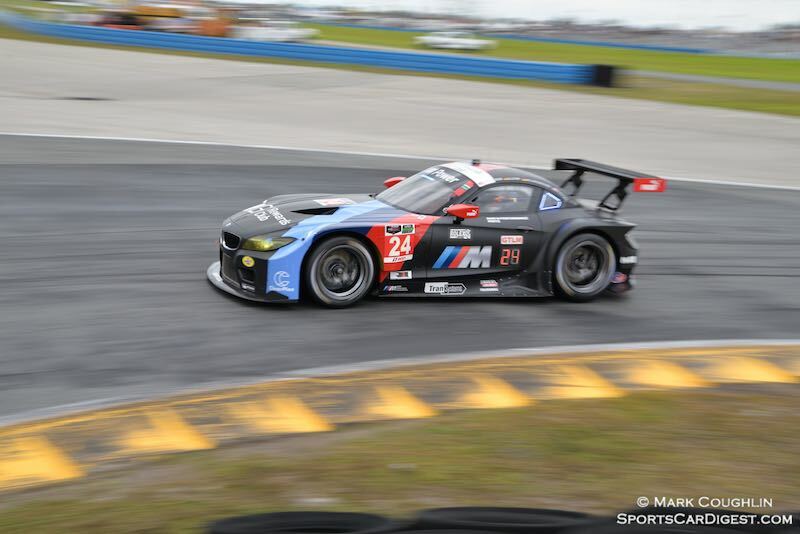 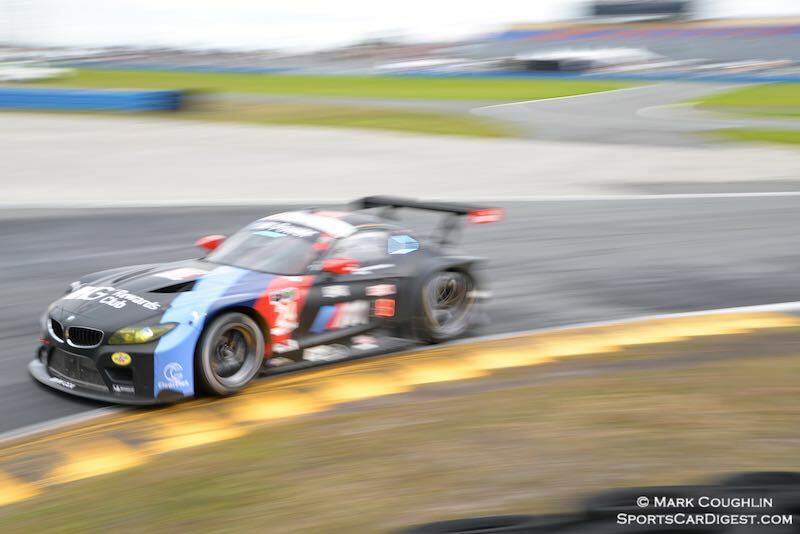 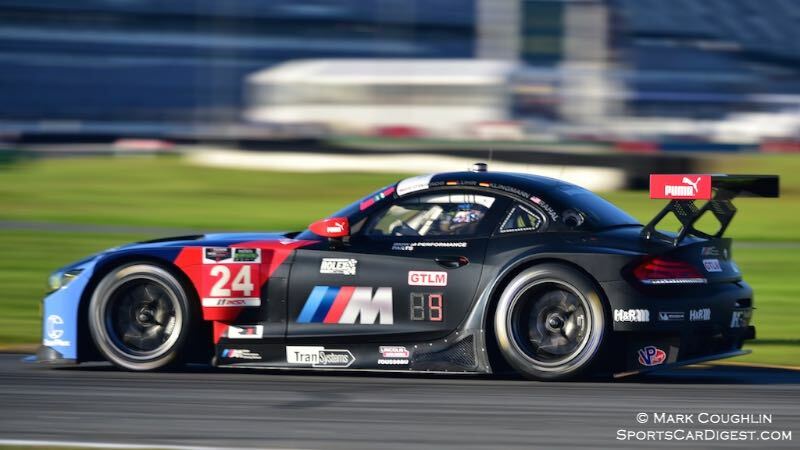 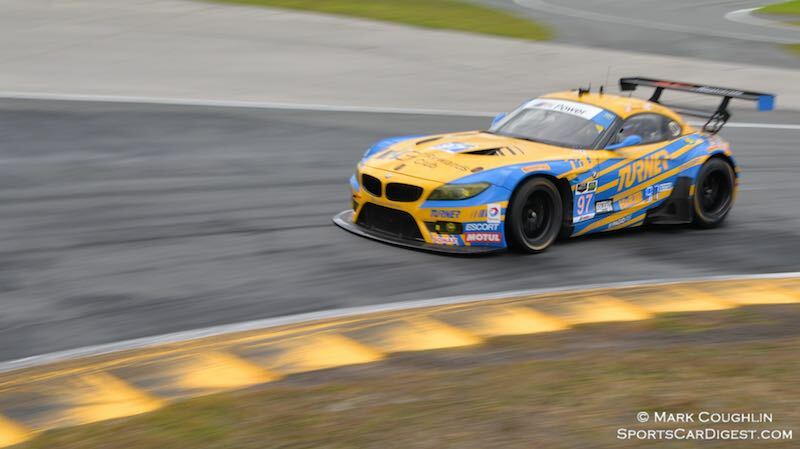 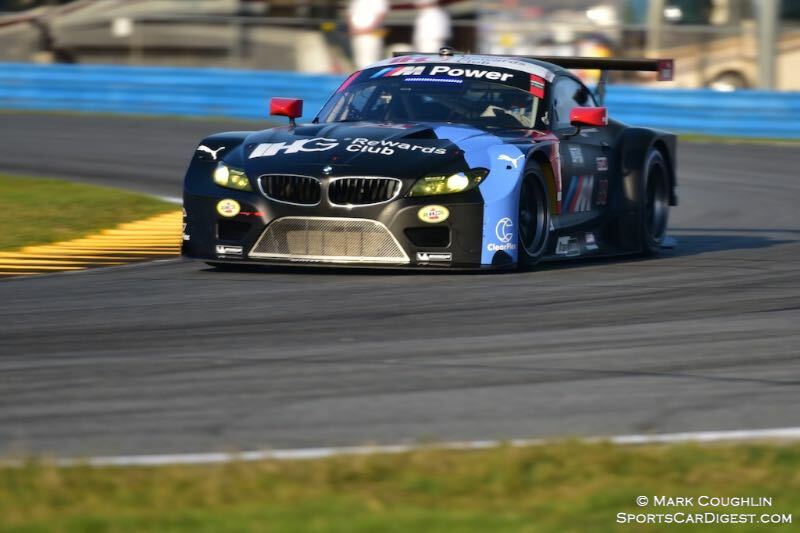 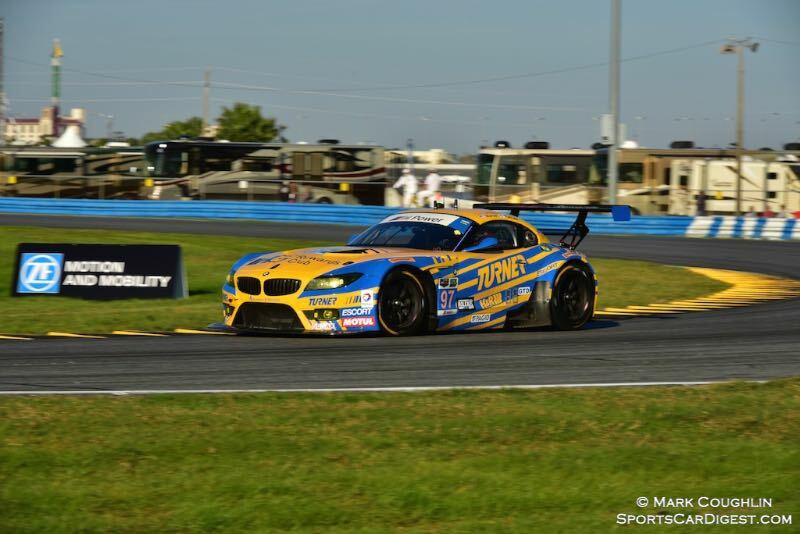 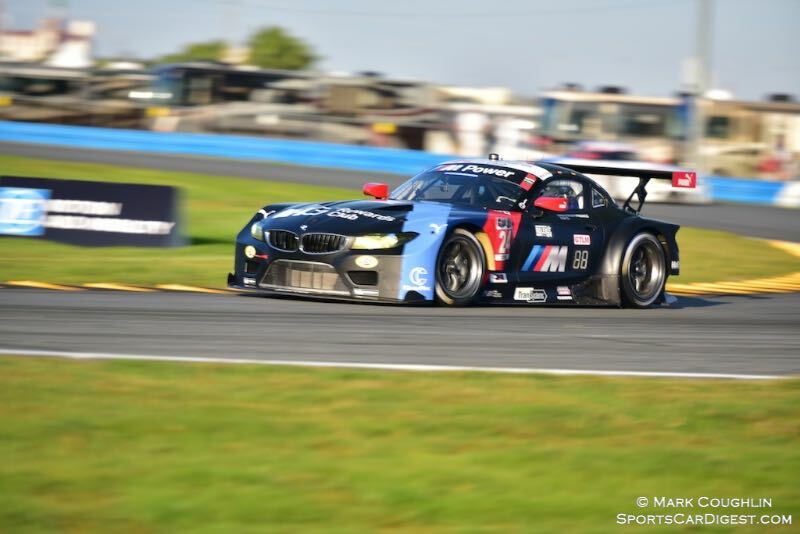 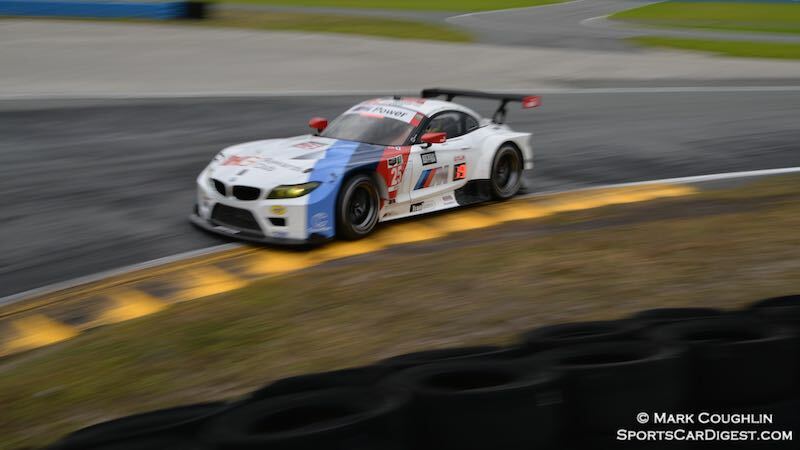 Second placed #25 BMW Team RLL could have made the job more difficult too it they had not spent several hours without a section of the rear bodywork after an excursion into the uneven grassland of the infield. 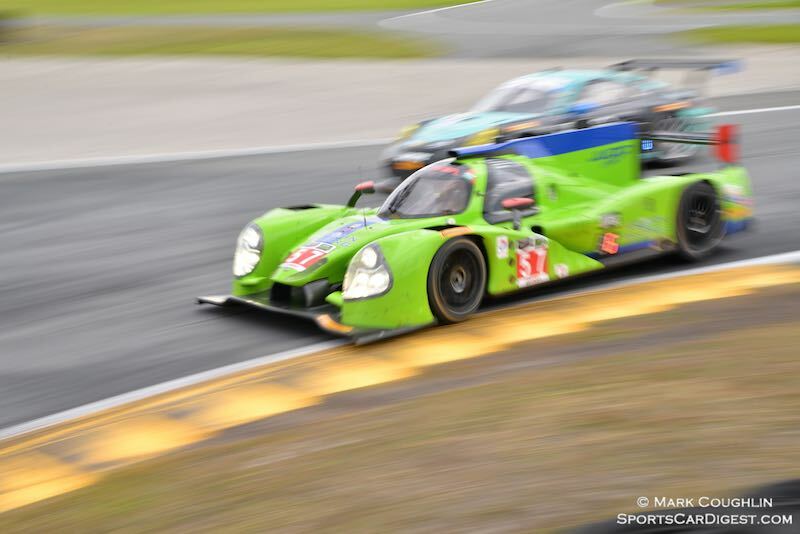 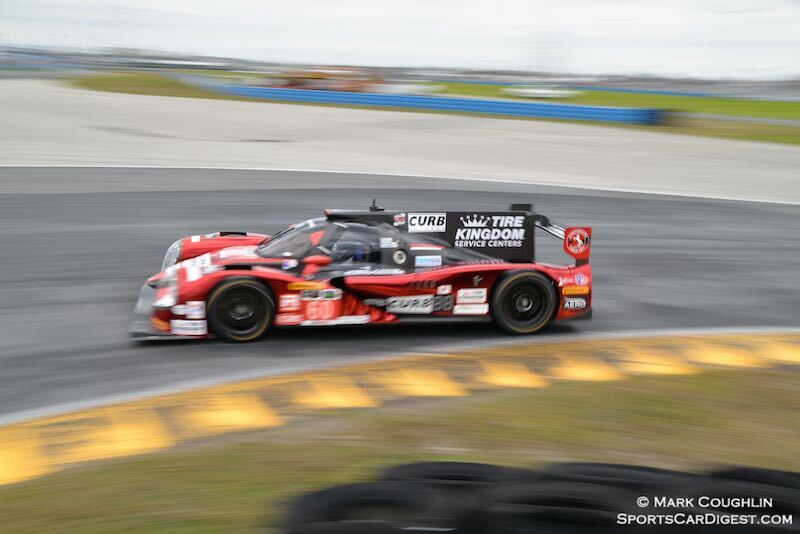 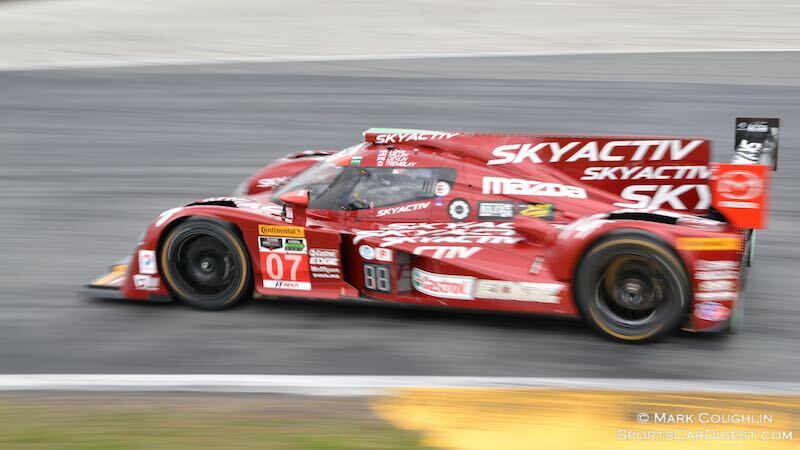 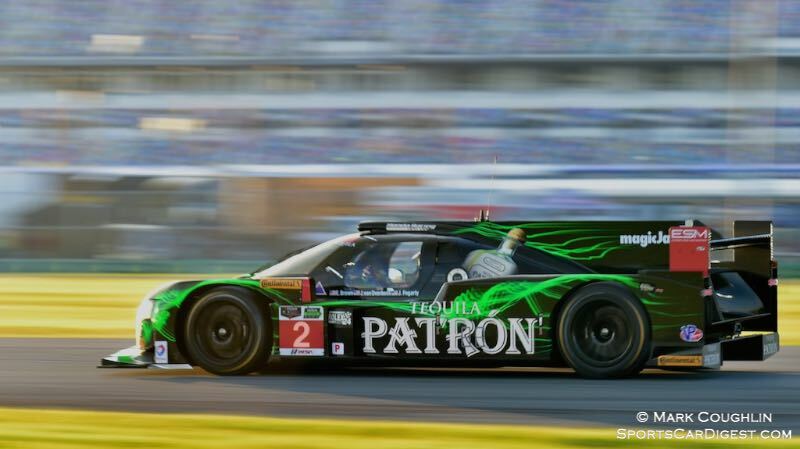 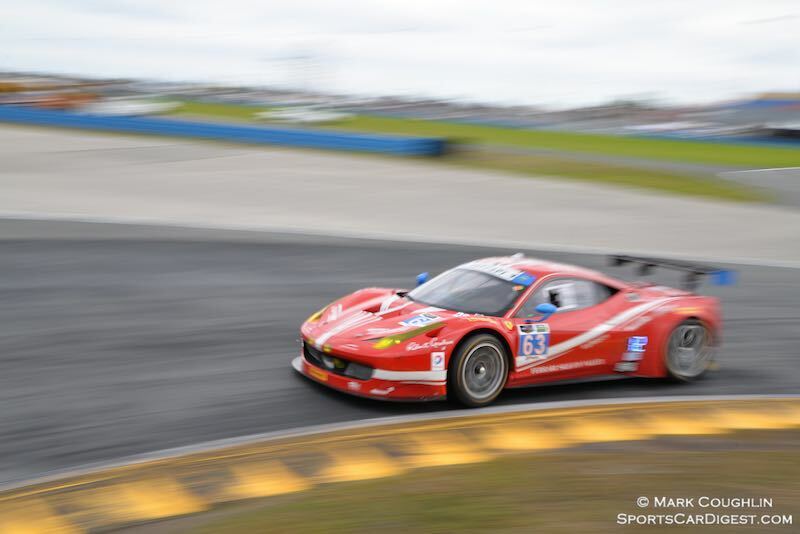 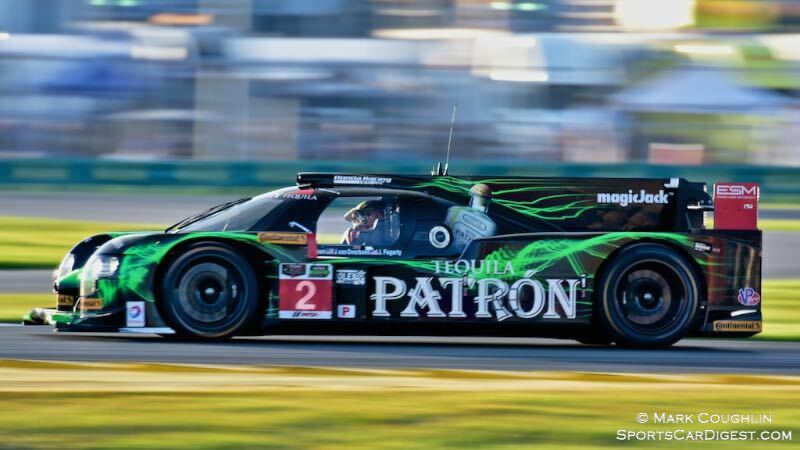 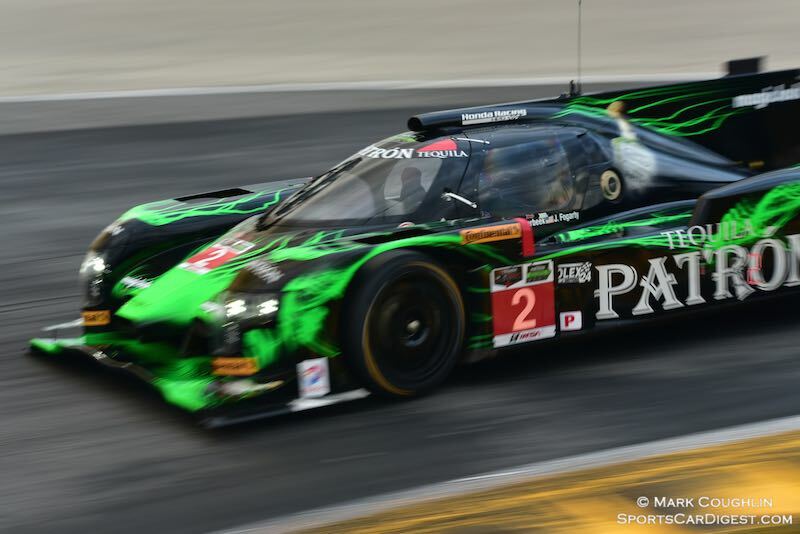 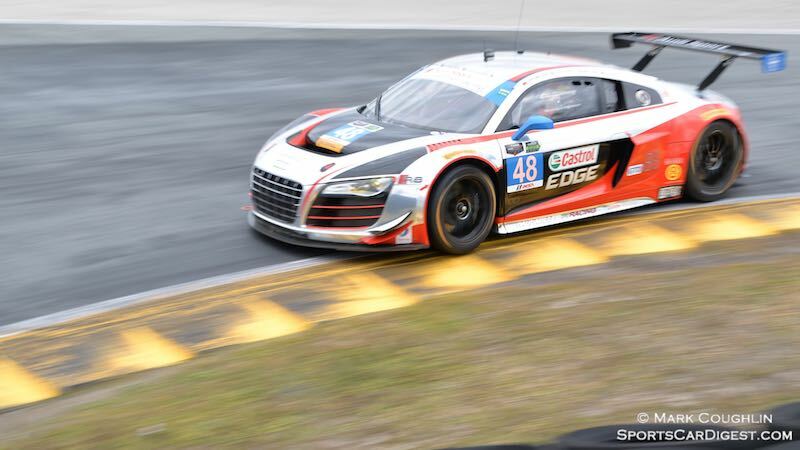 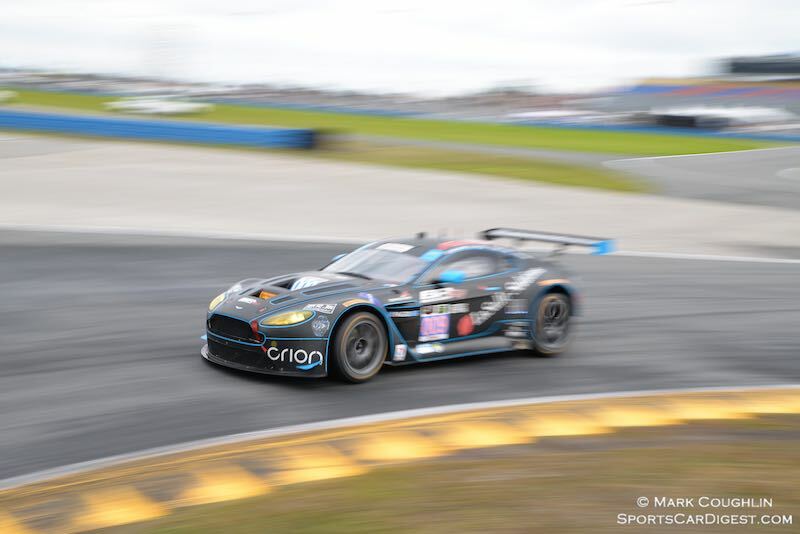 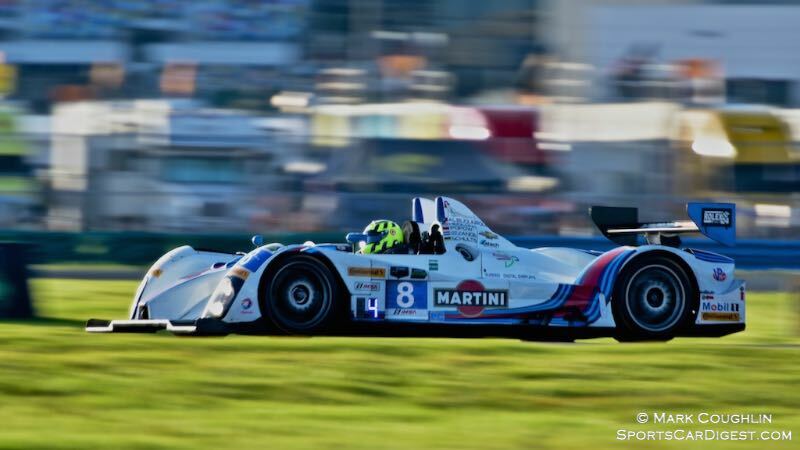 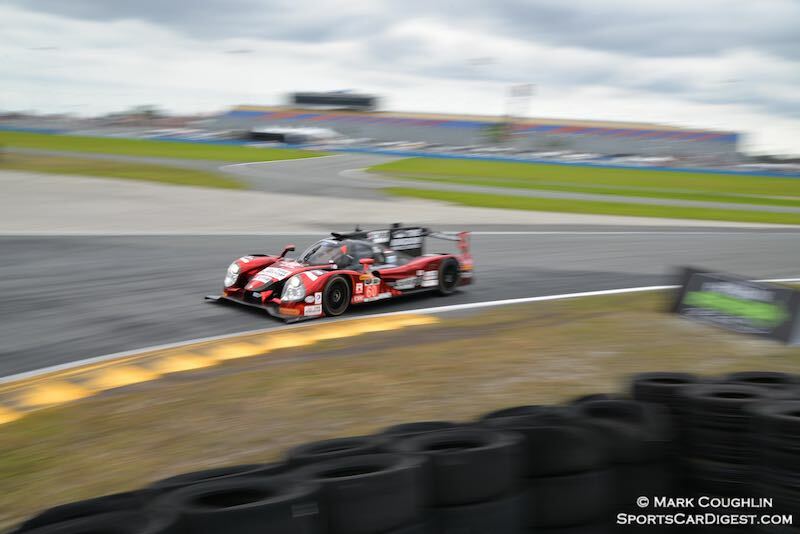 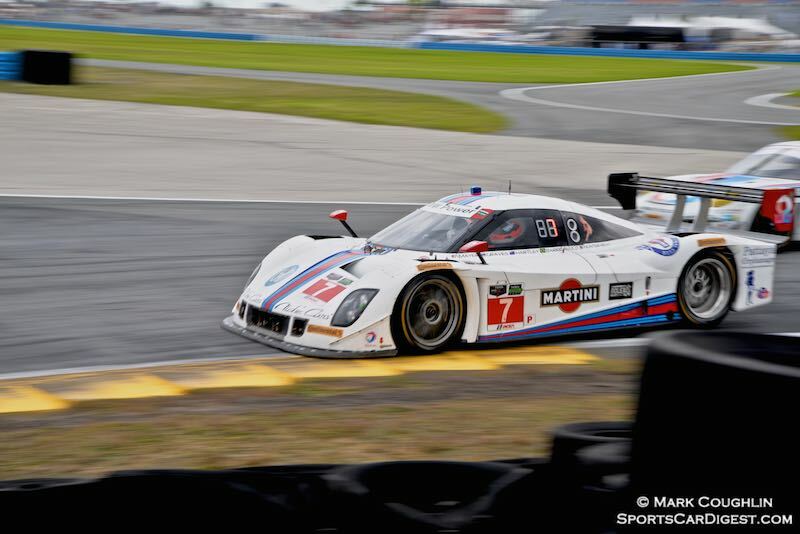 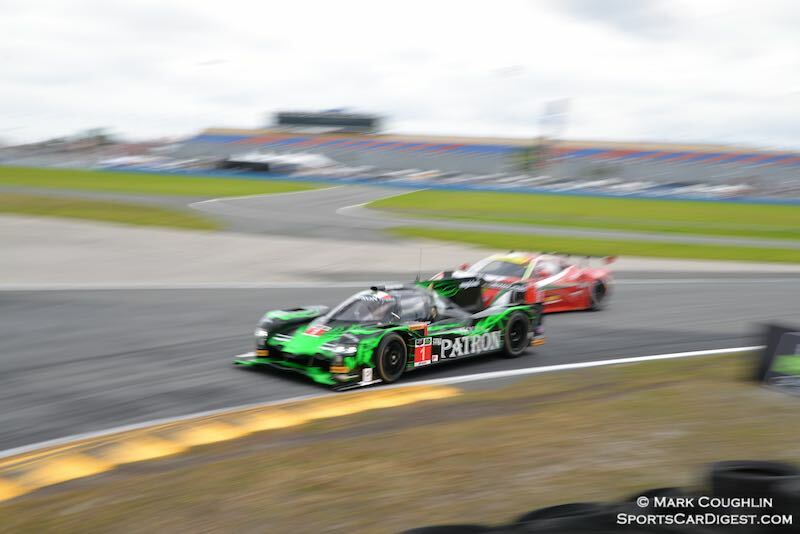 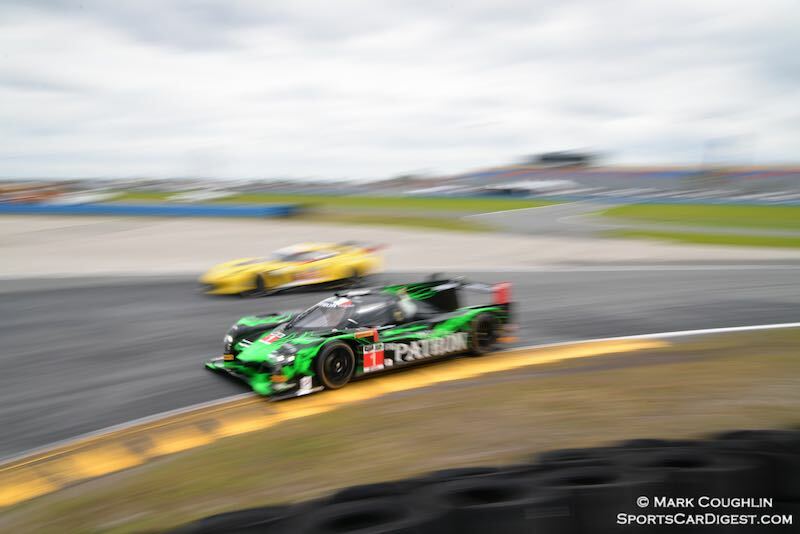 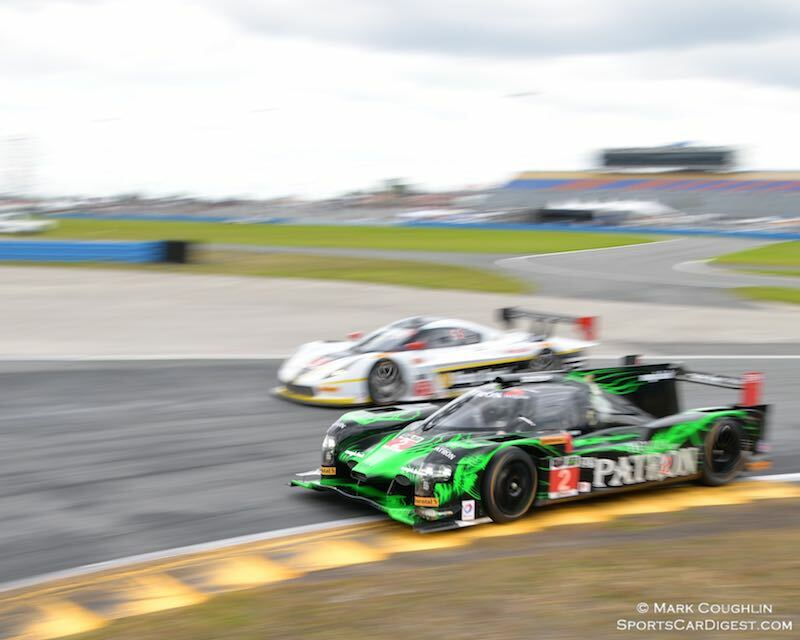 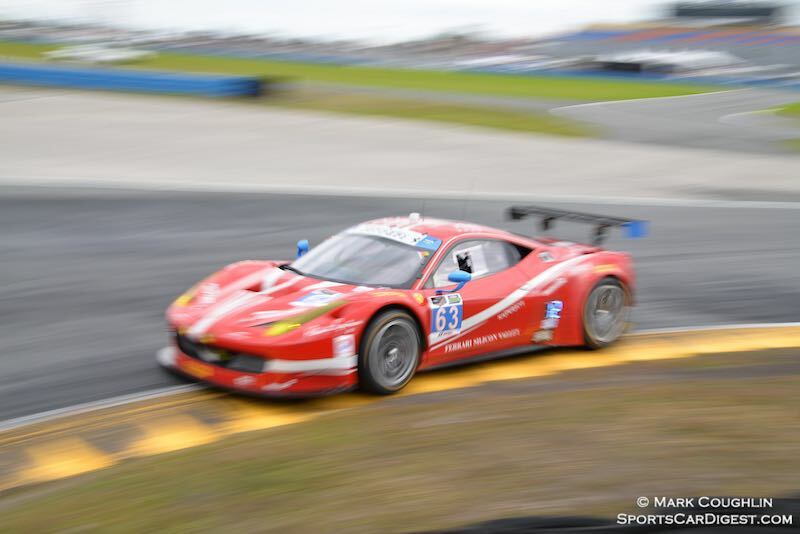 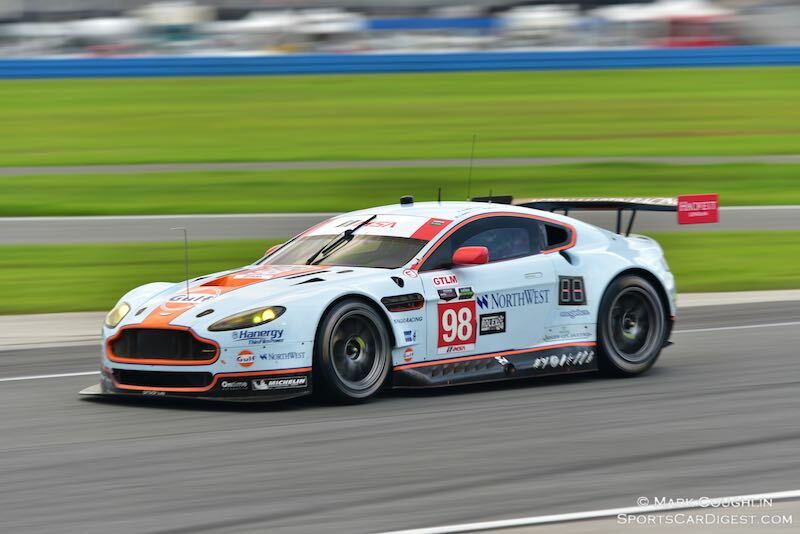 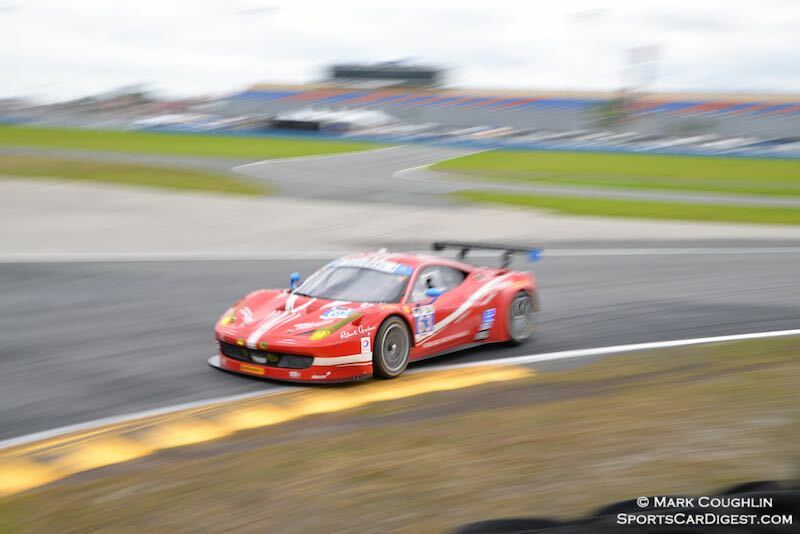 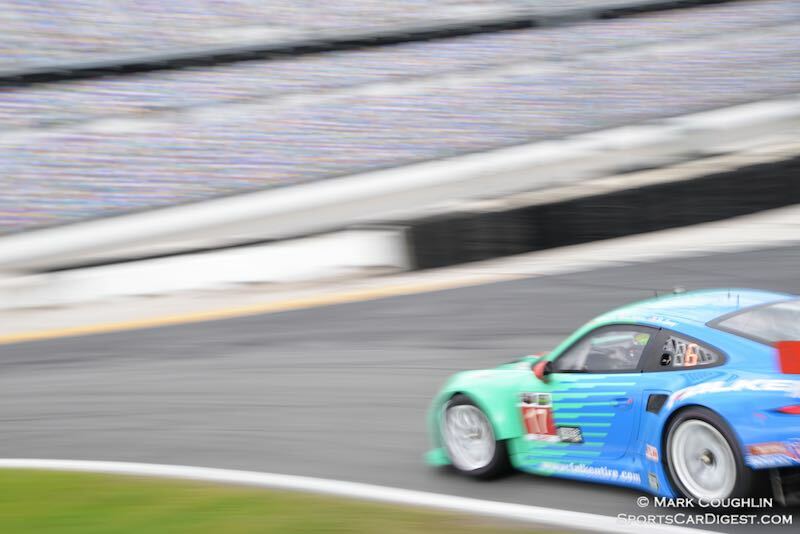 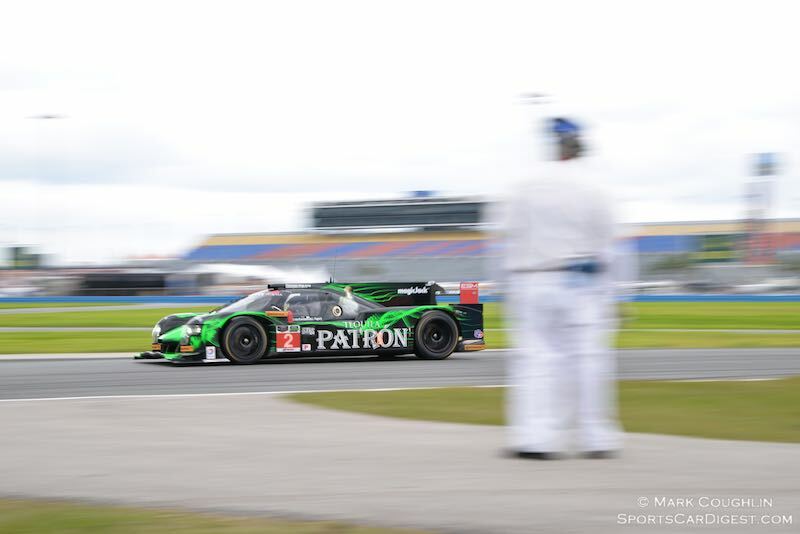 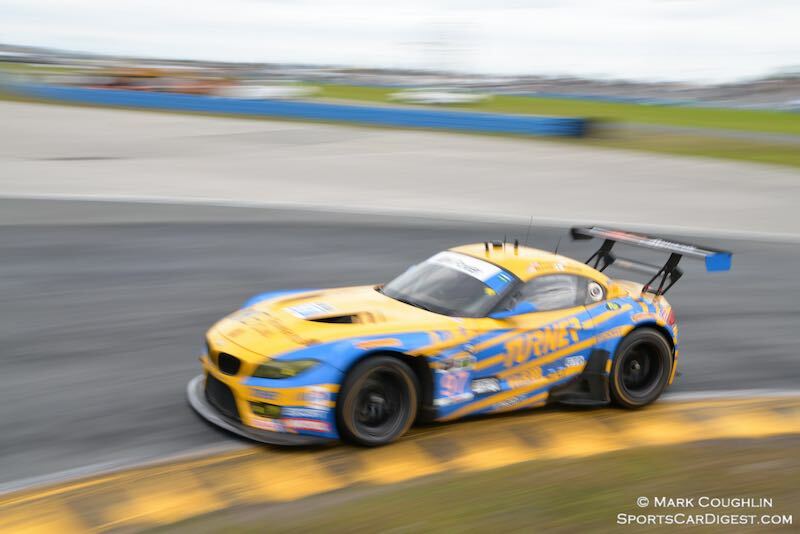 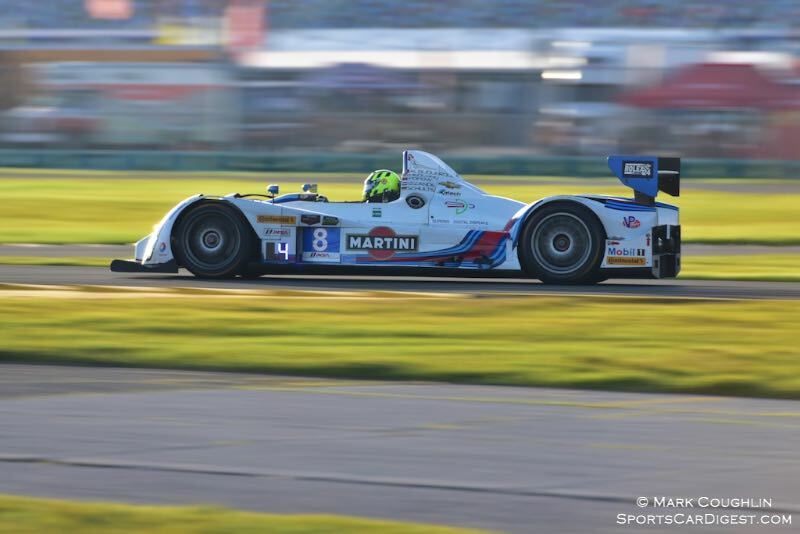 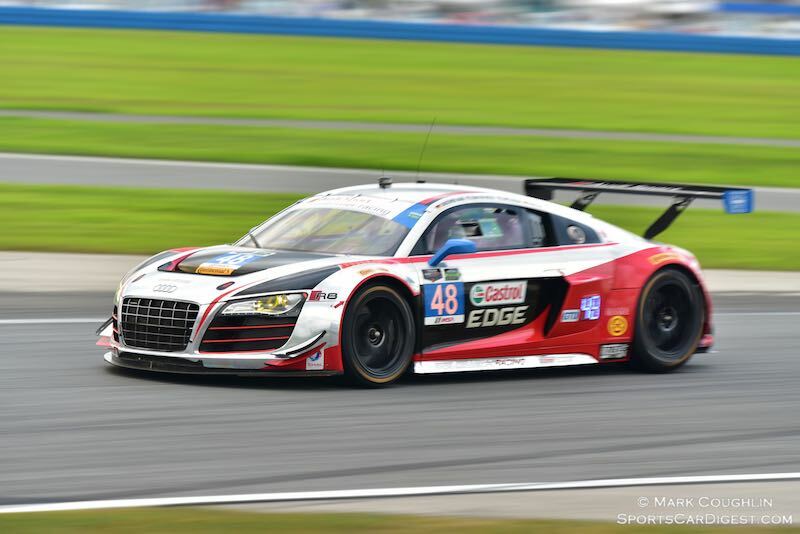 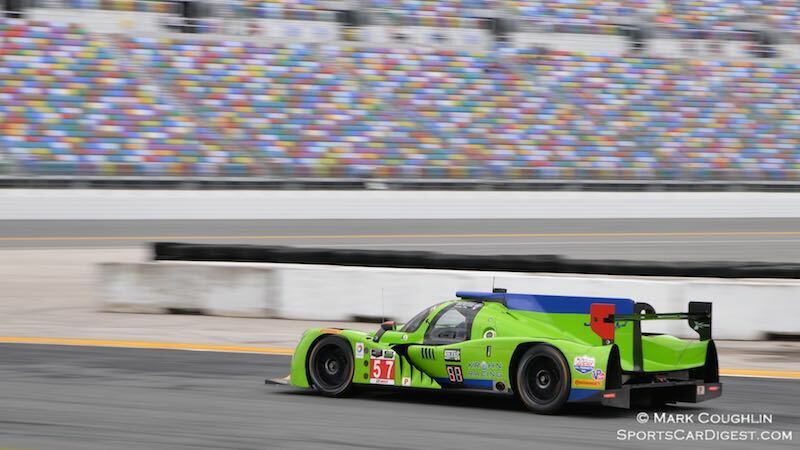 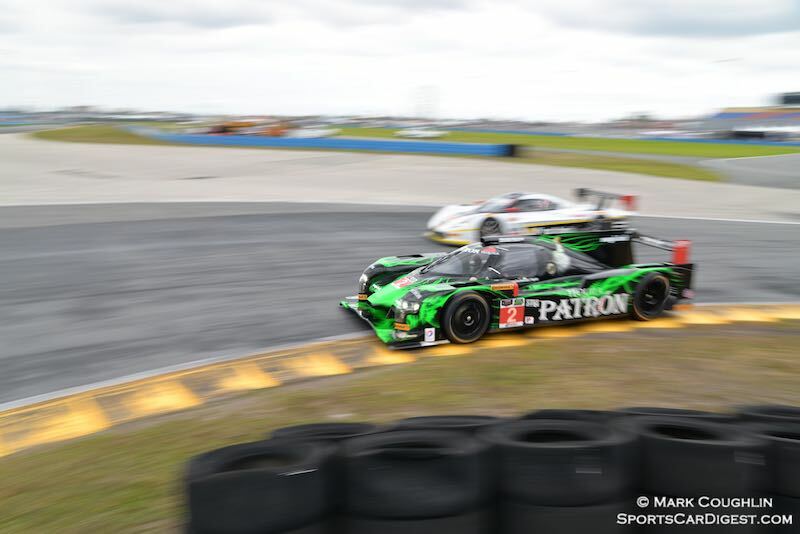 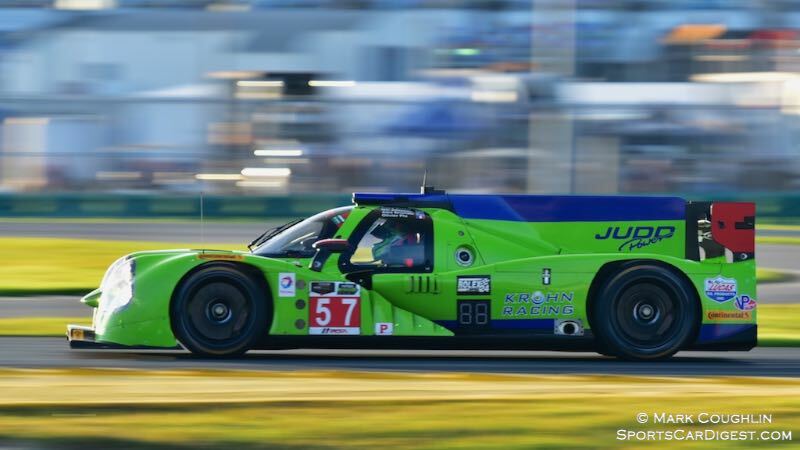 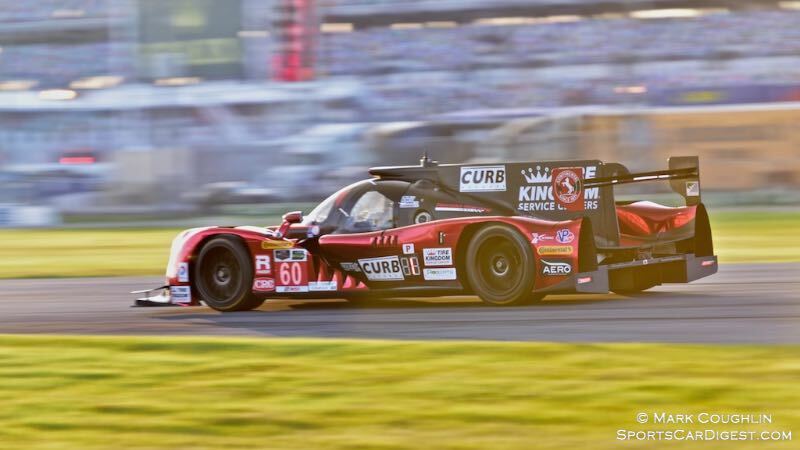 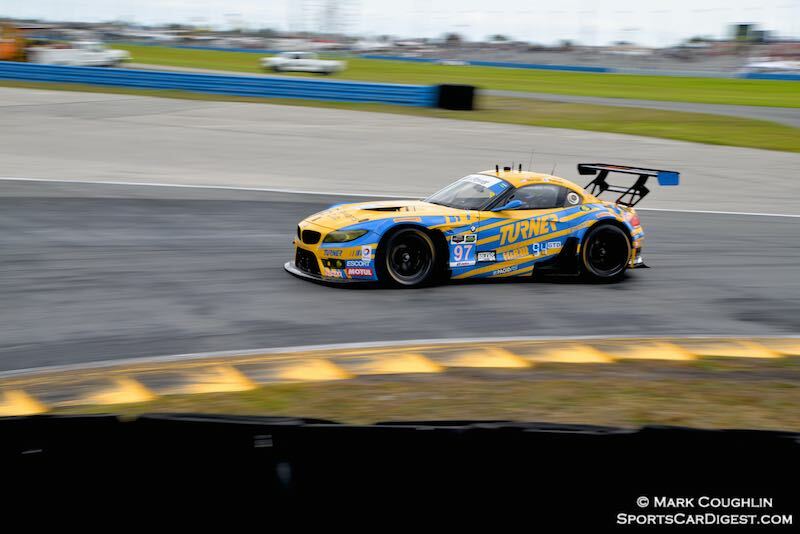 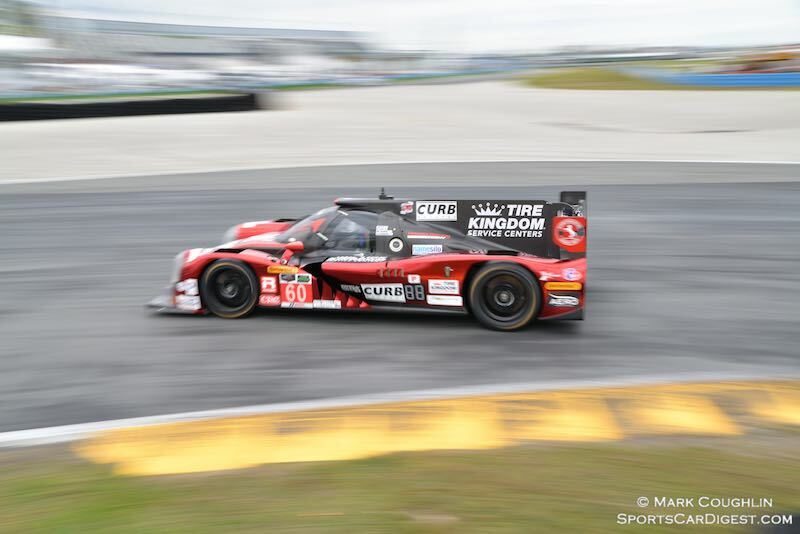 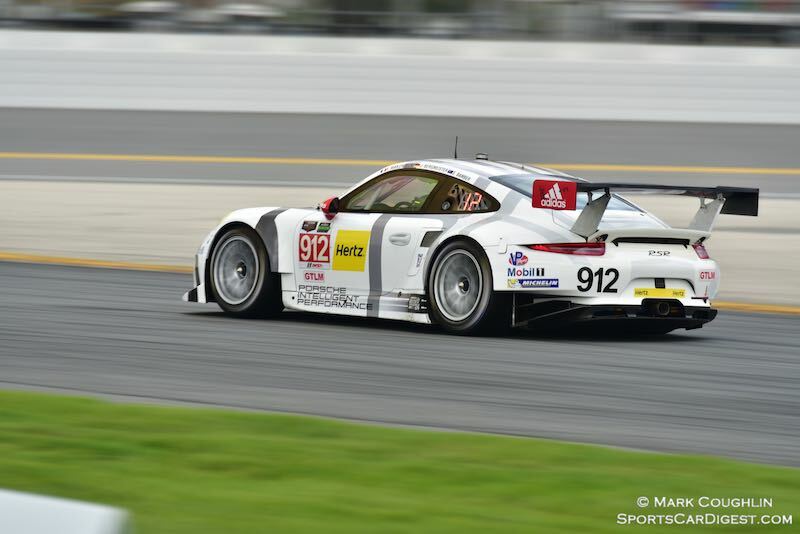 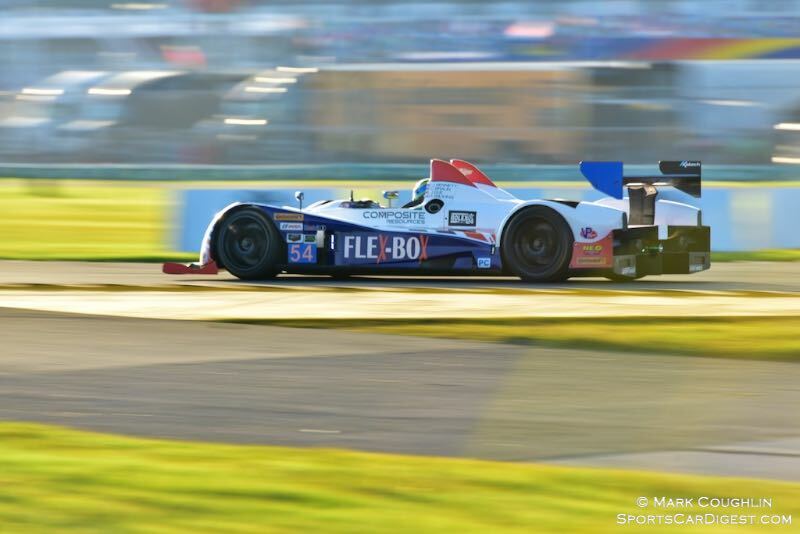 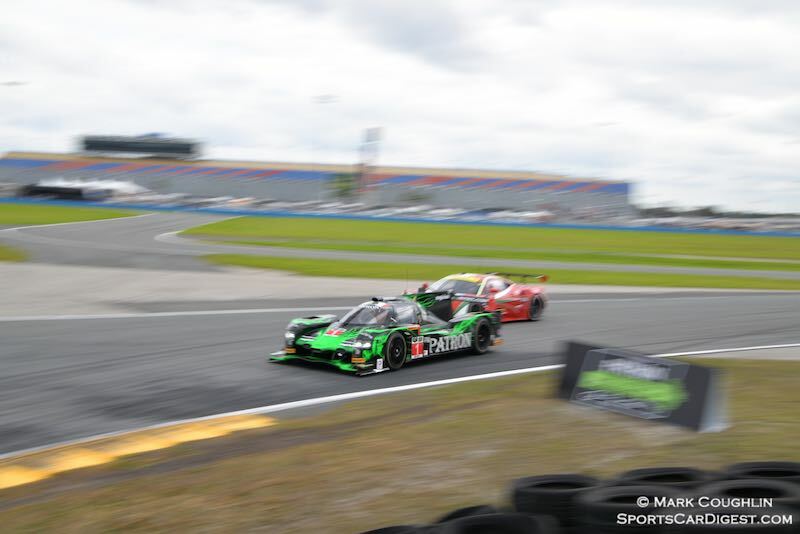 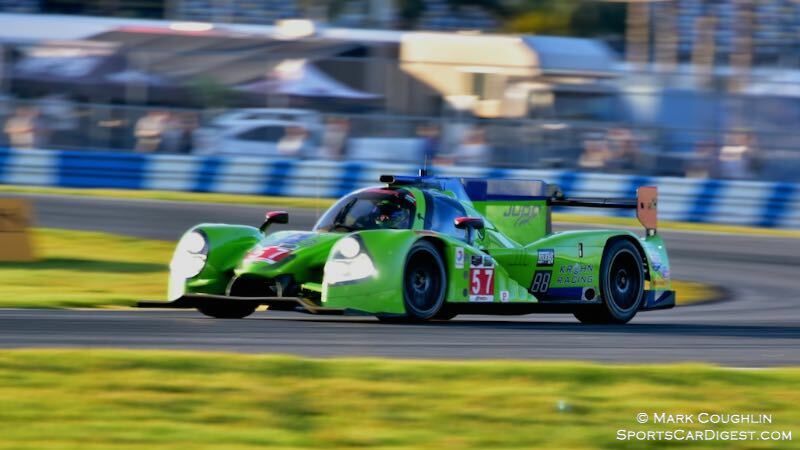 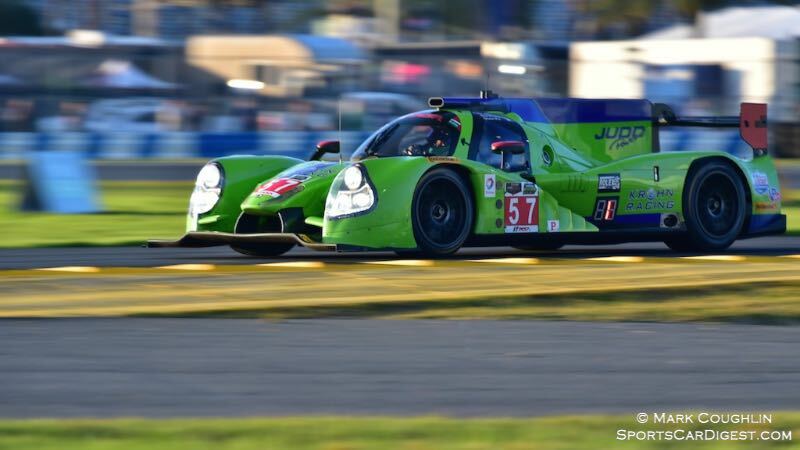 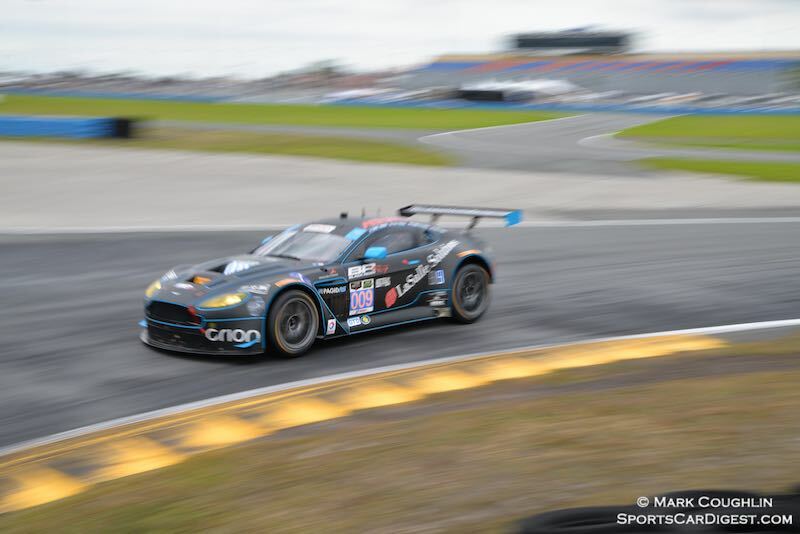 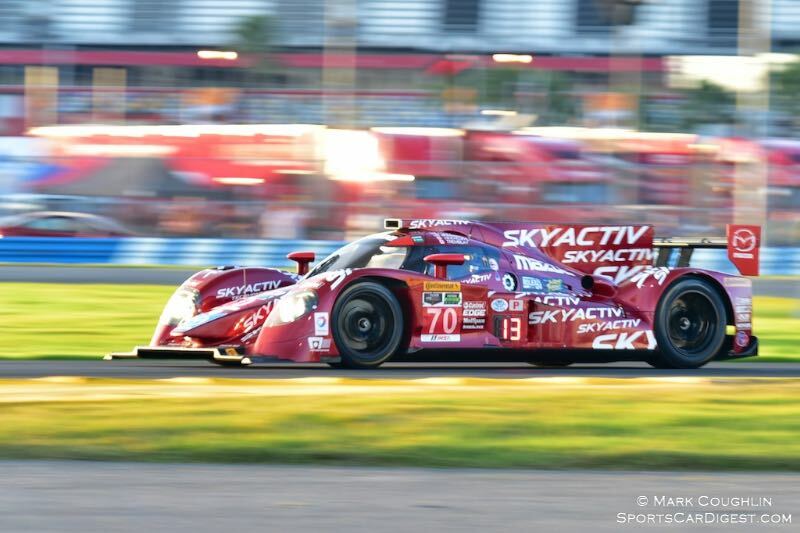 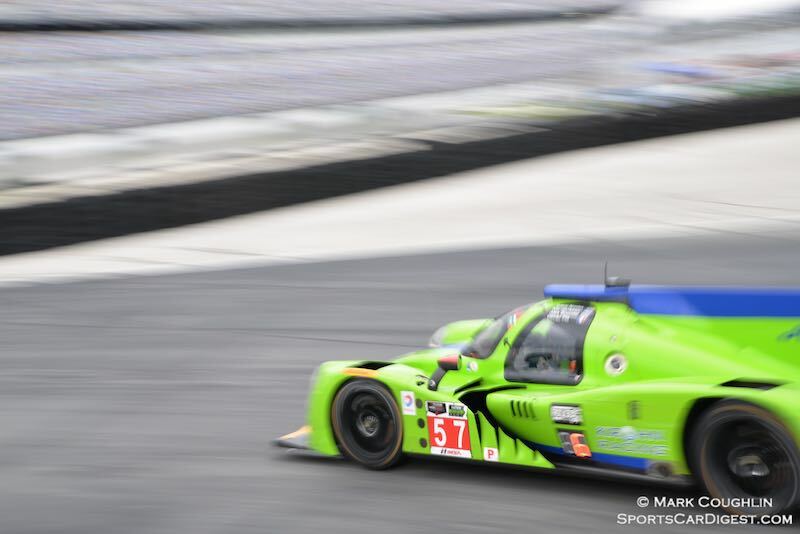 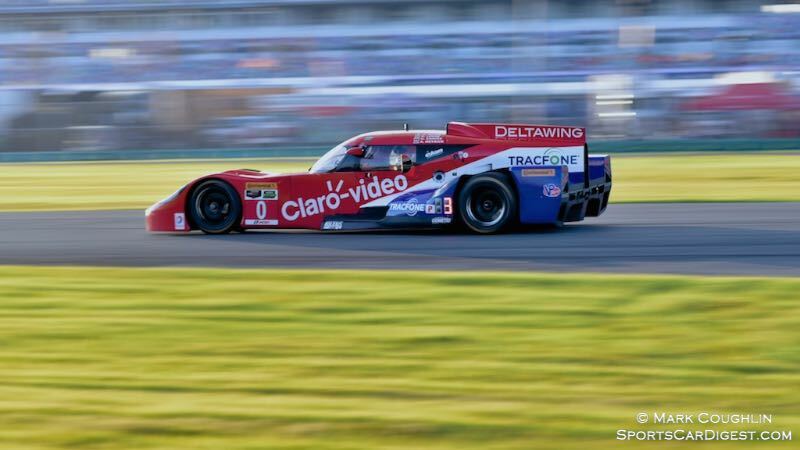 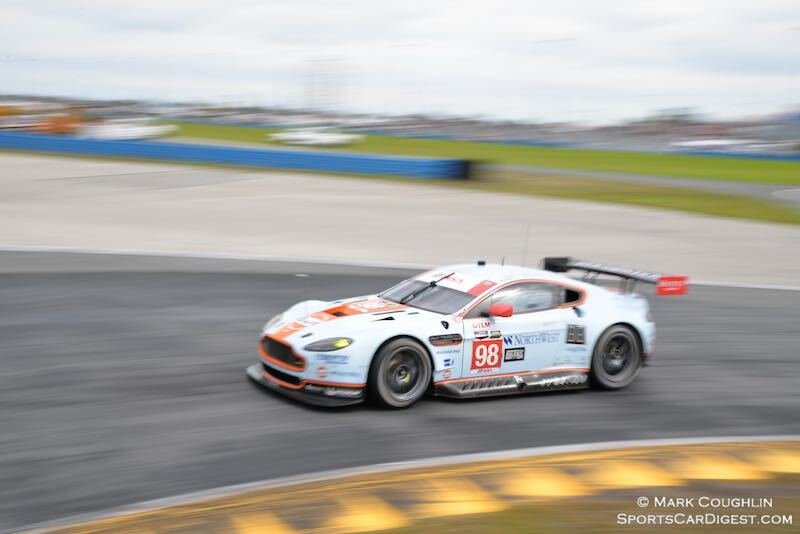 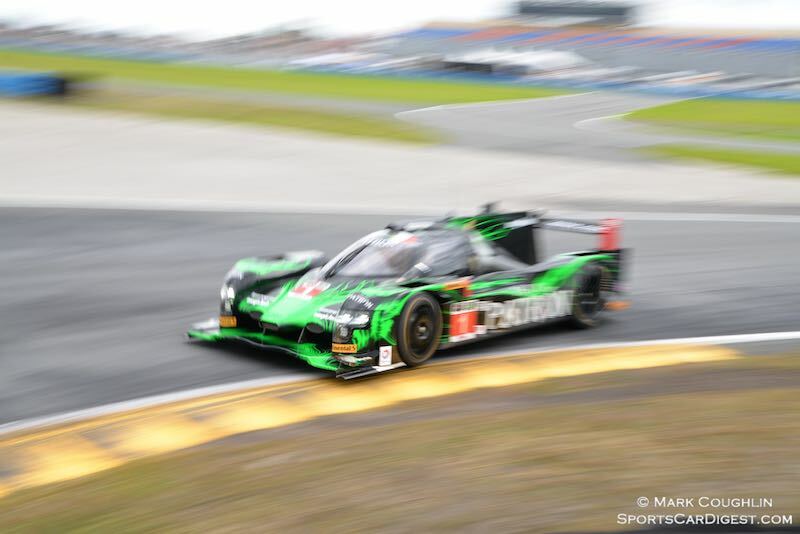 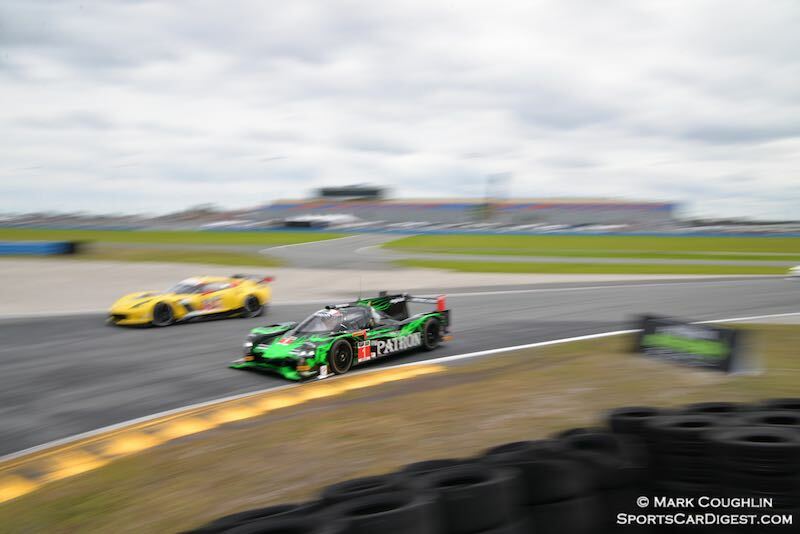 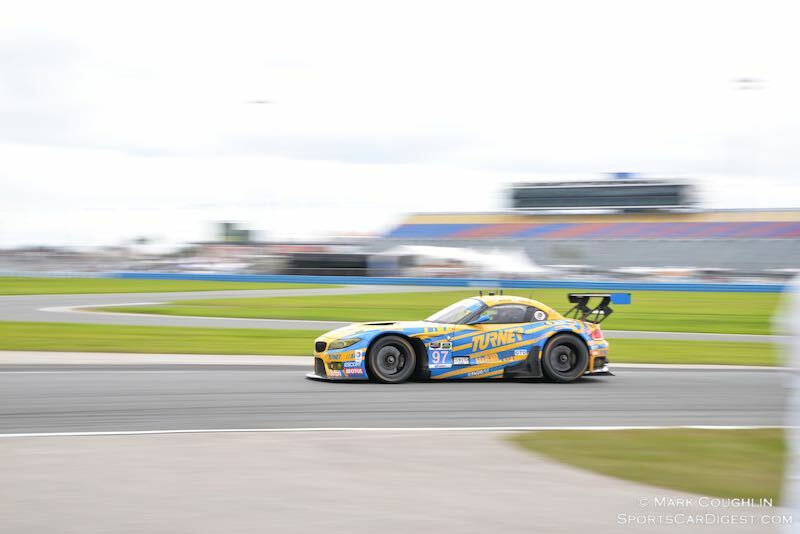 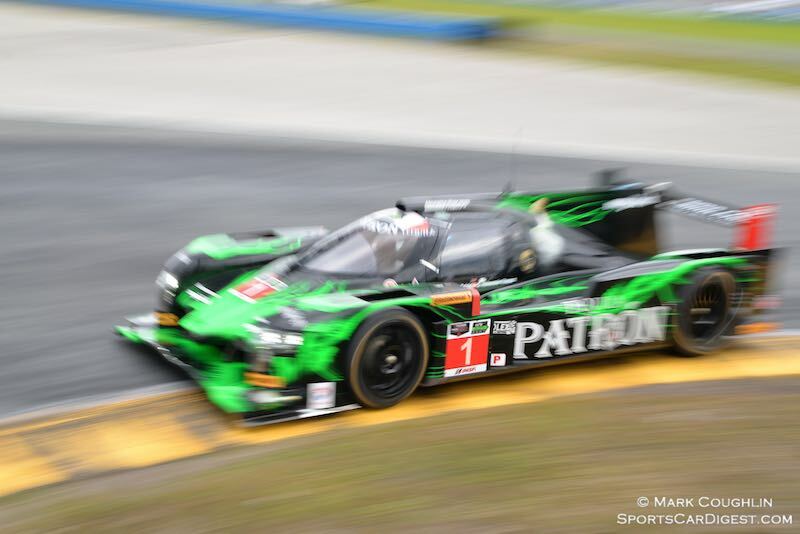 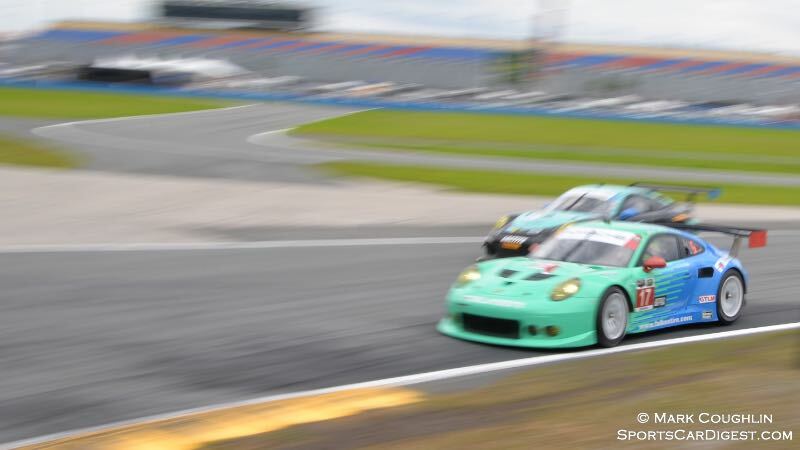 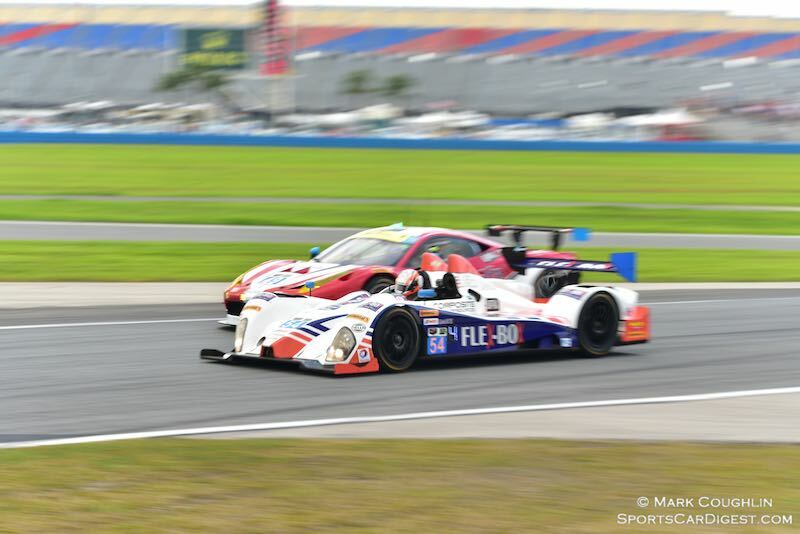 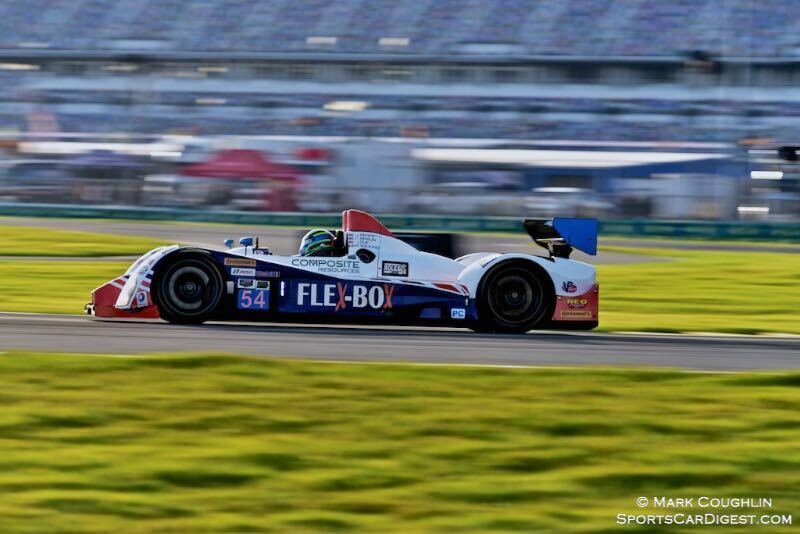 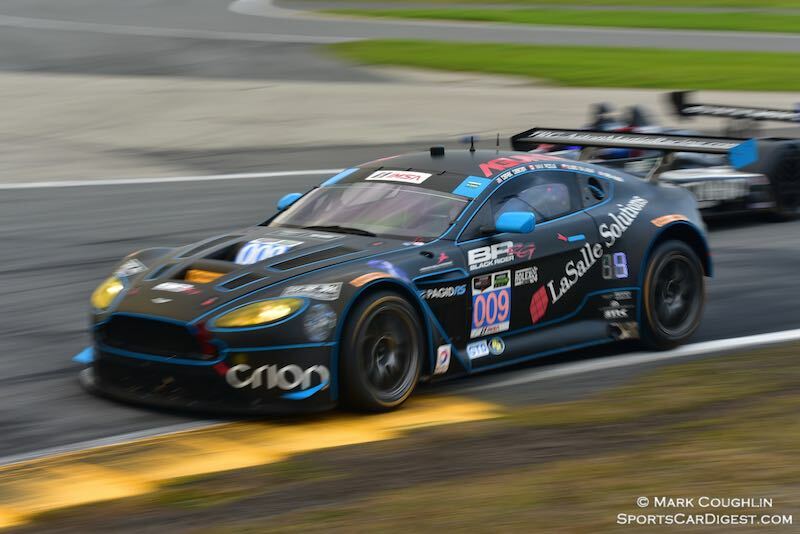 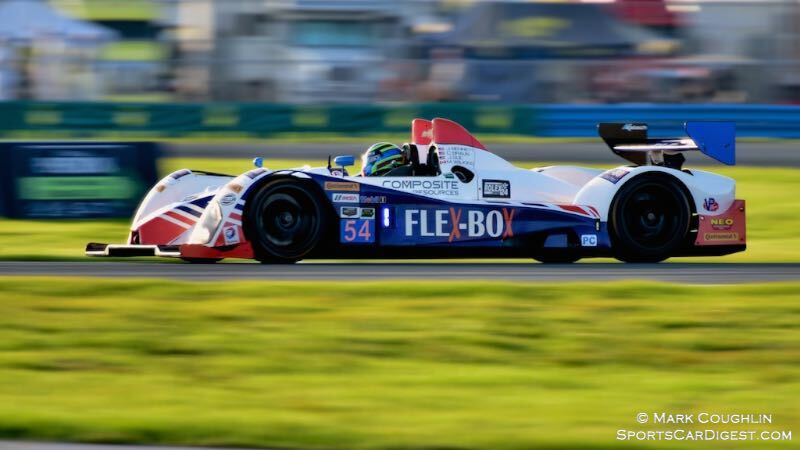 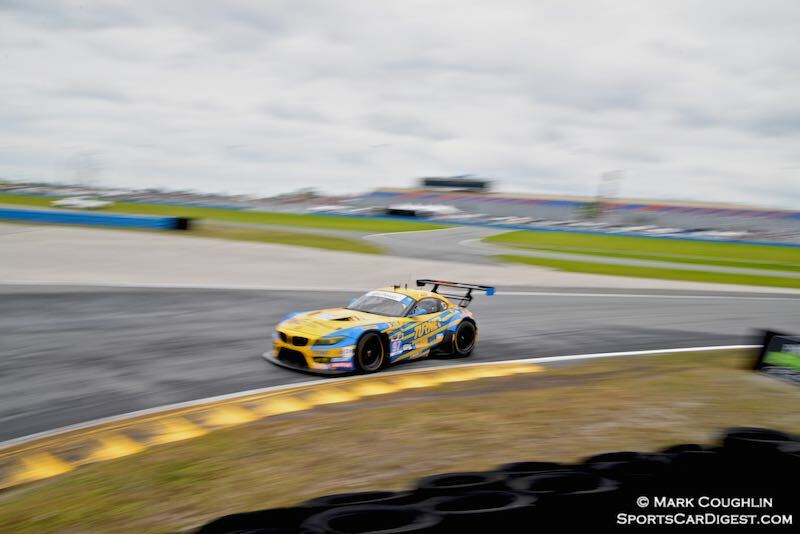 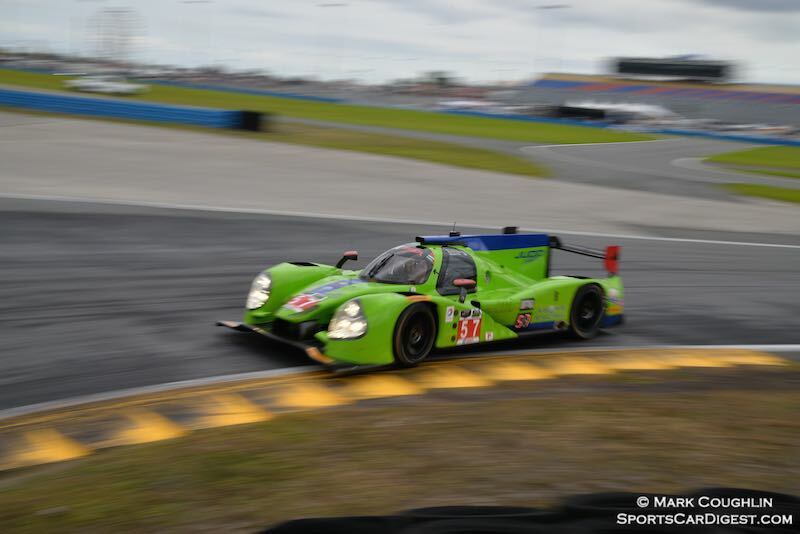 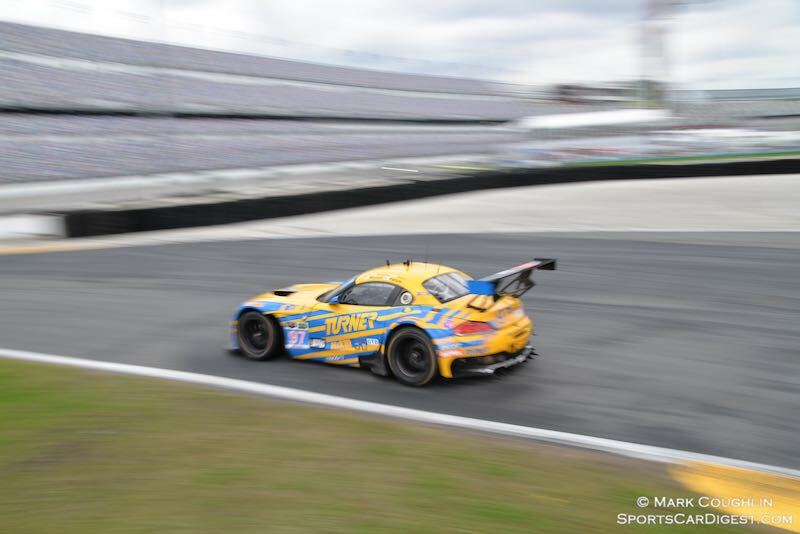 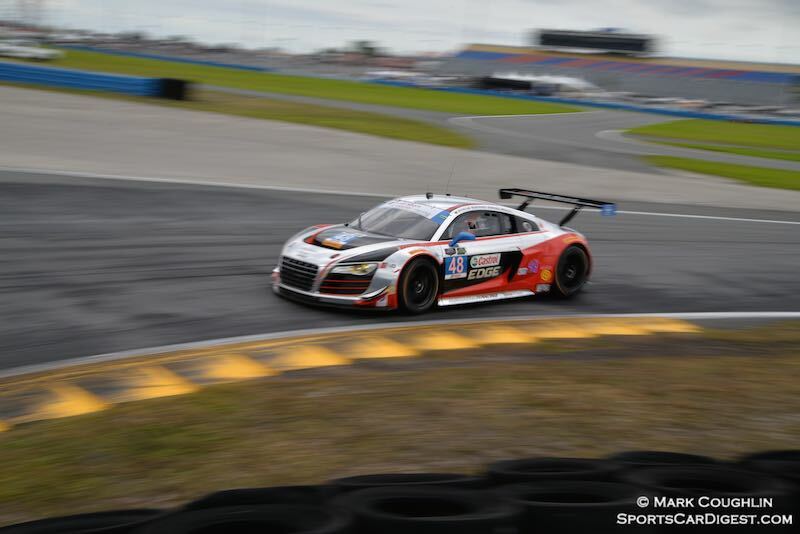 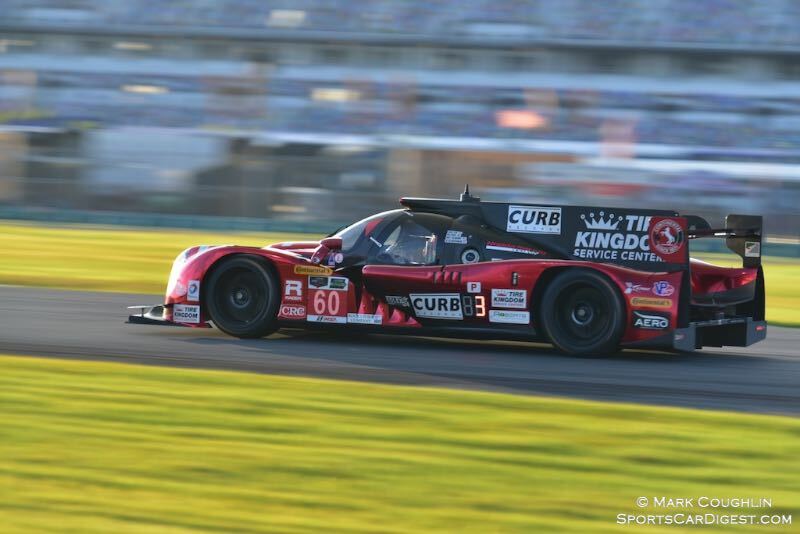 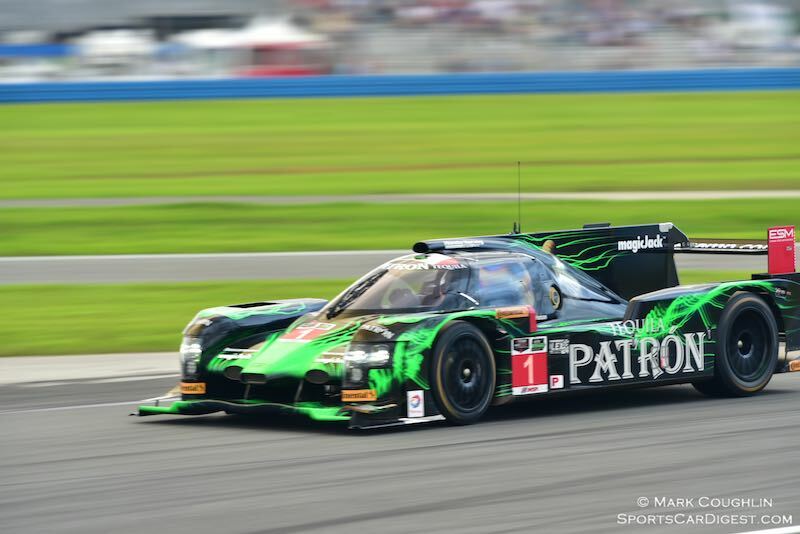 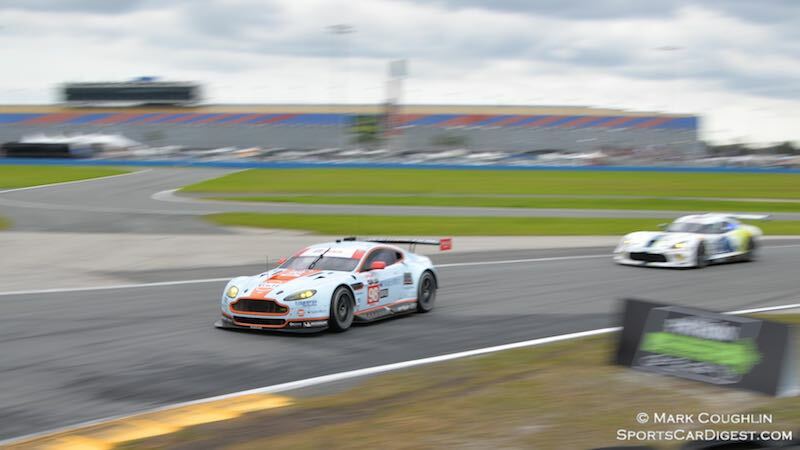 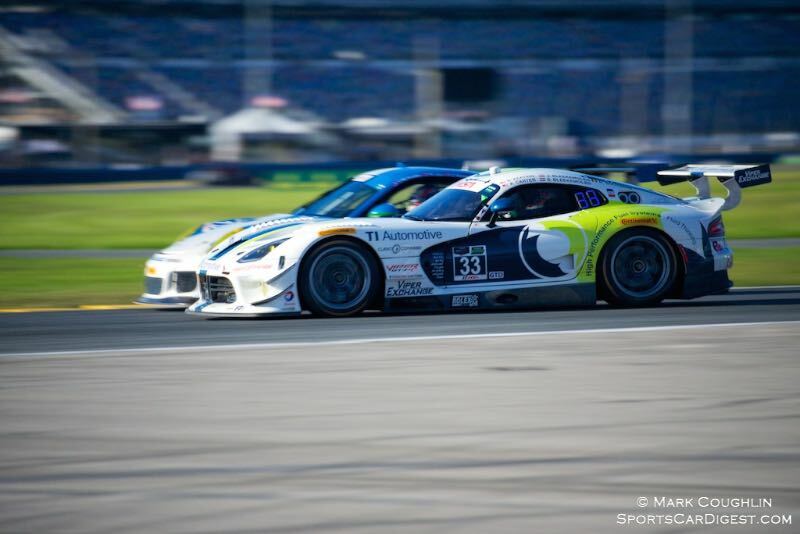 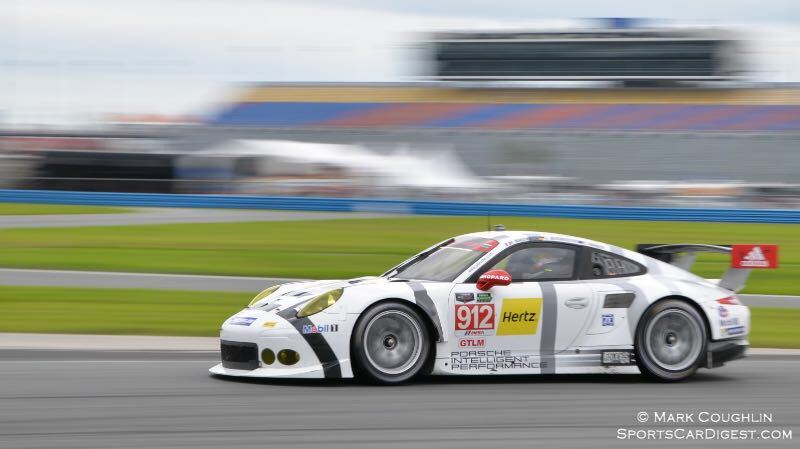 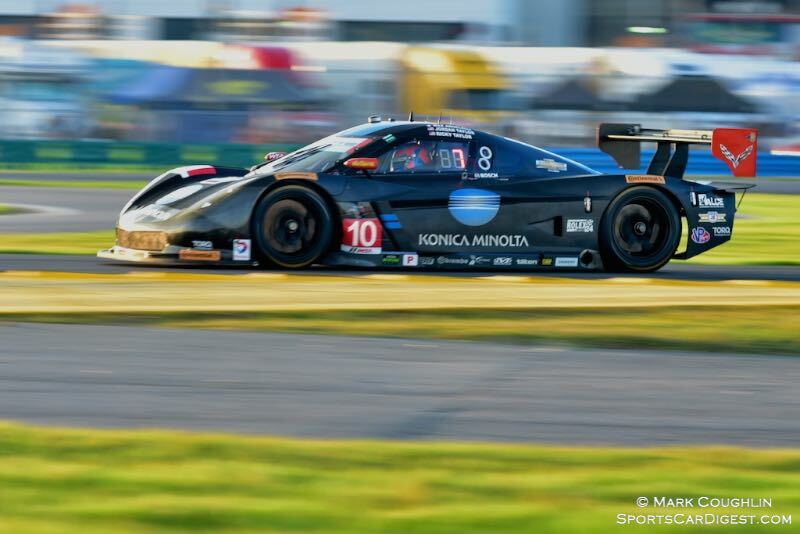 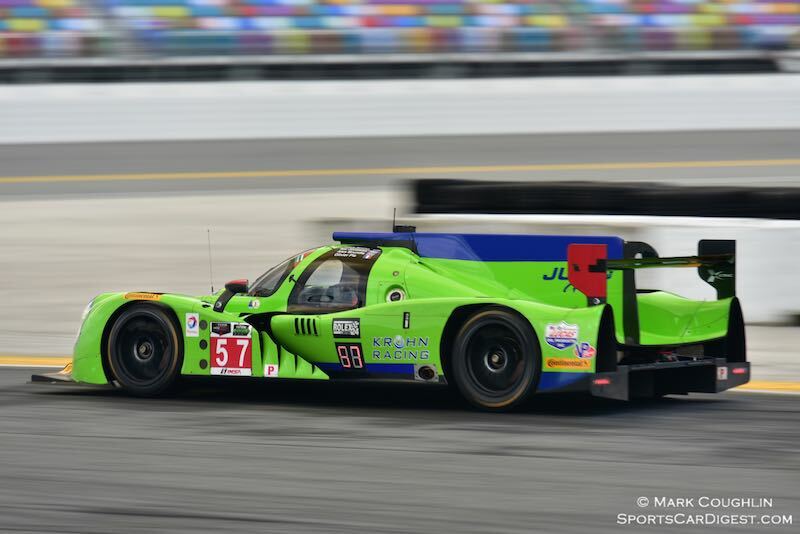 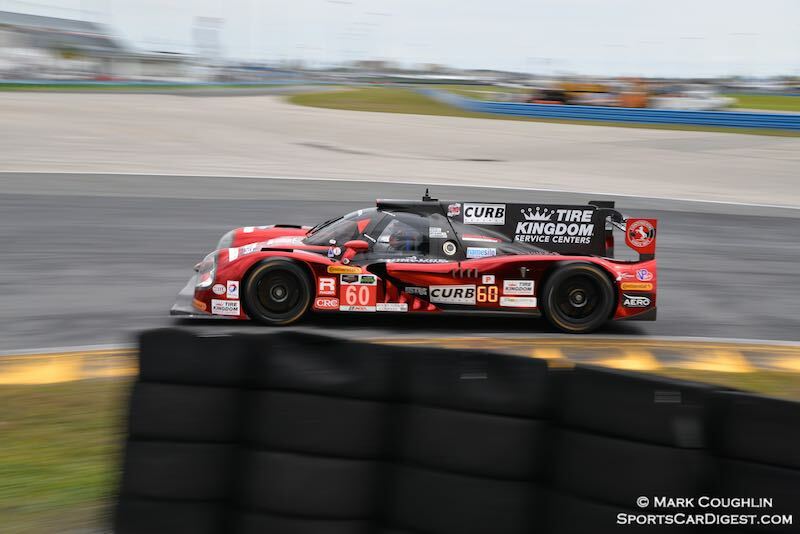 Similar to 2013 and 2014, photographer Mark Coughlin documented the racing action at the Rolex 24 Hours of Daytona 2015, offering the following images that highlight the endurance race.